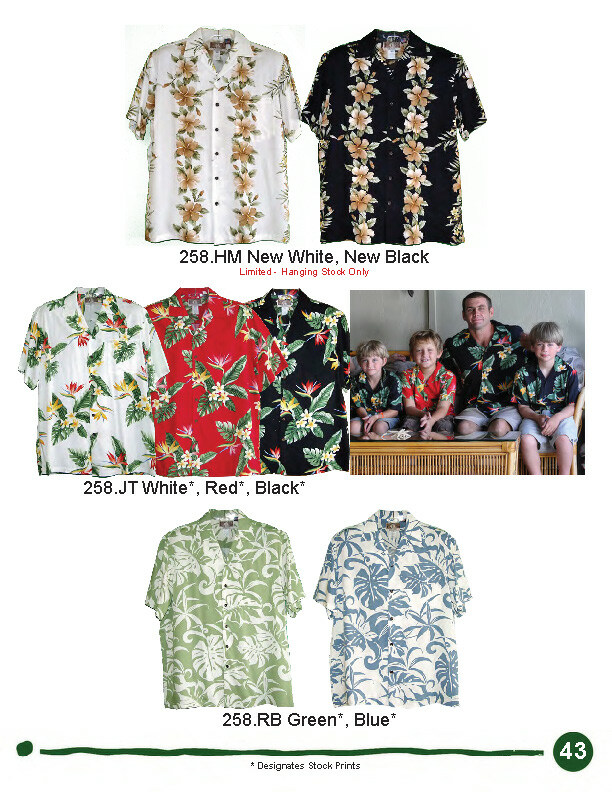 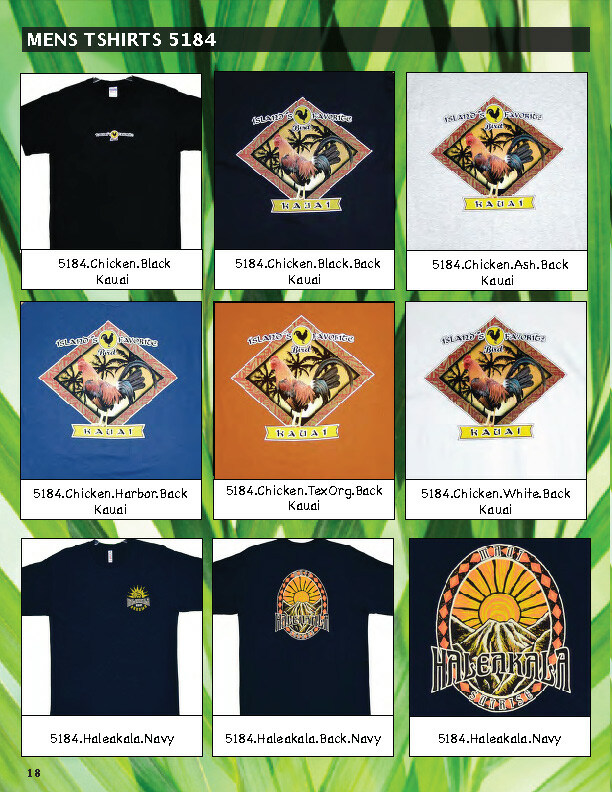 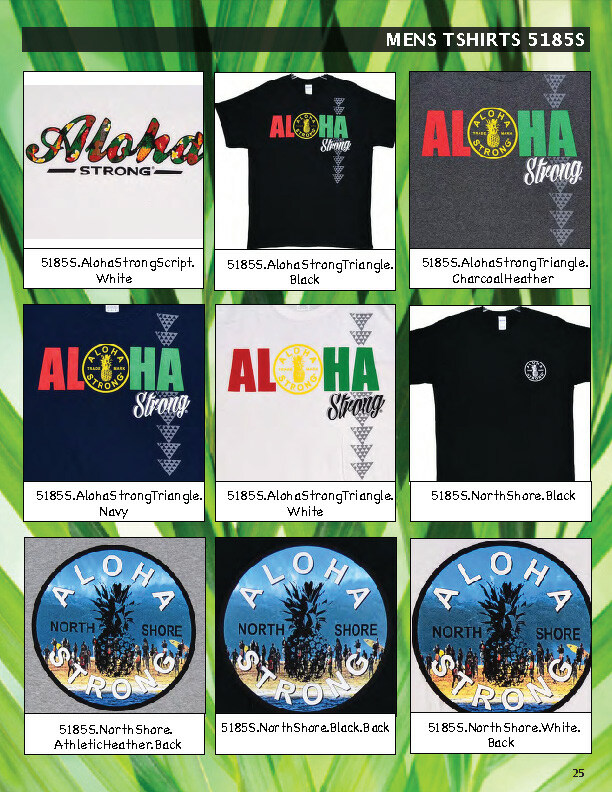 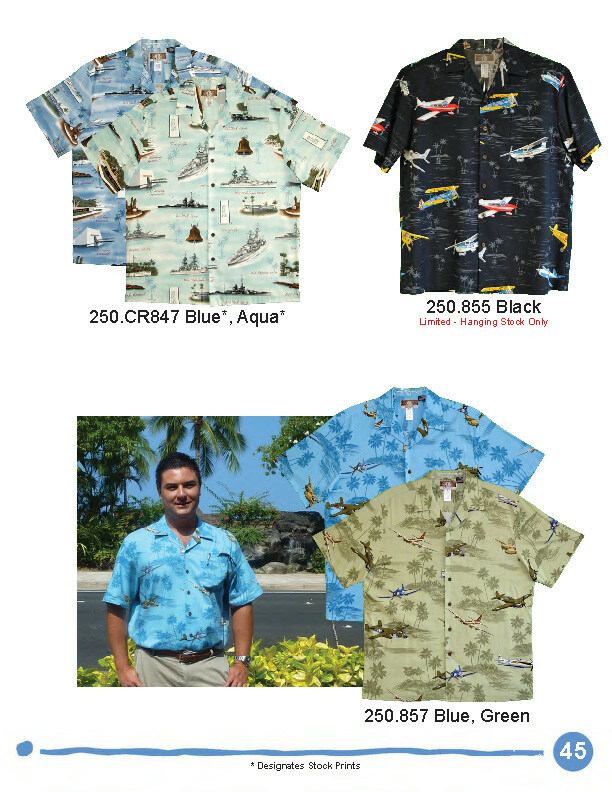 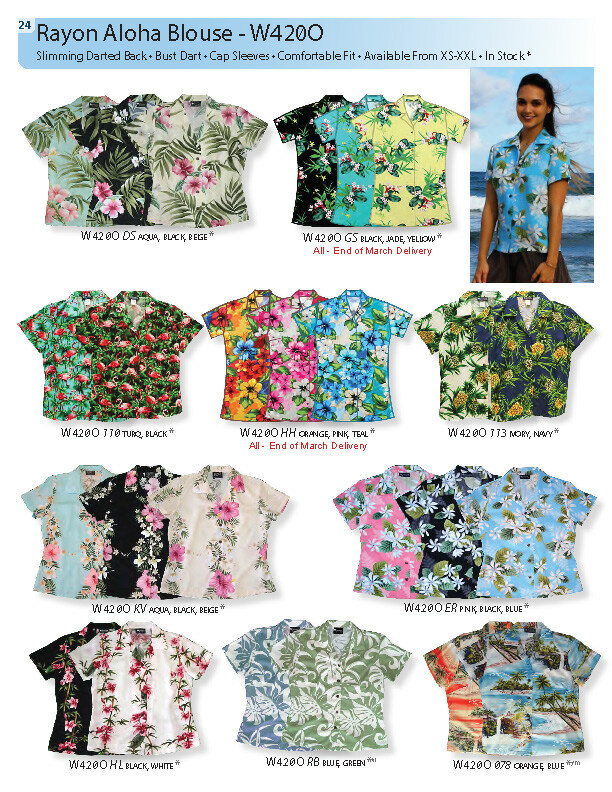 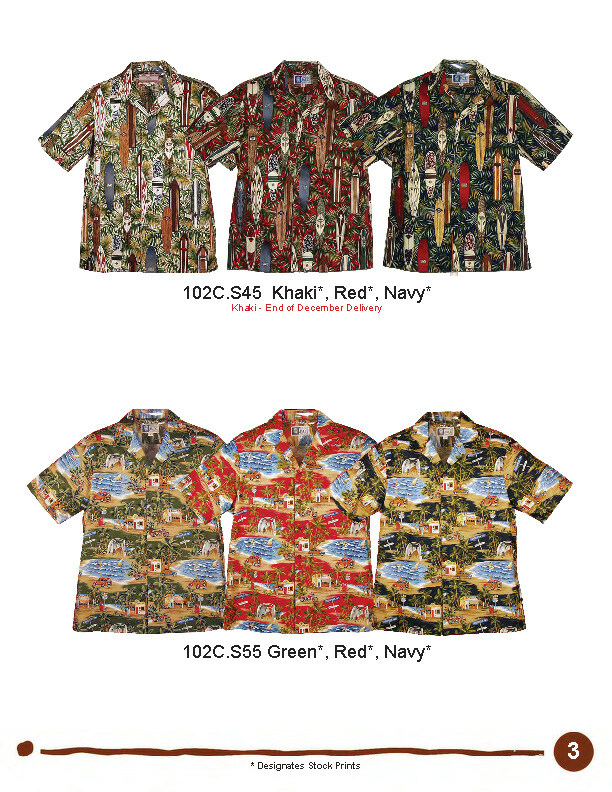 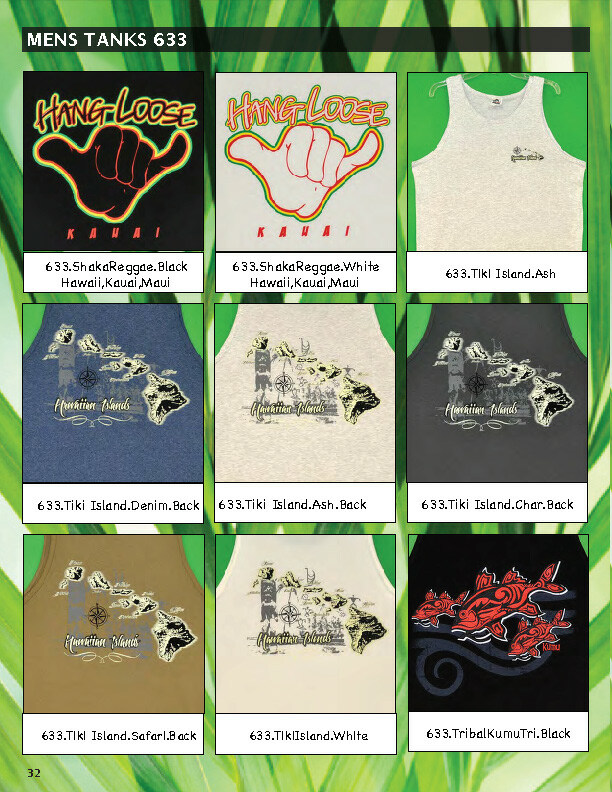 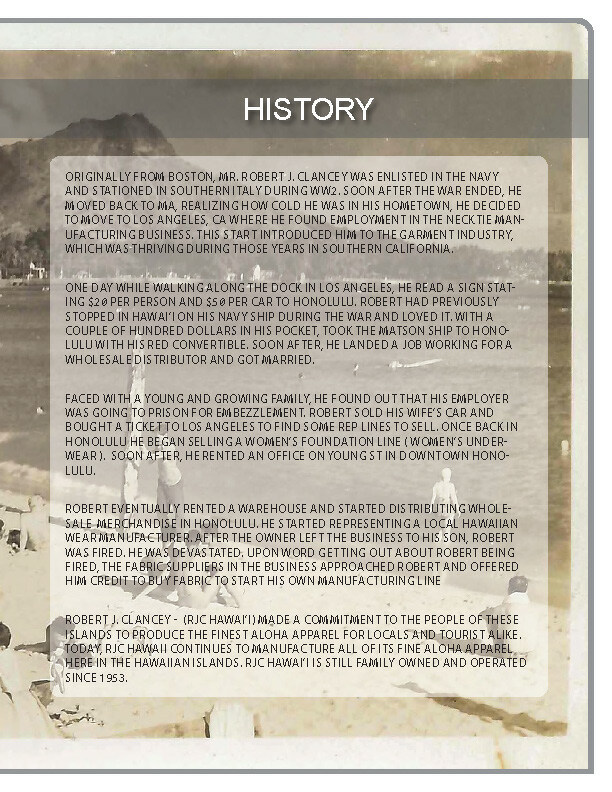 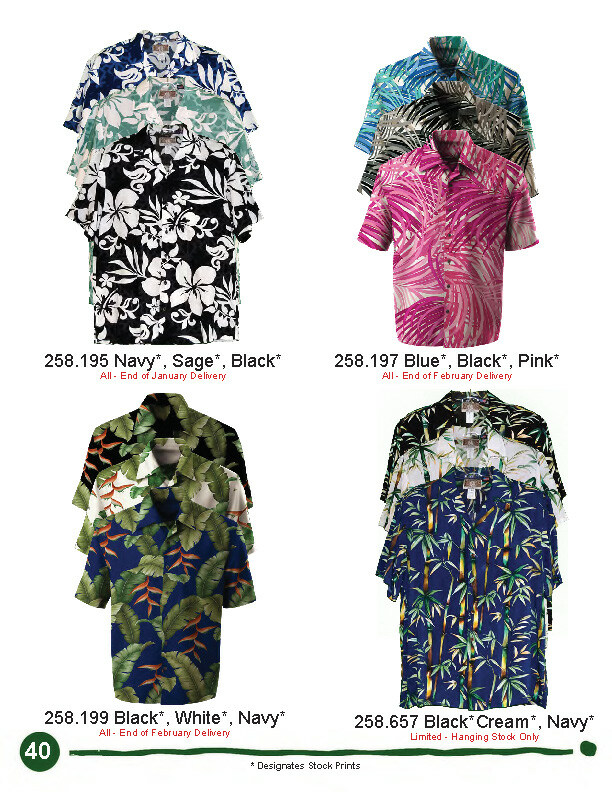 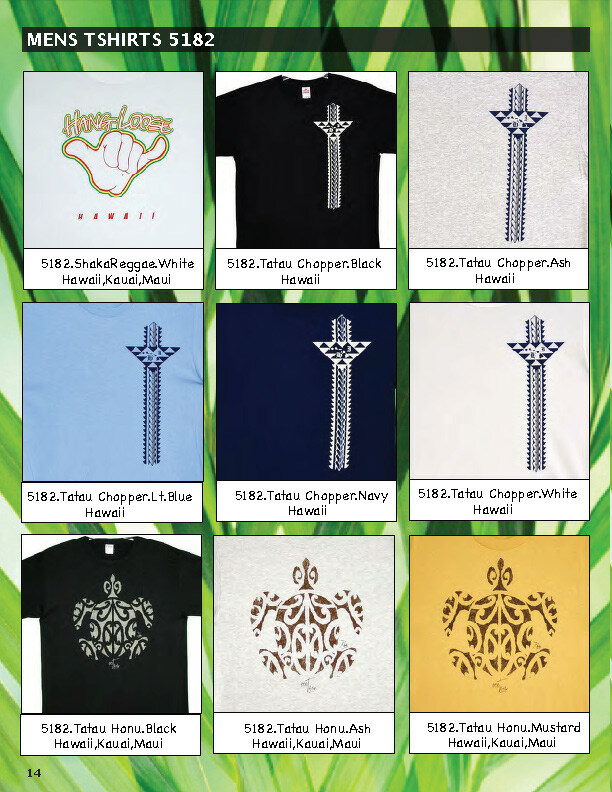 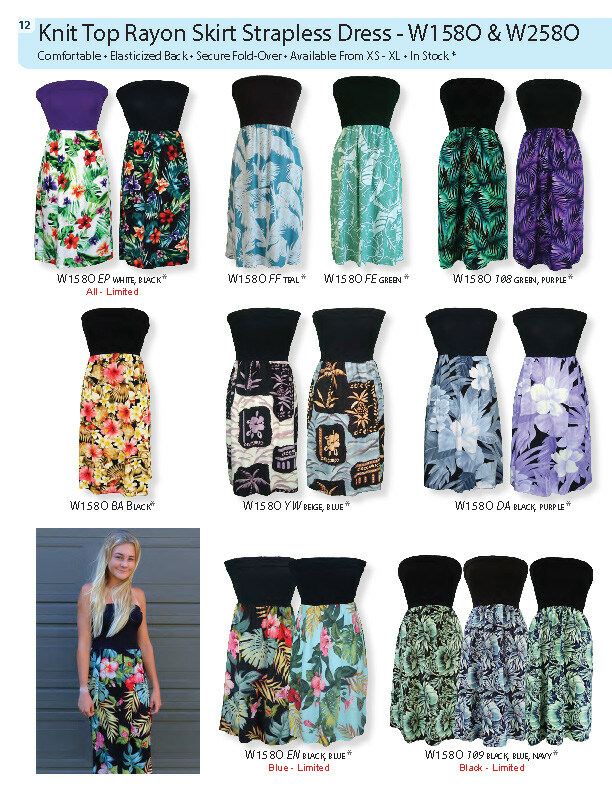 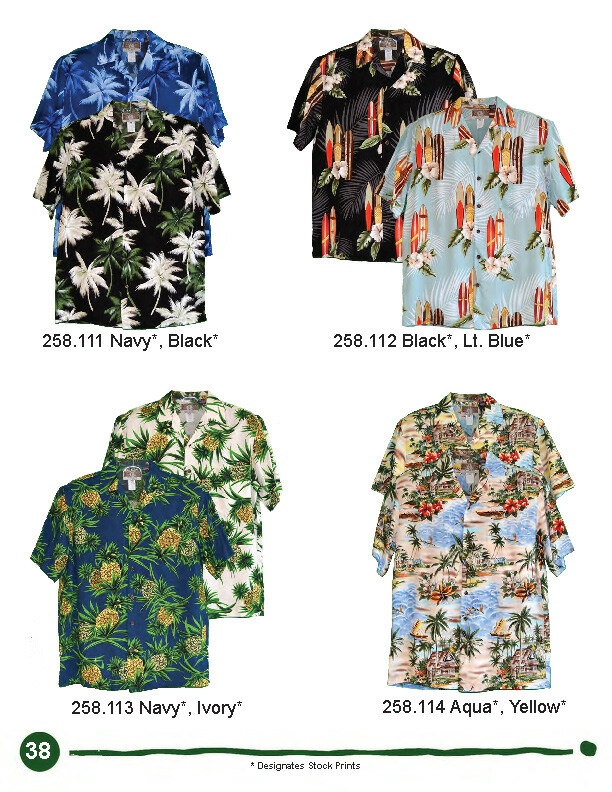 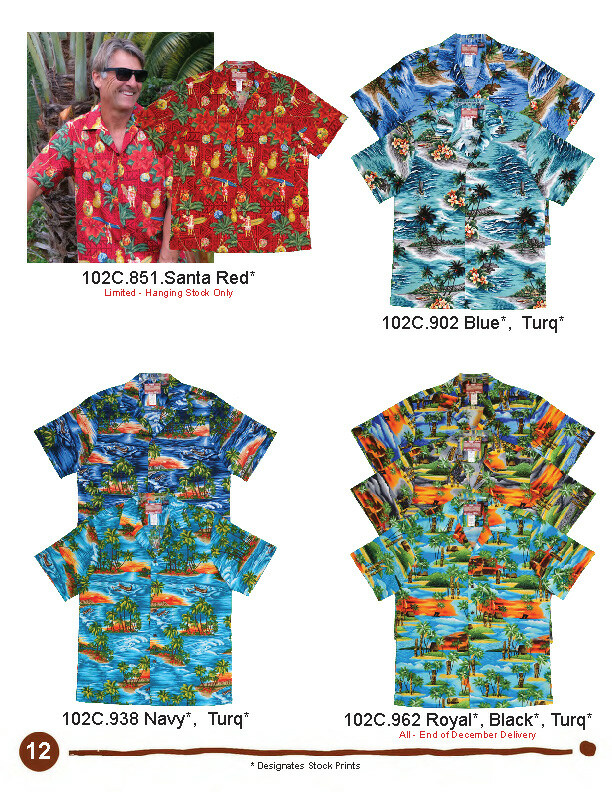 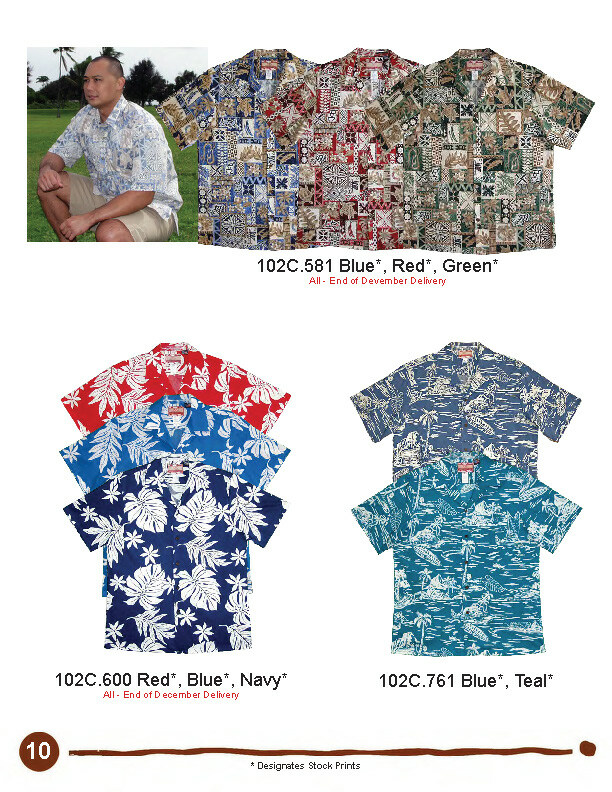 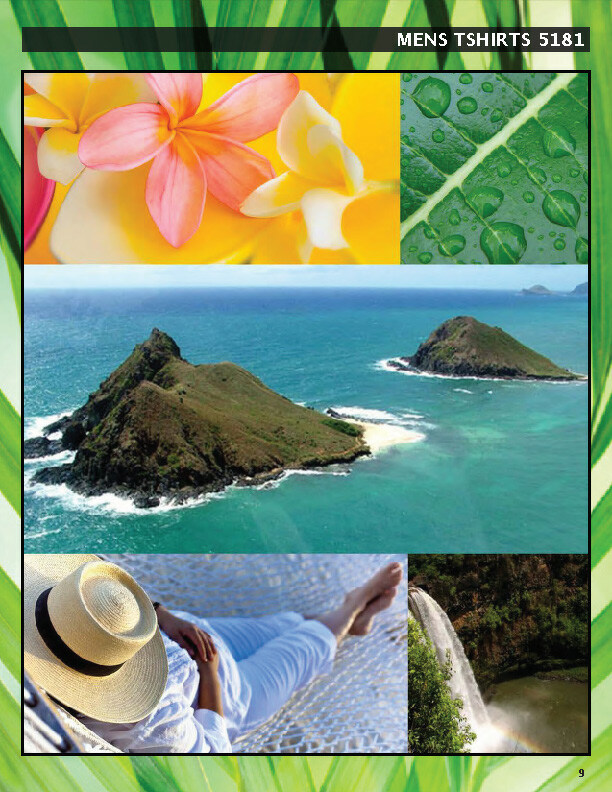 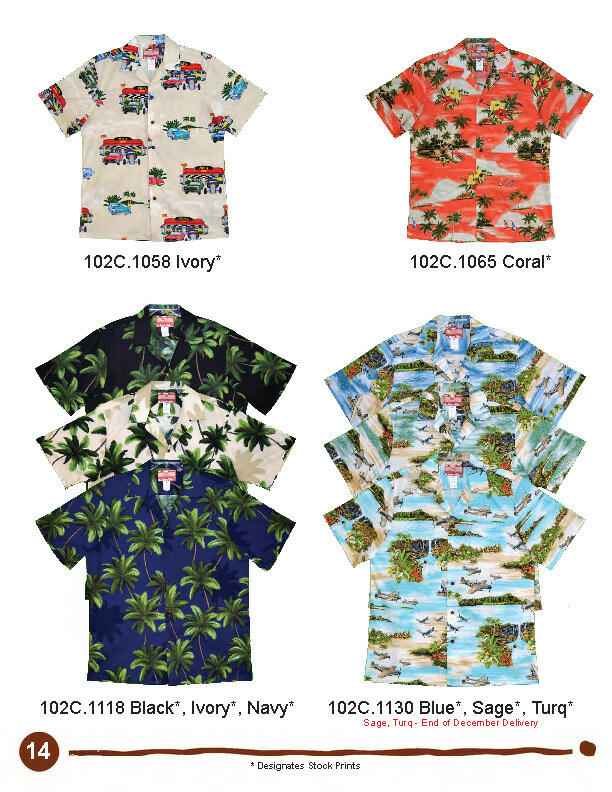 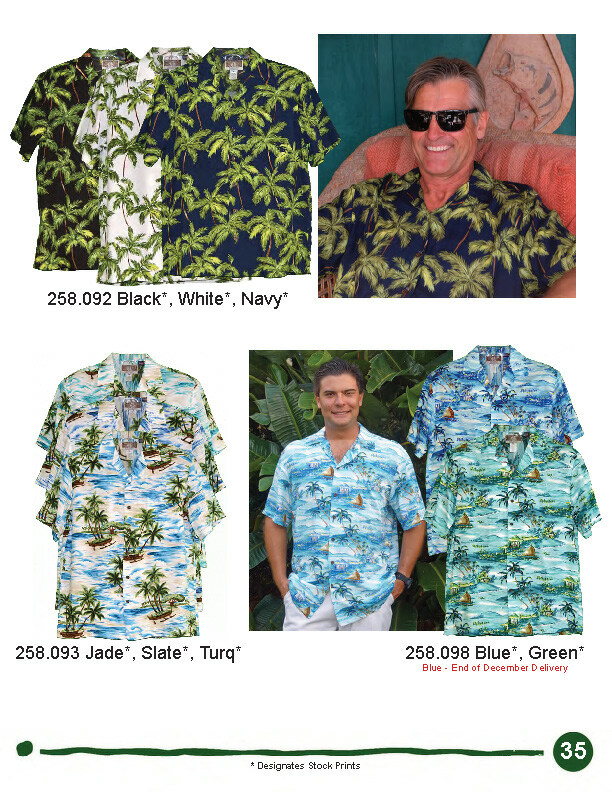 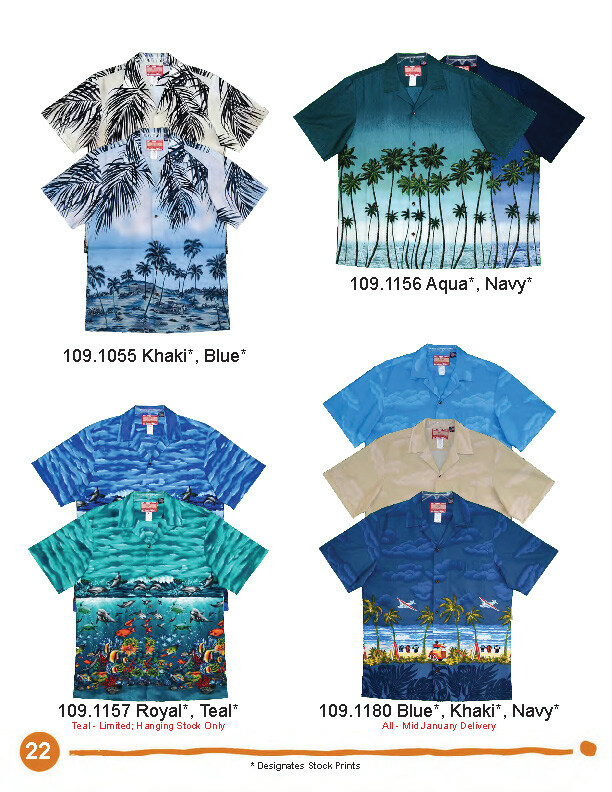 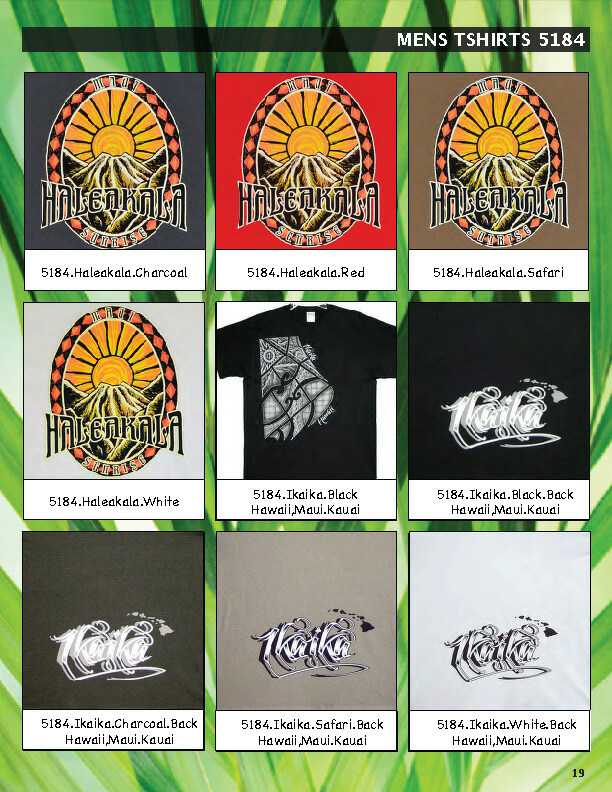 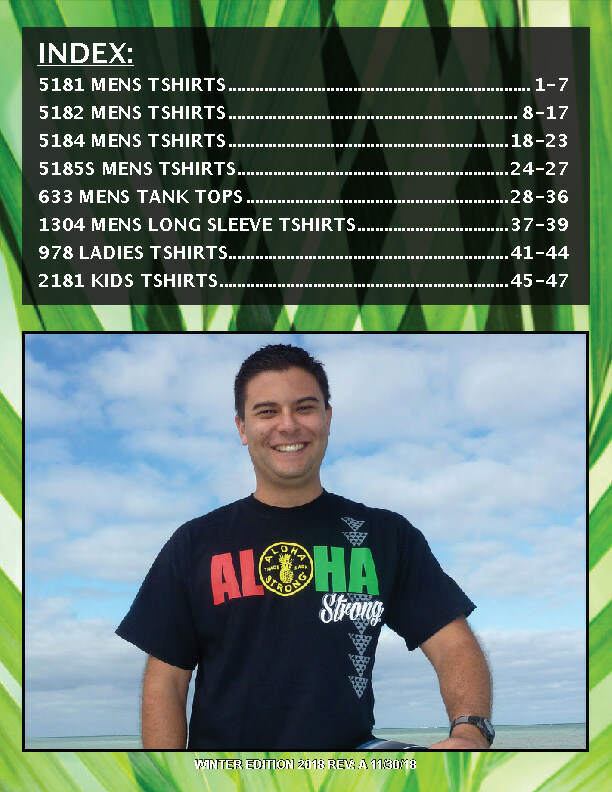 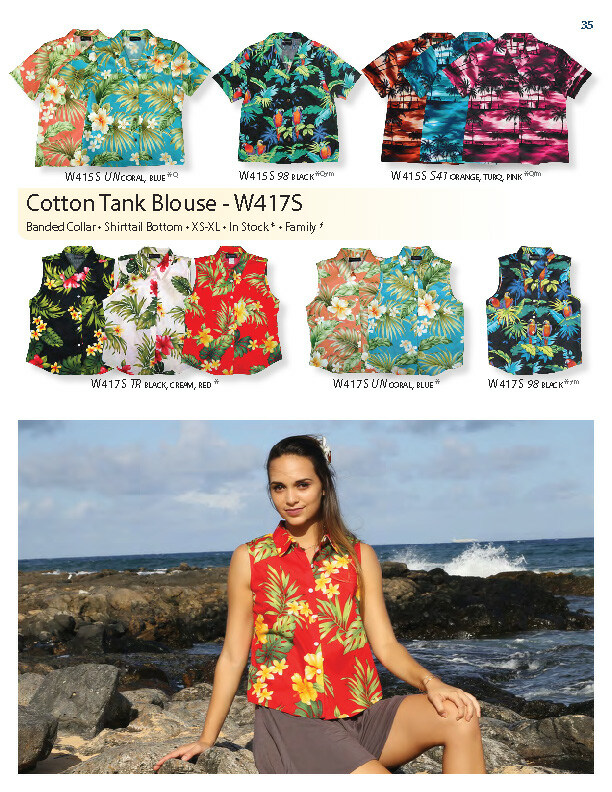 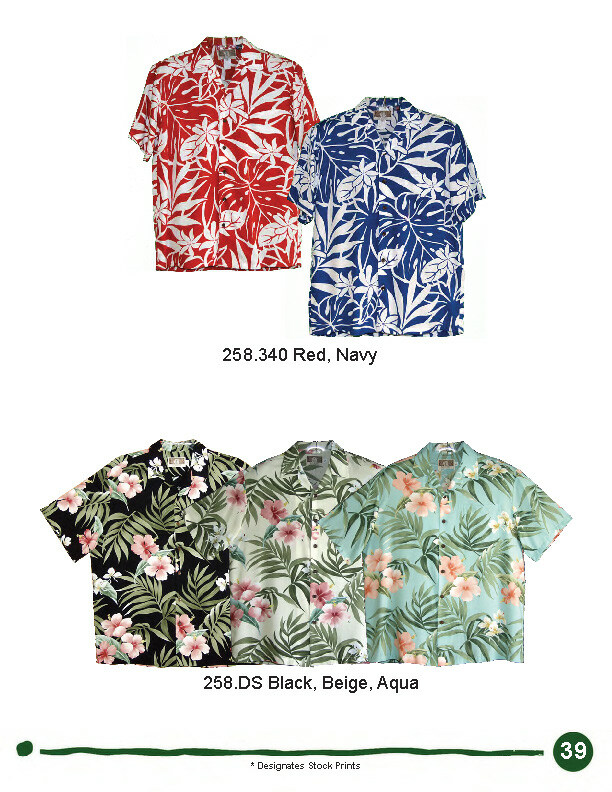 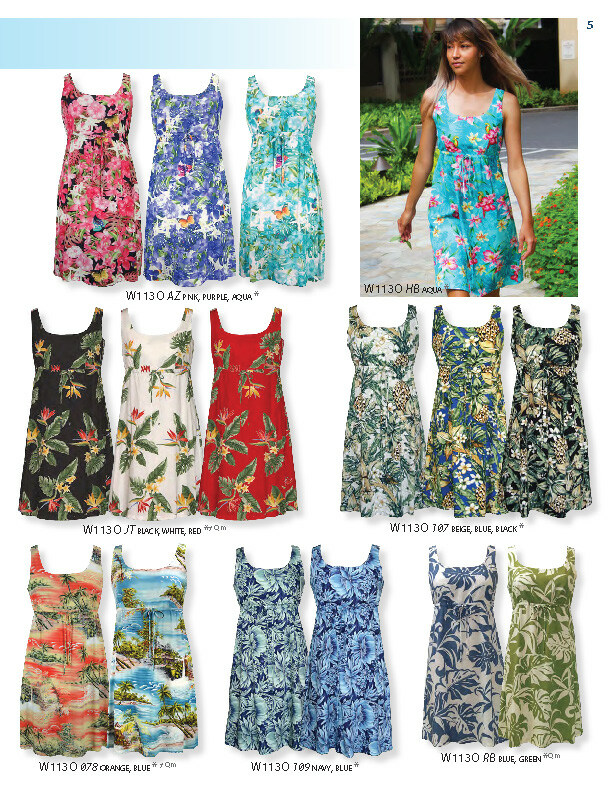 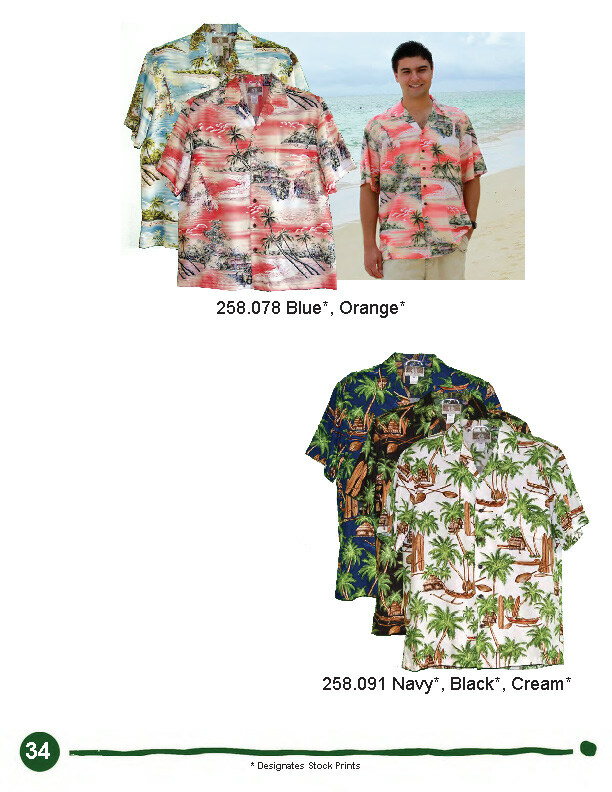 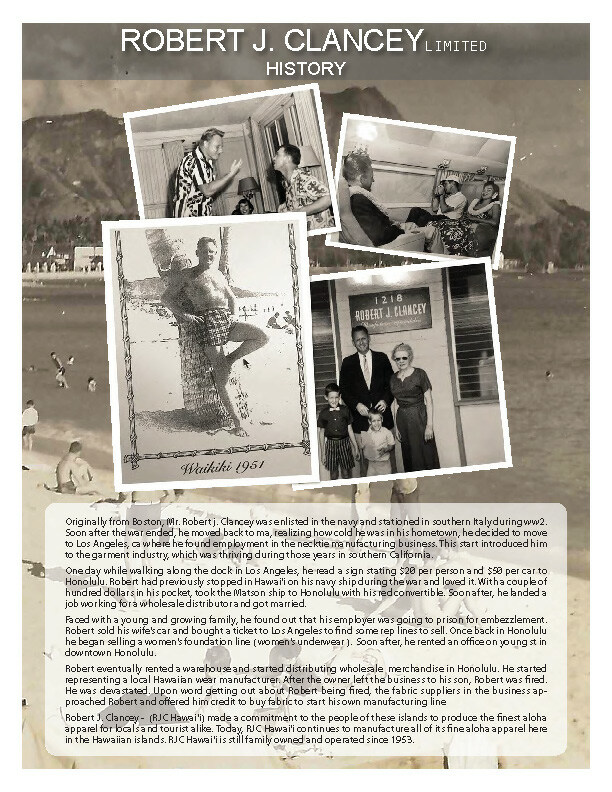 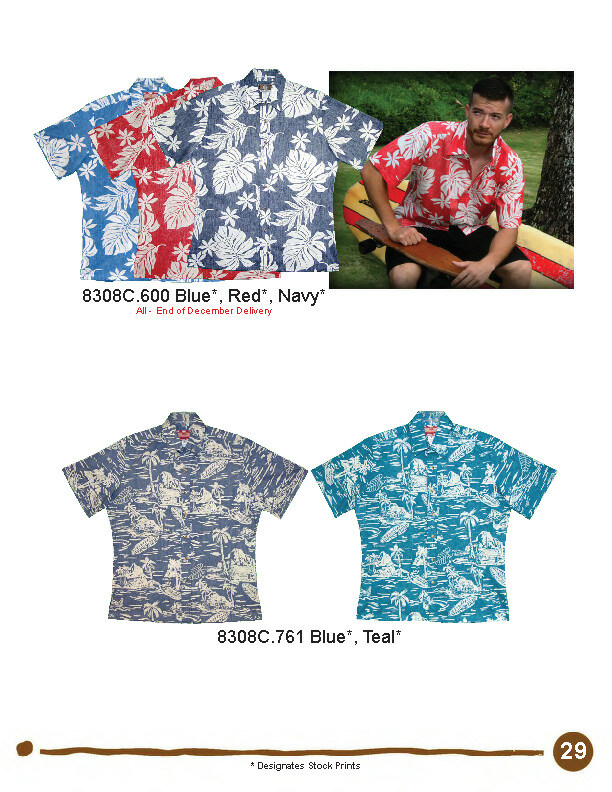 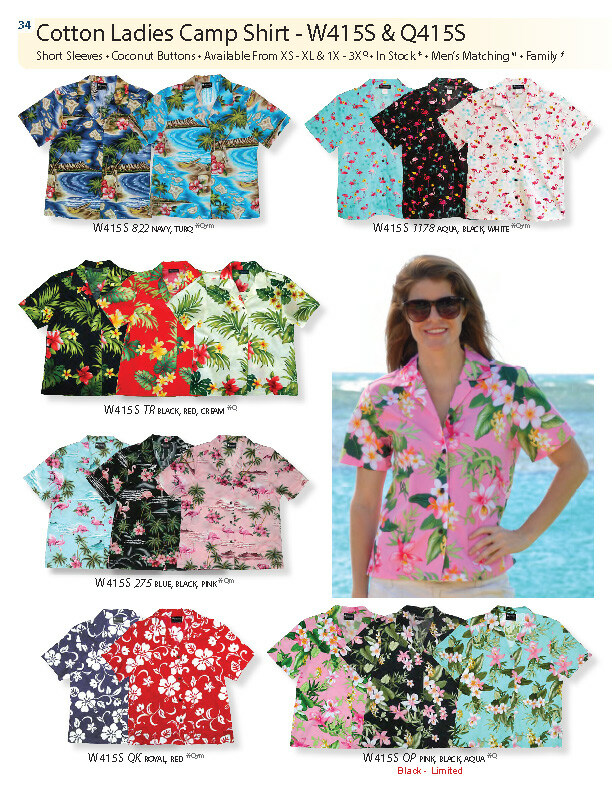 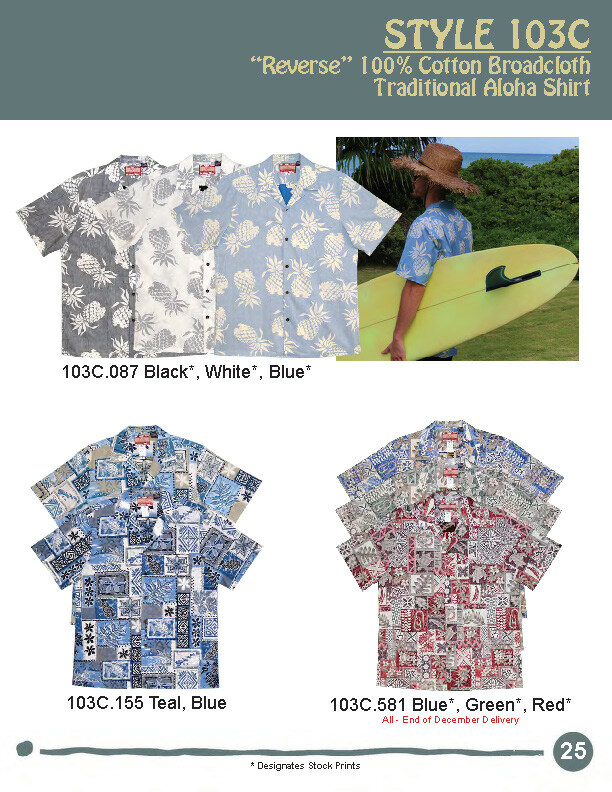 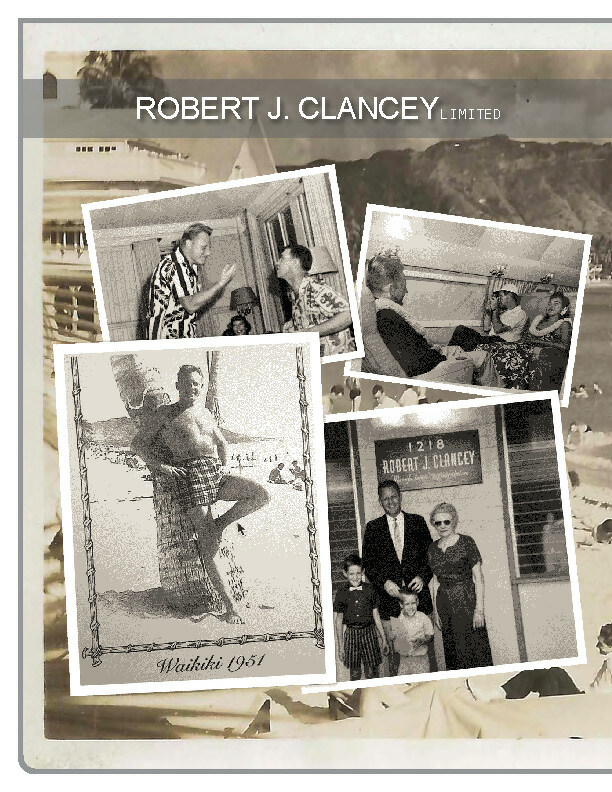 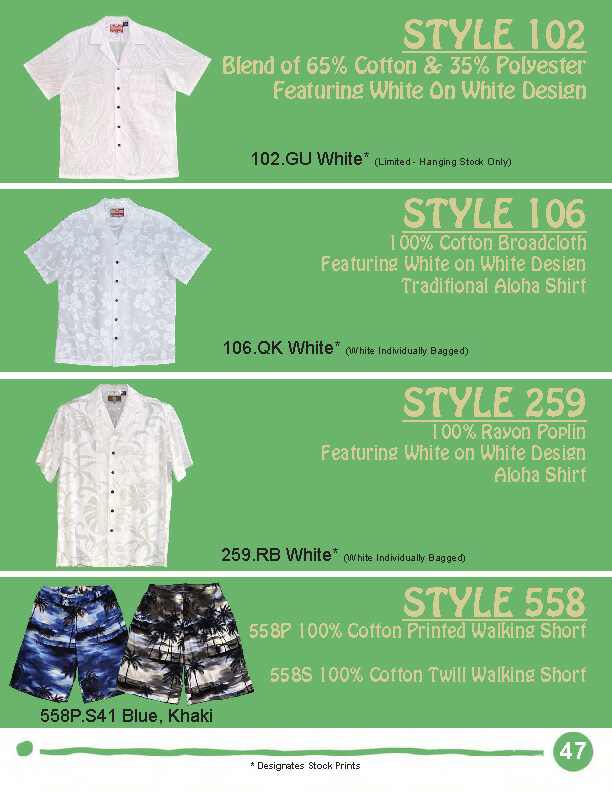 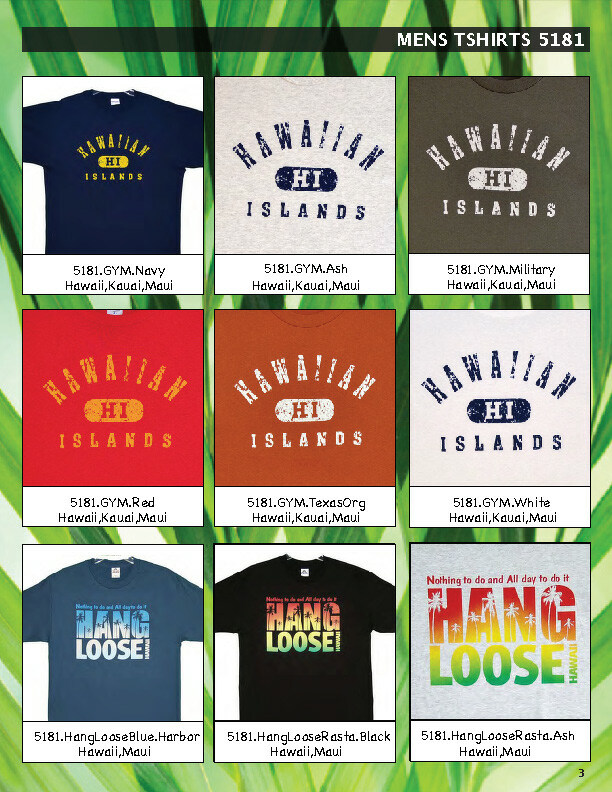 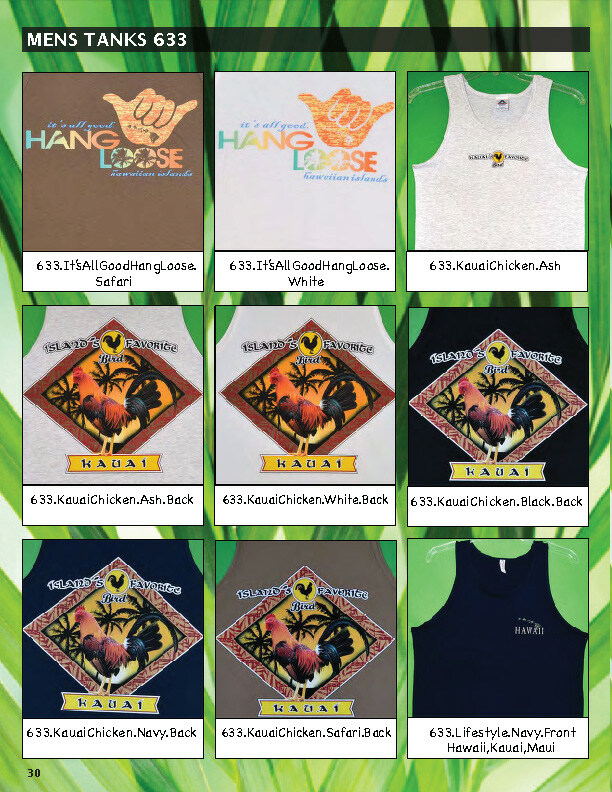 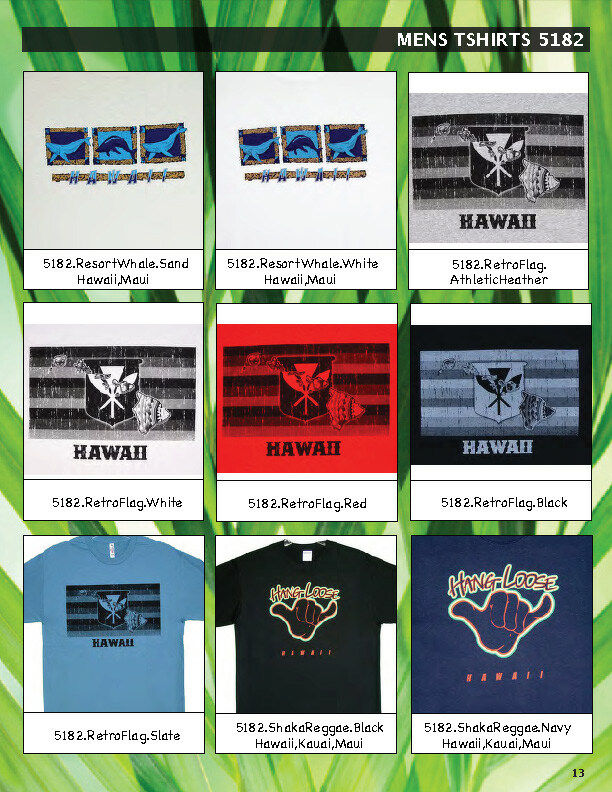 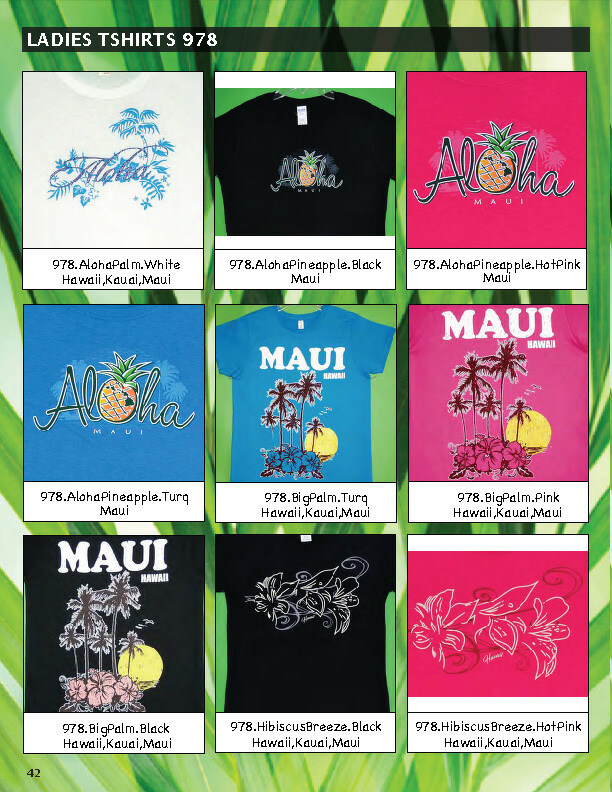 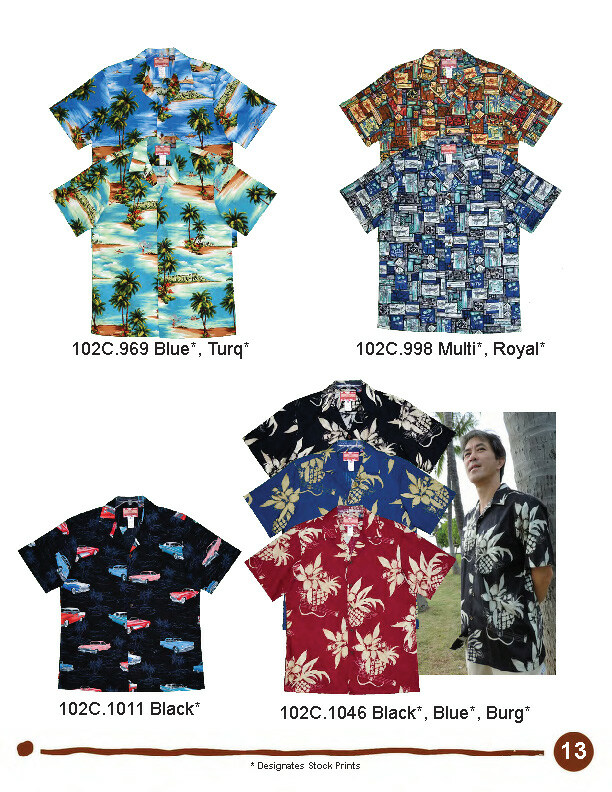 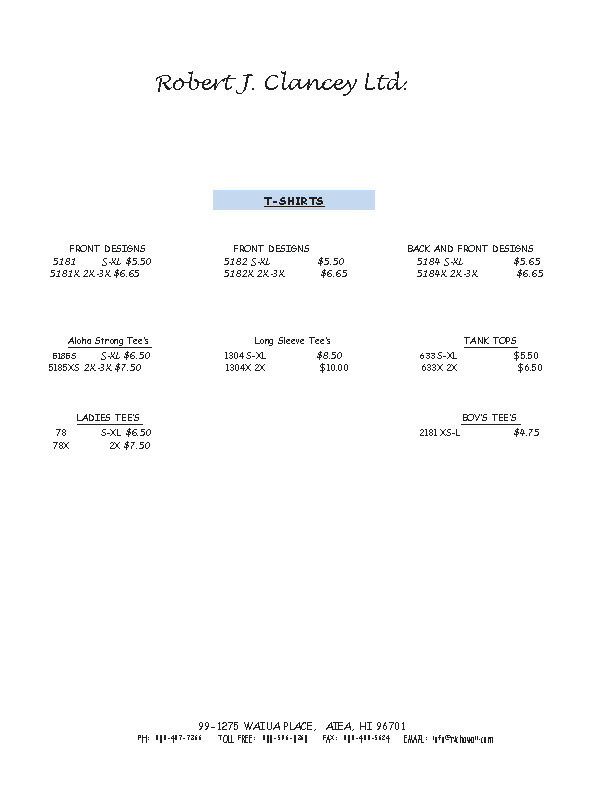 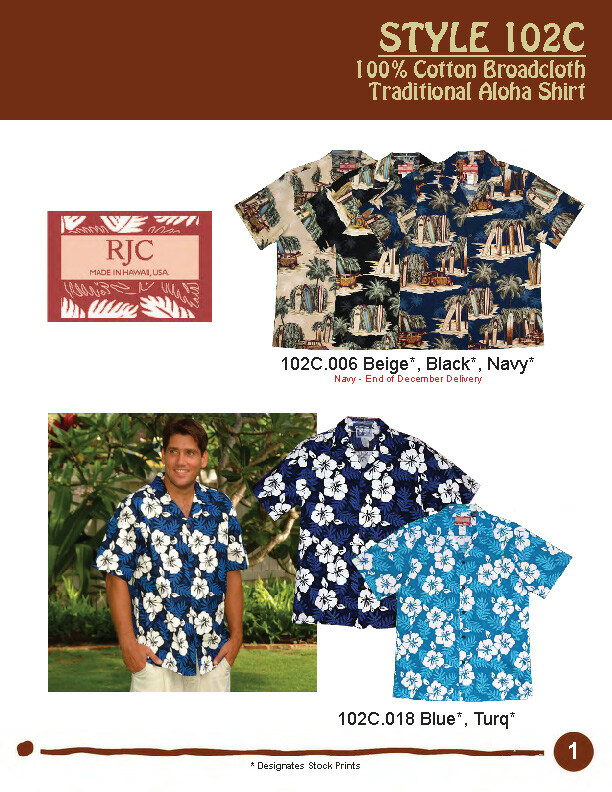 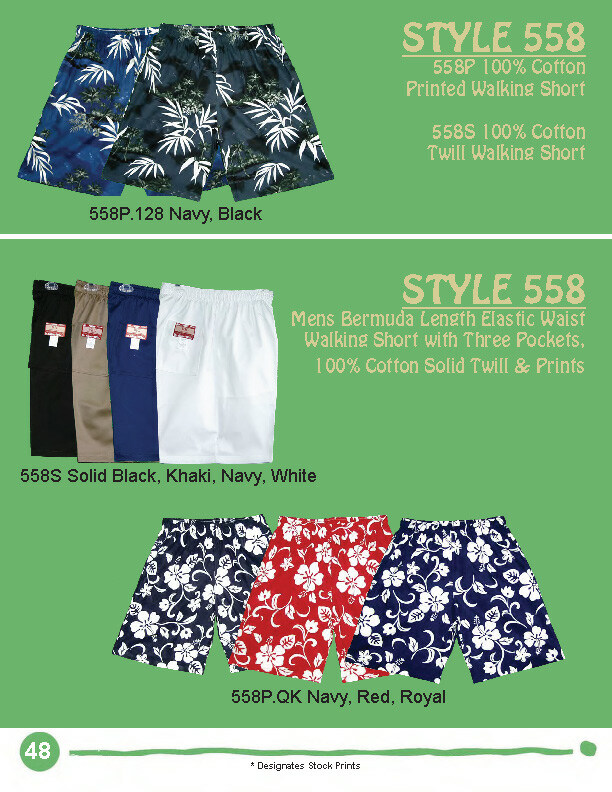 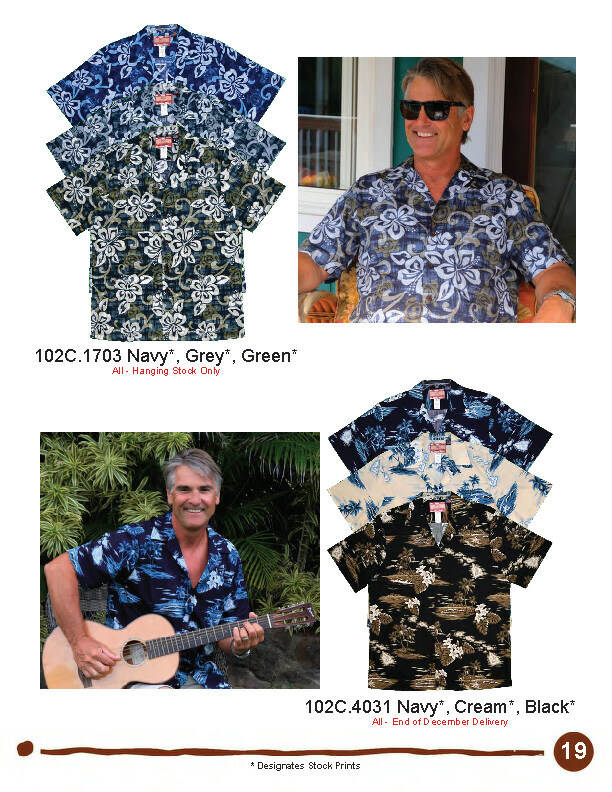 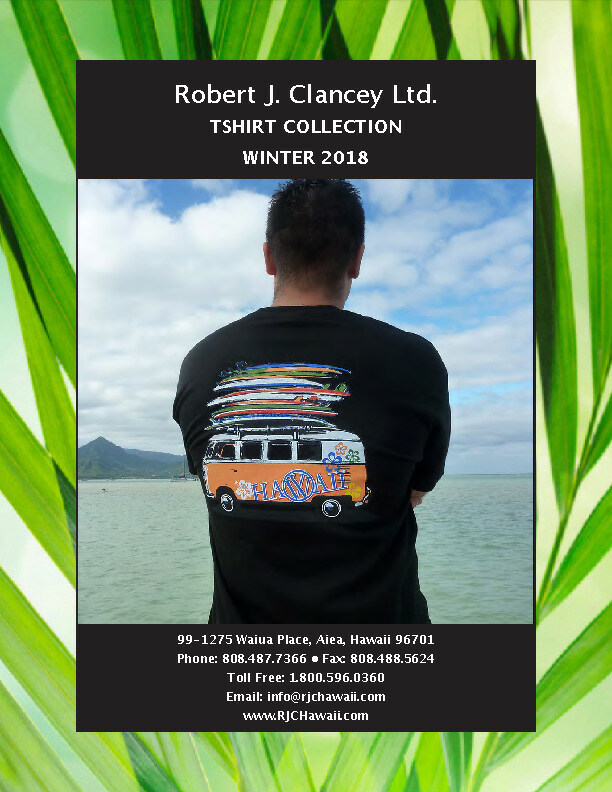 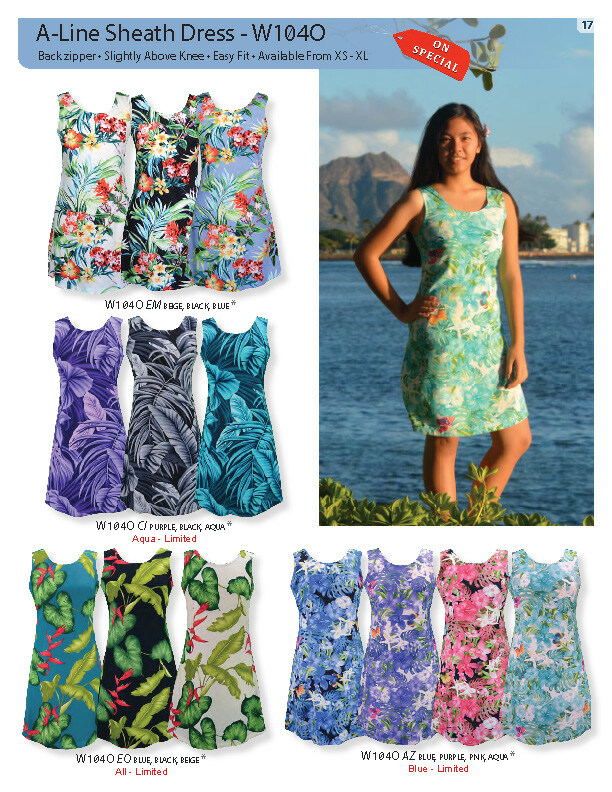 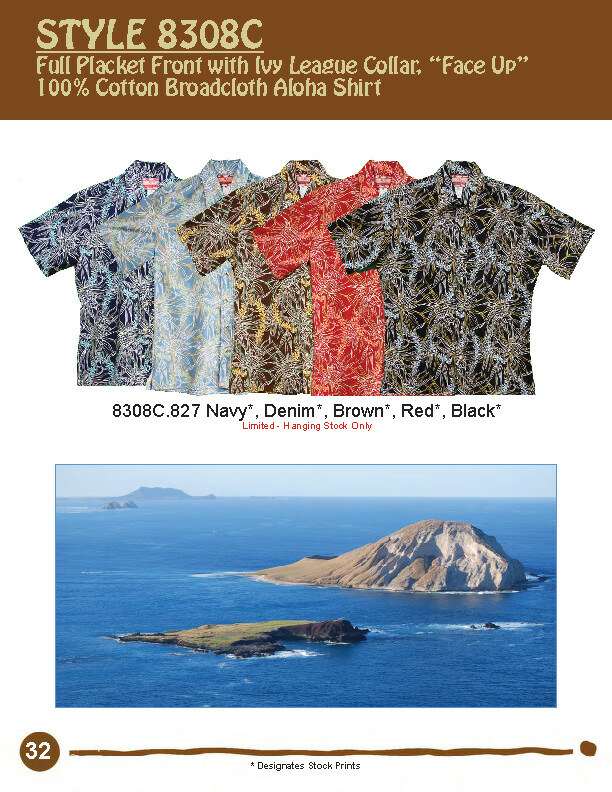 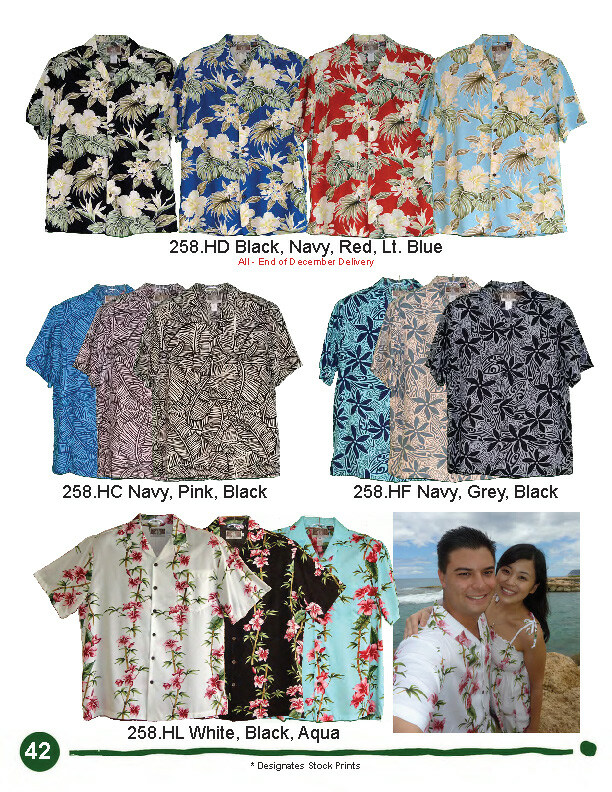 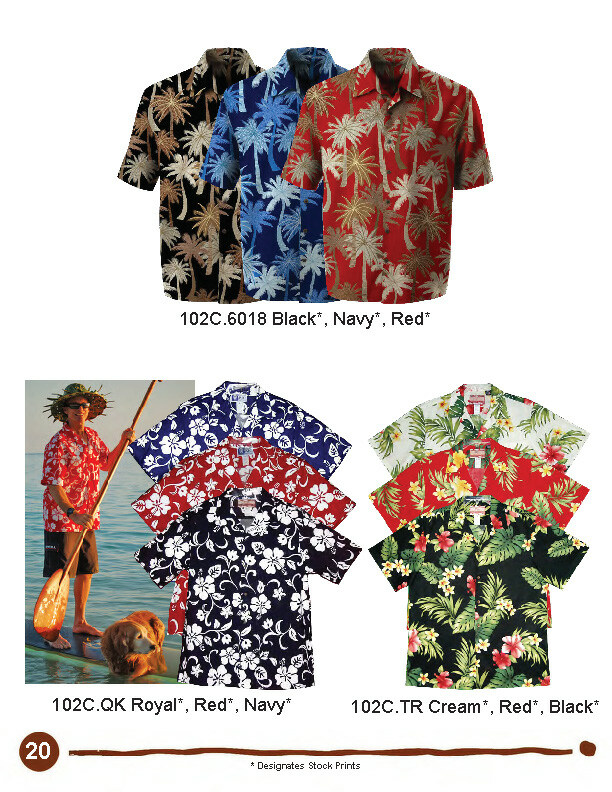 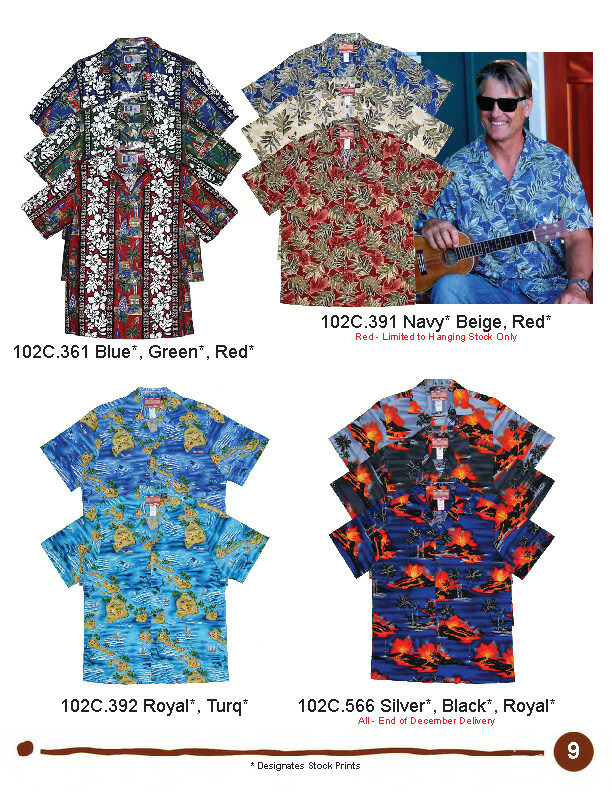 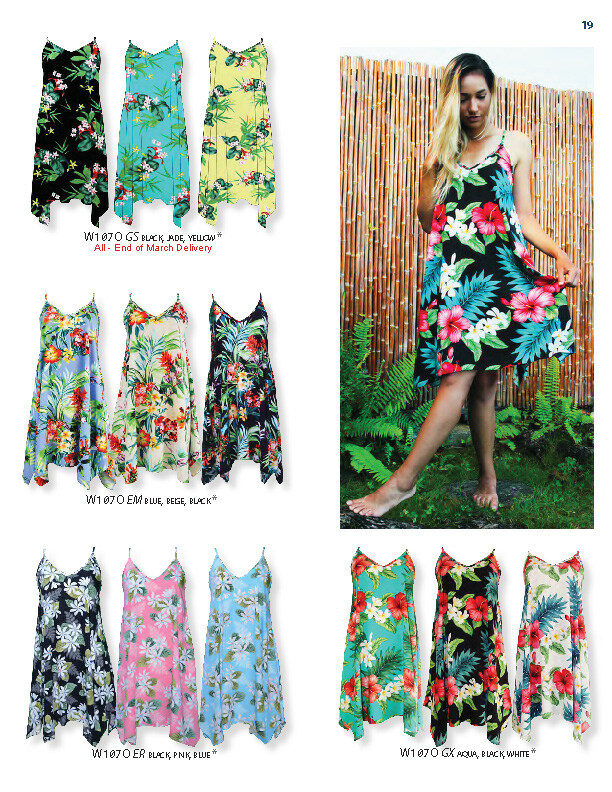 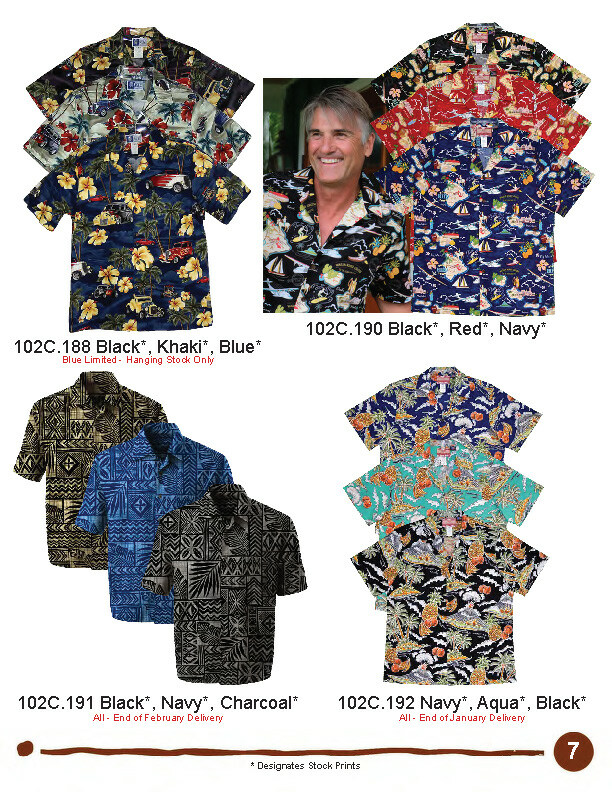 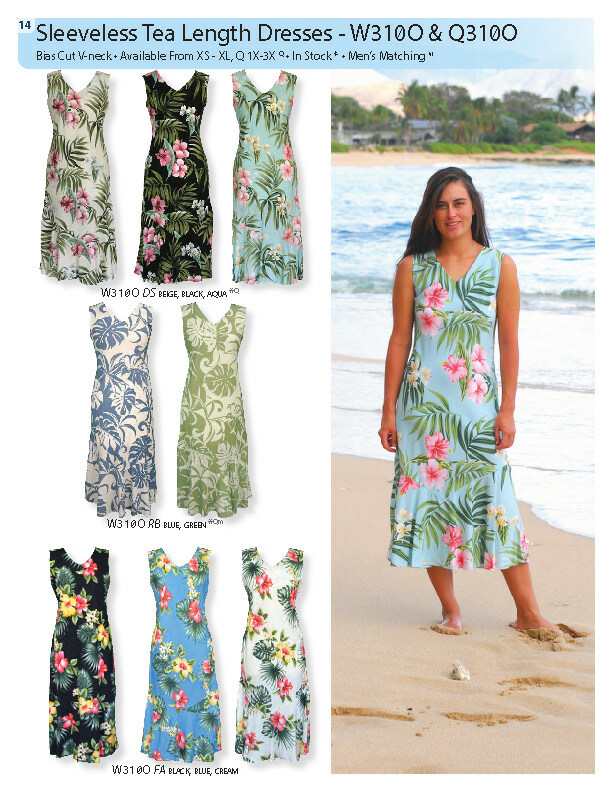 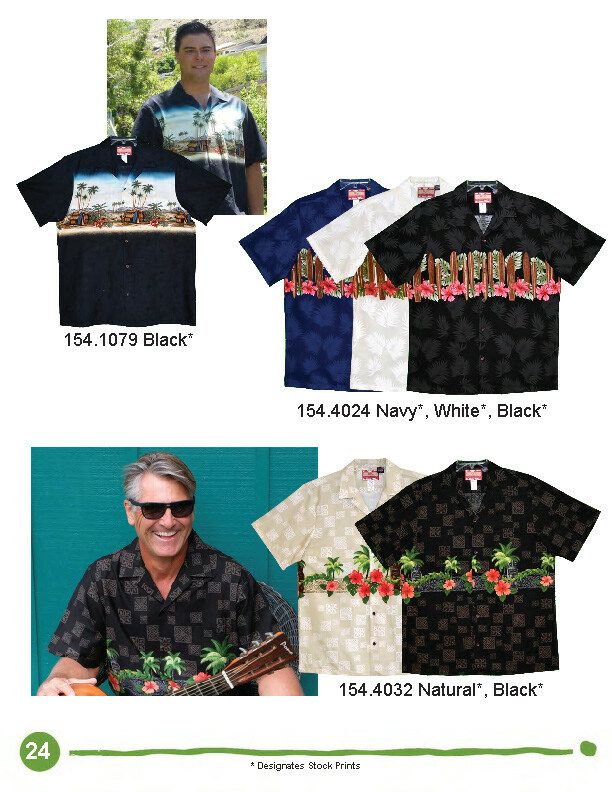 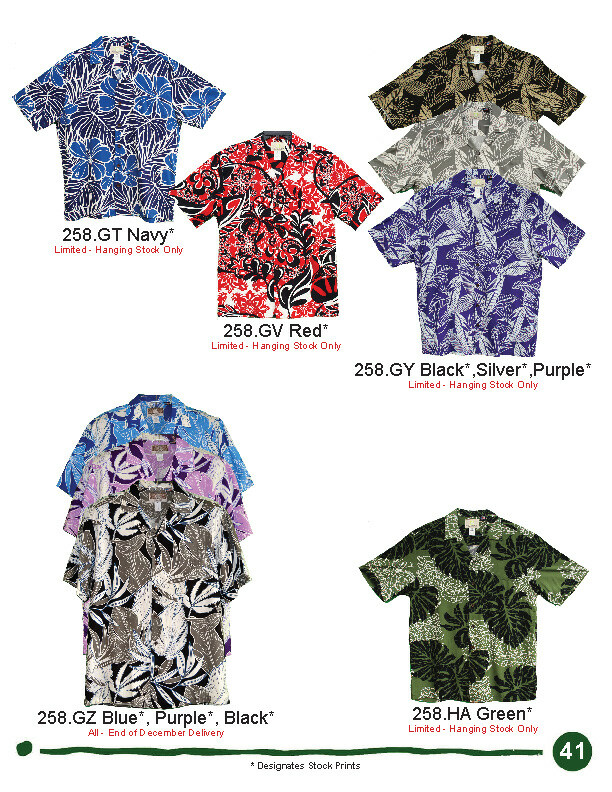 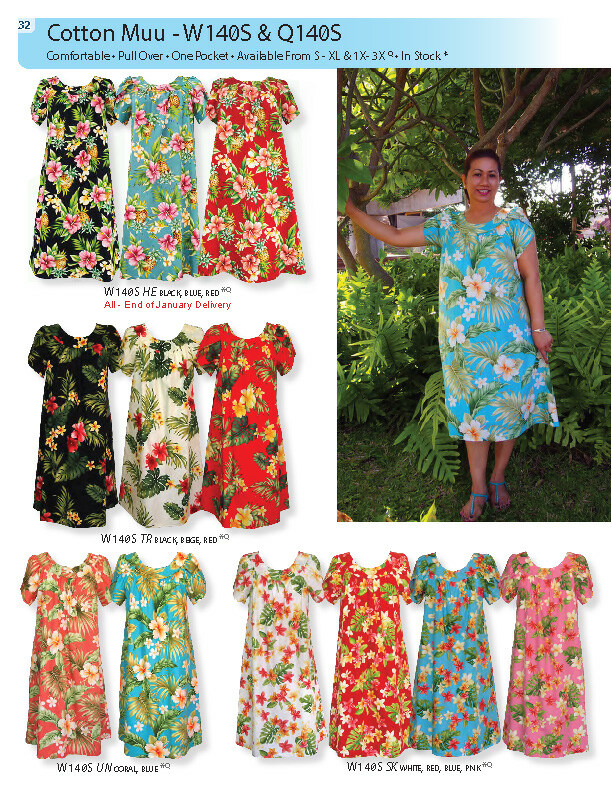 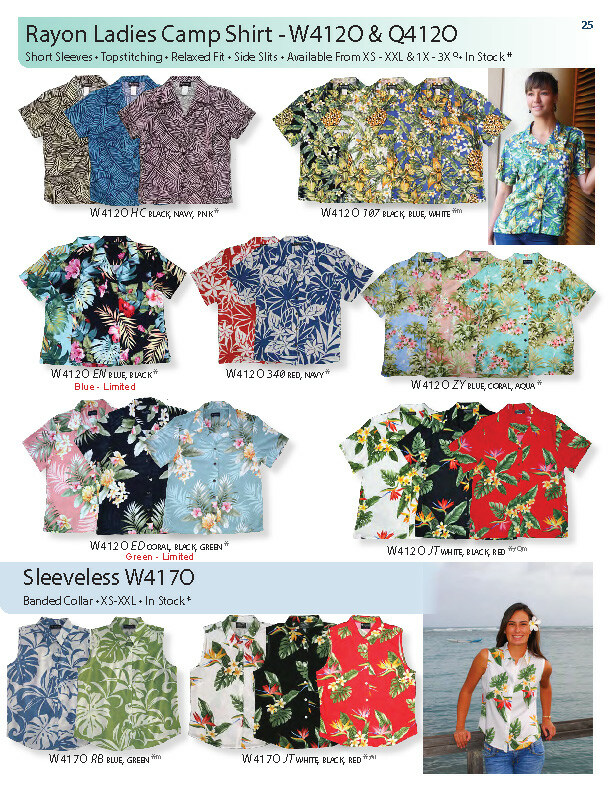 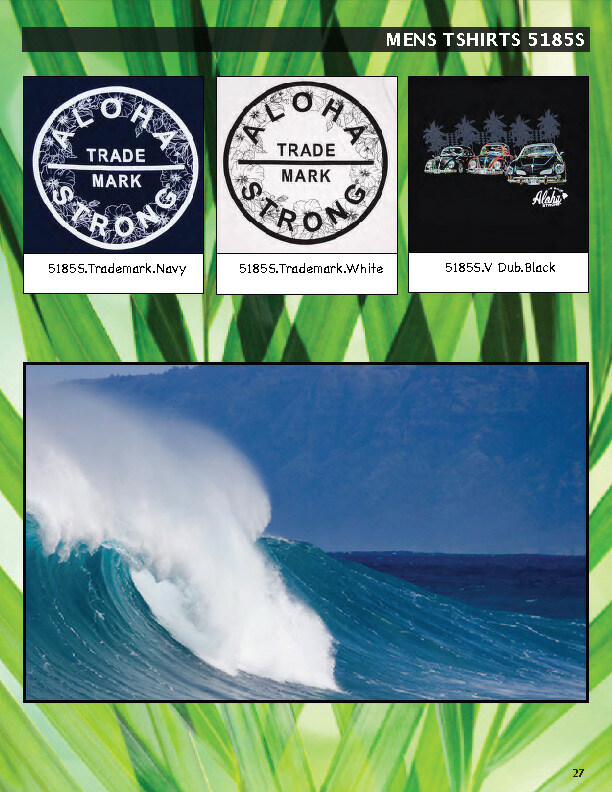 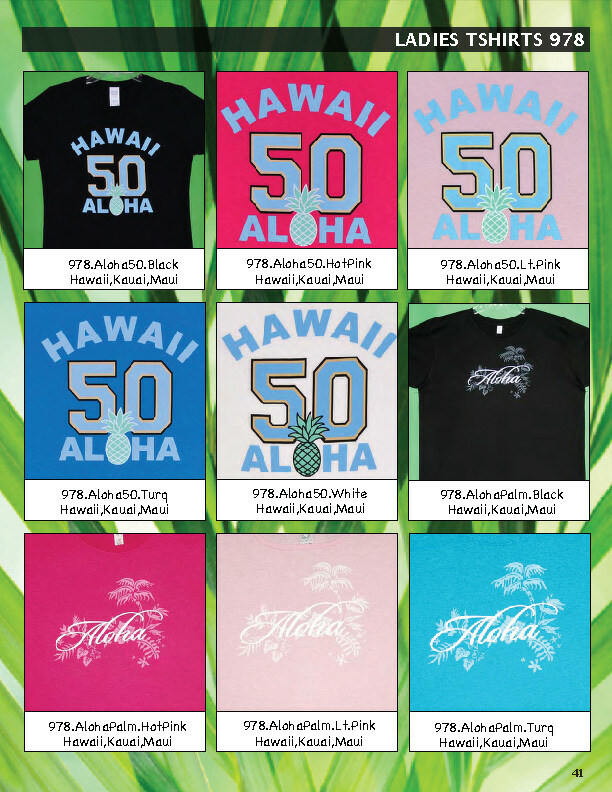 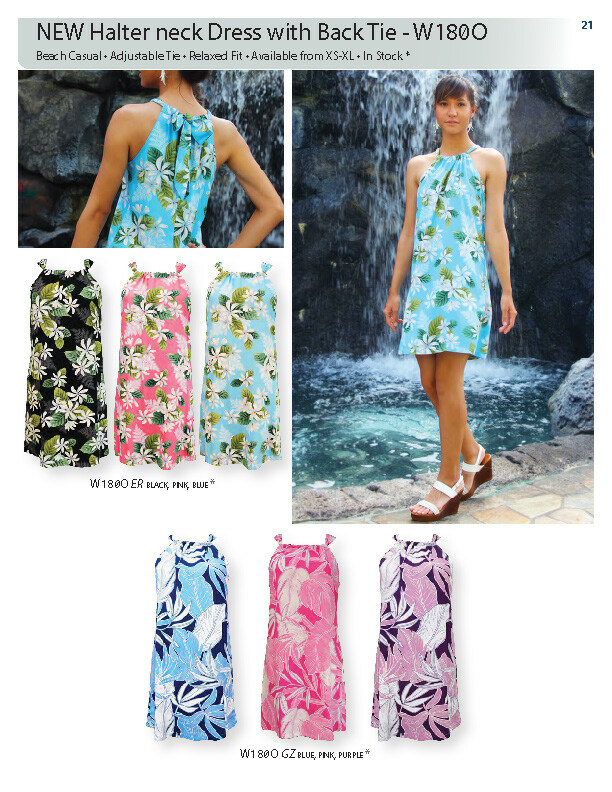 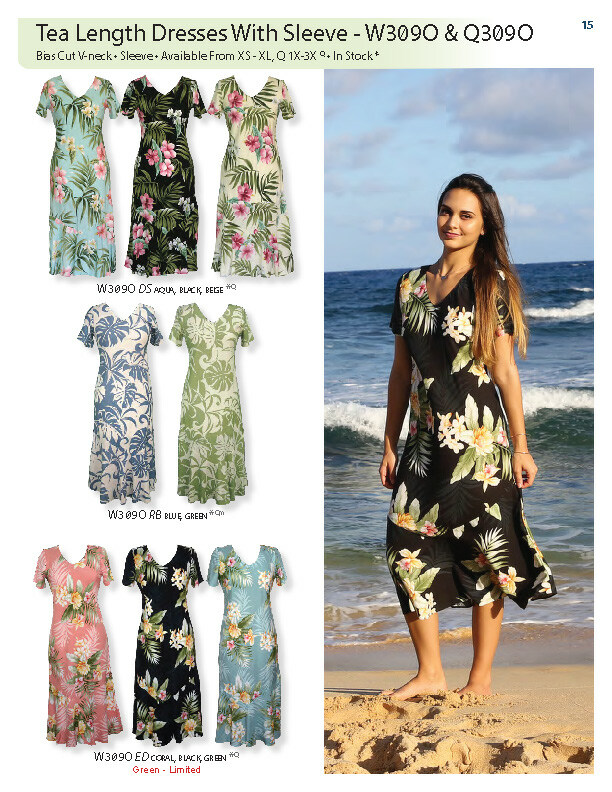 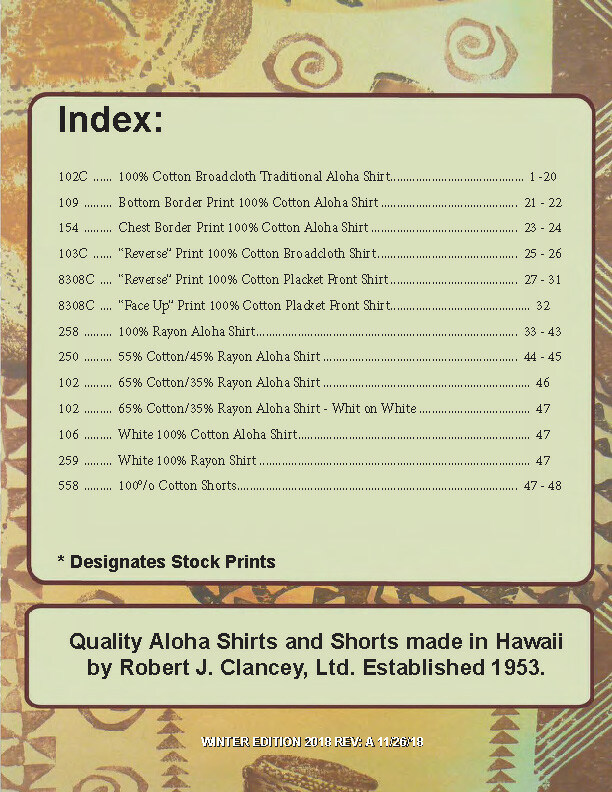 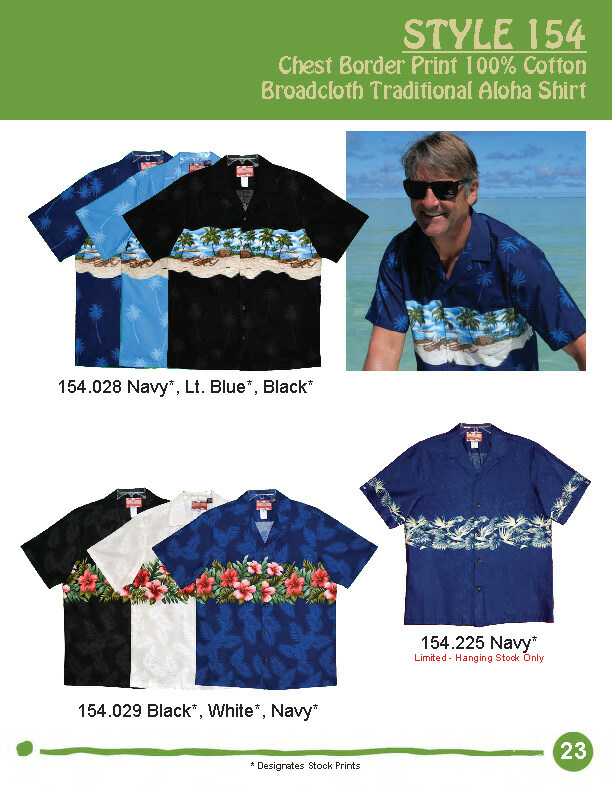 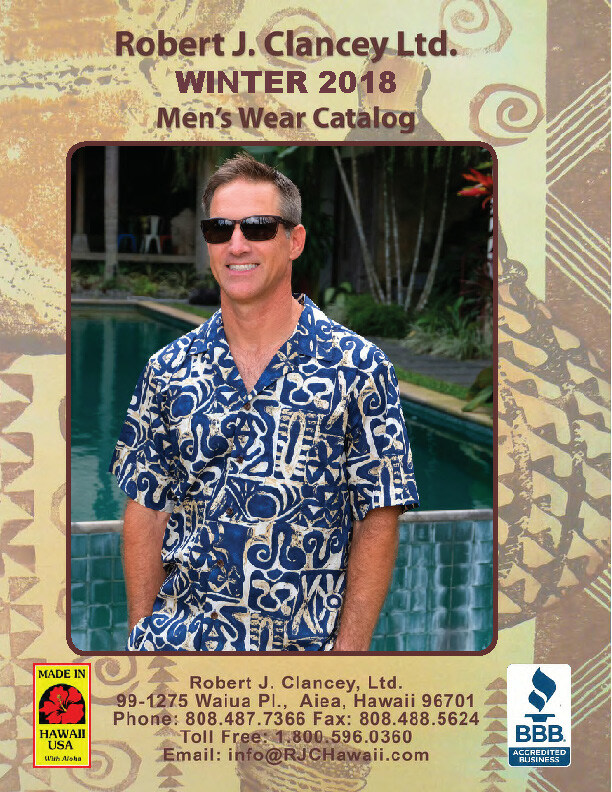 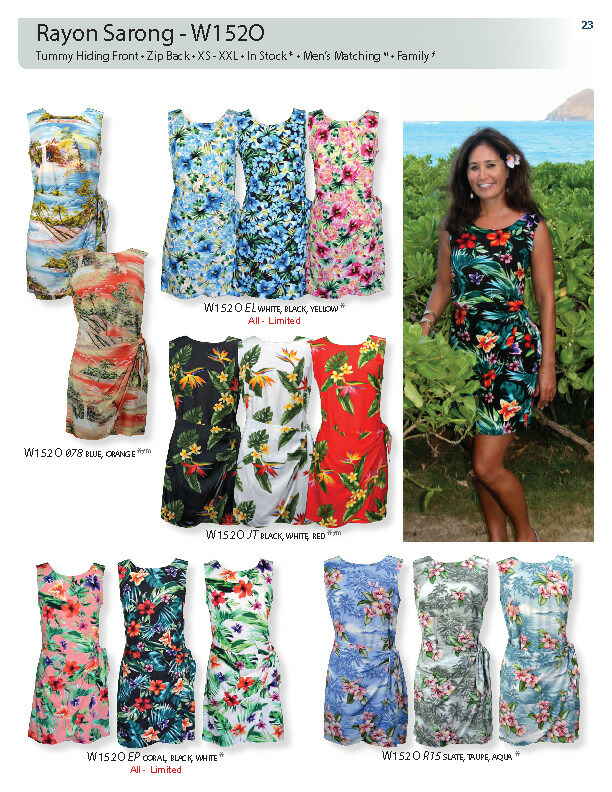 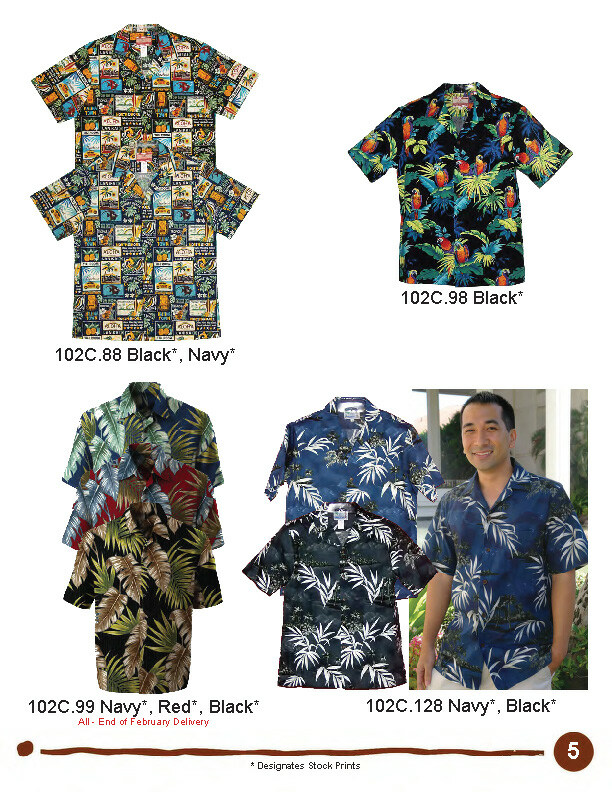 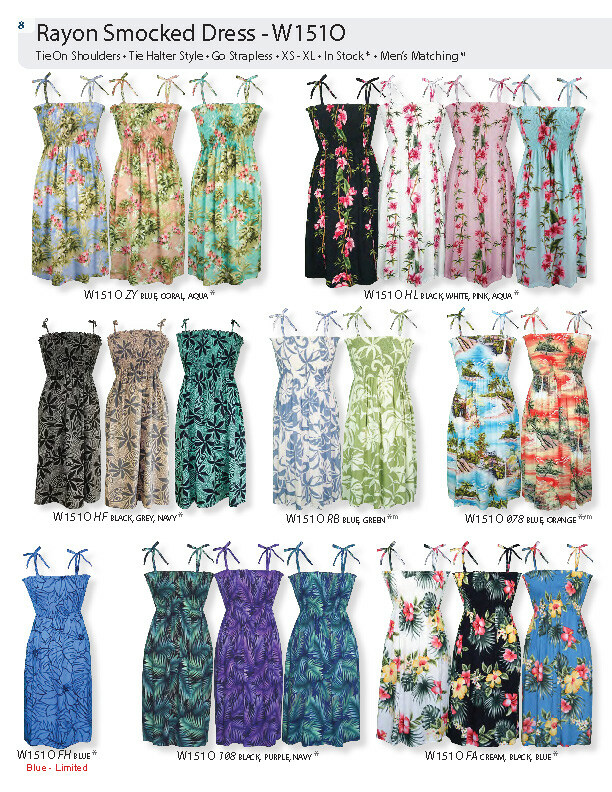 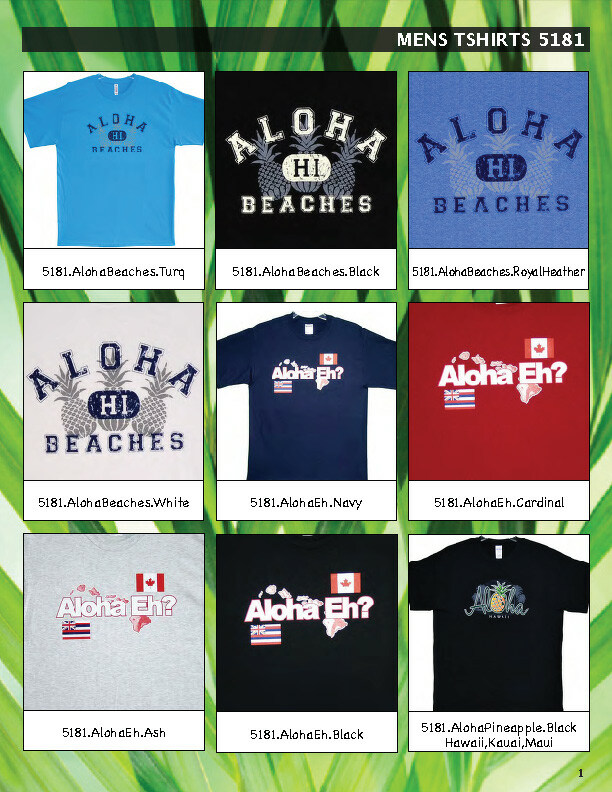 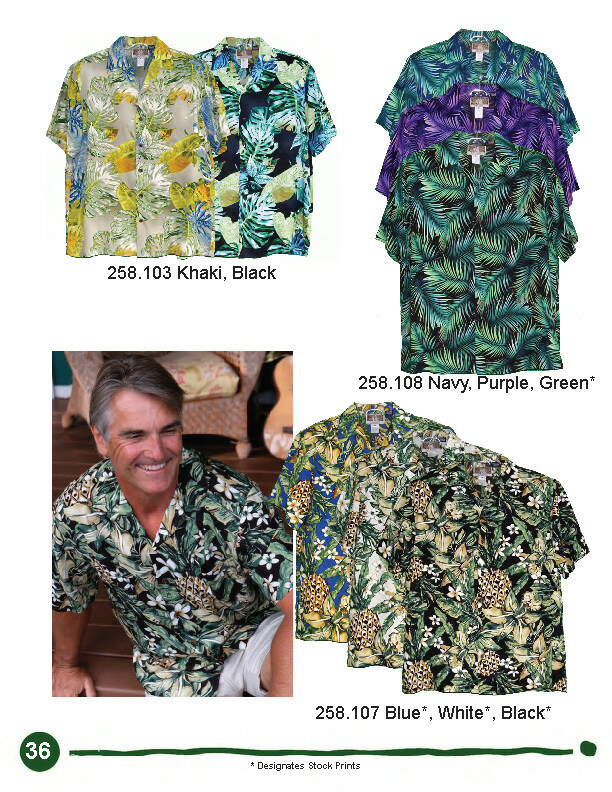 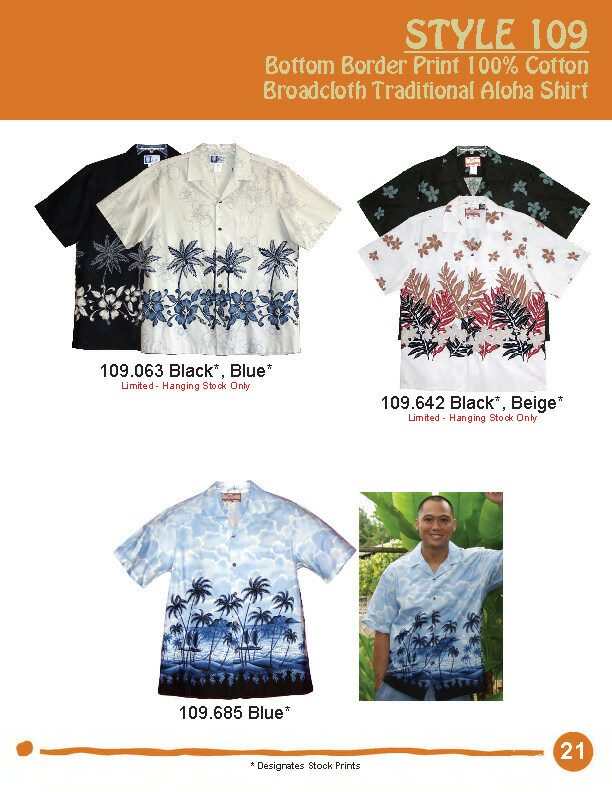 Island Fashions Made With Aloha Since 1953. 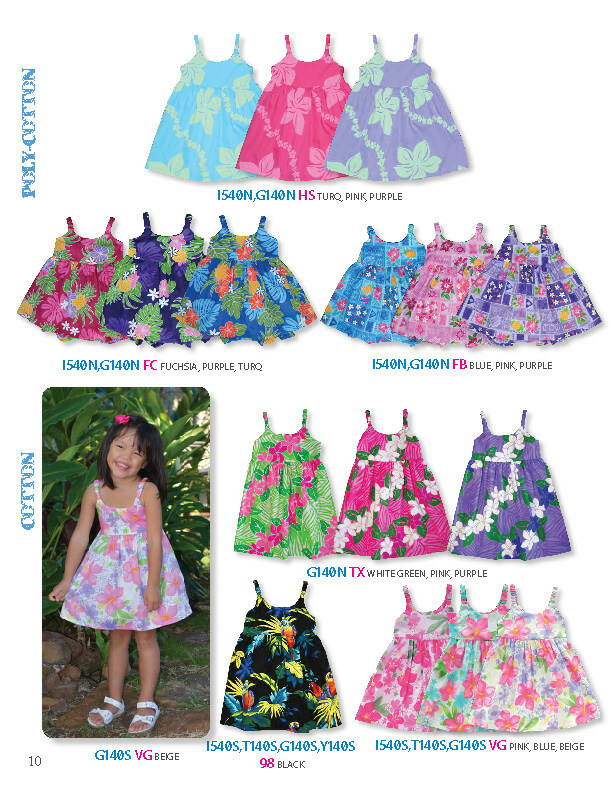 Modern and traditional fabrics, blended with unique tropical patterns for any occasion. 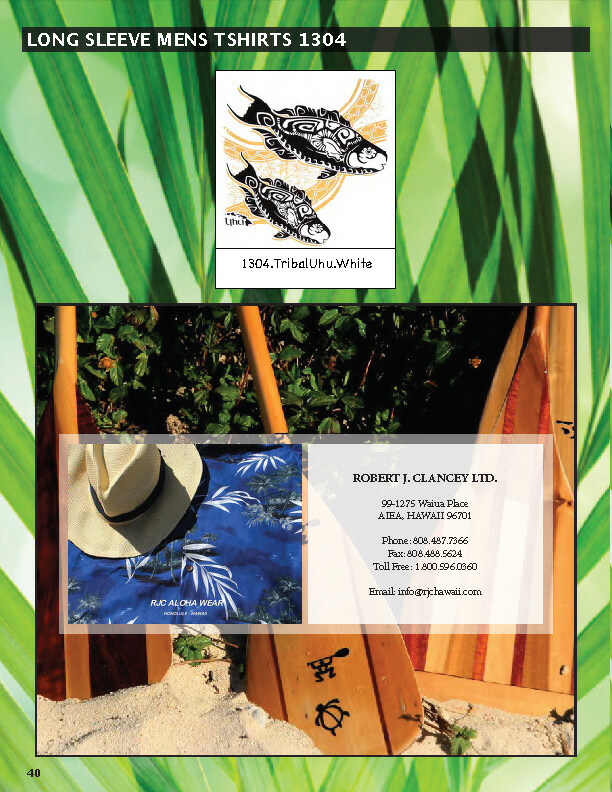 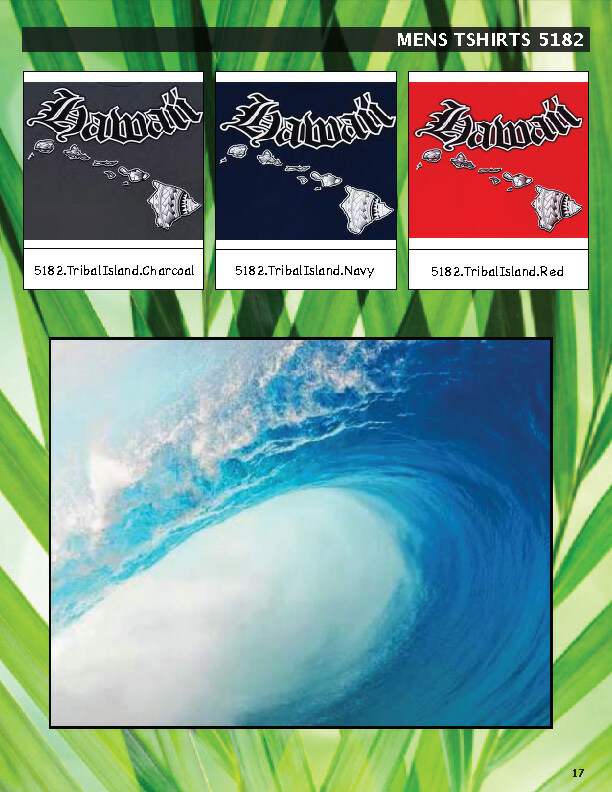 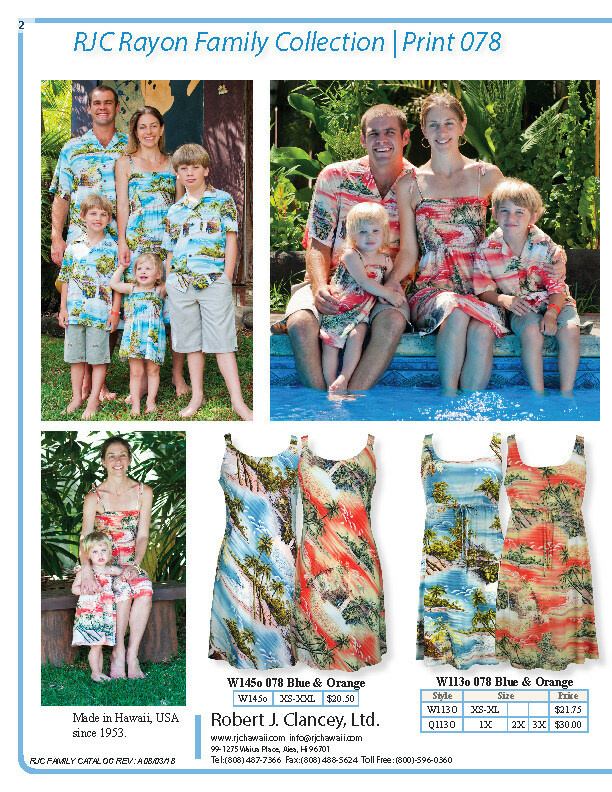 Cool, comfortable, fresh fabrics, designed for island living. 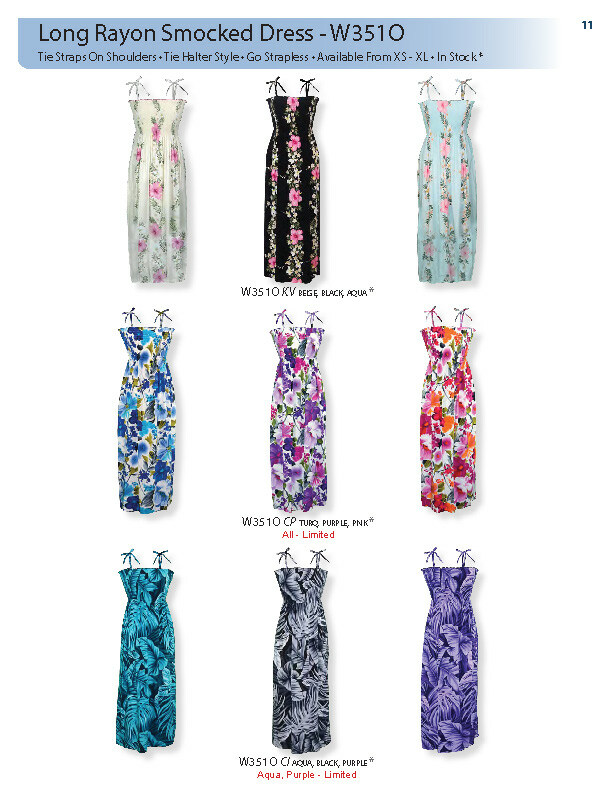 Our exclusive comfortable weaves and creative designs compliment any occasion. 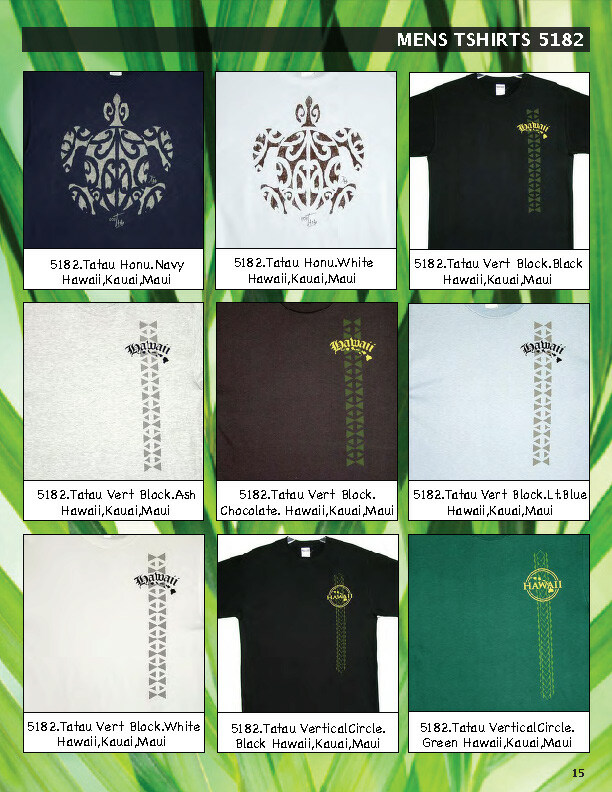 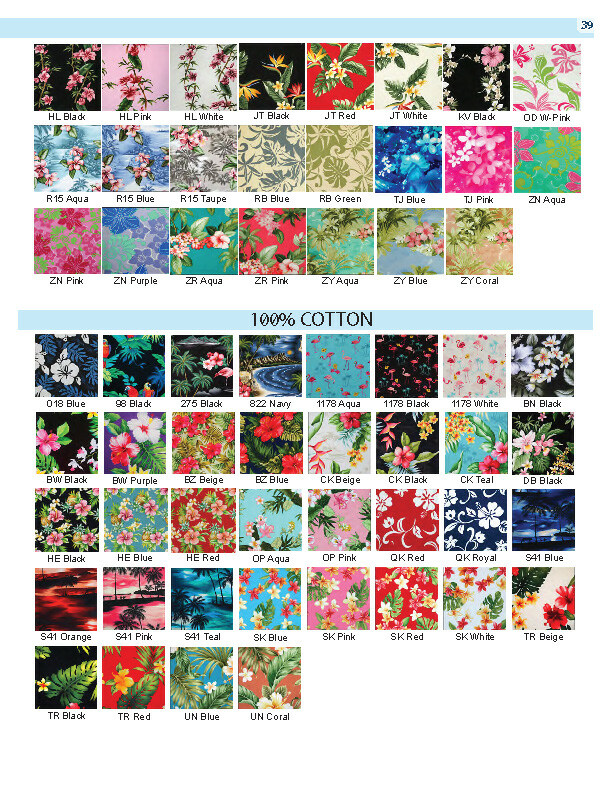 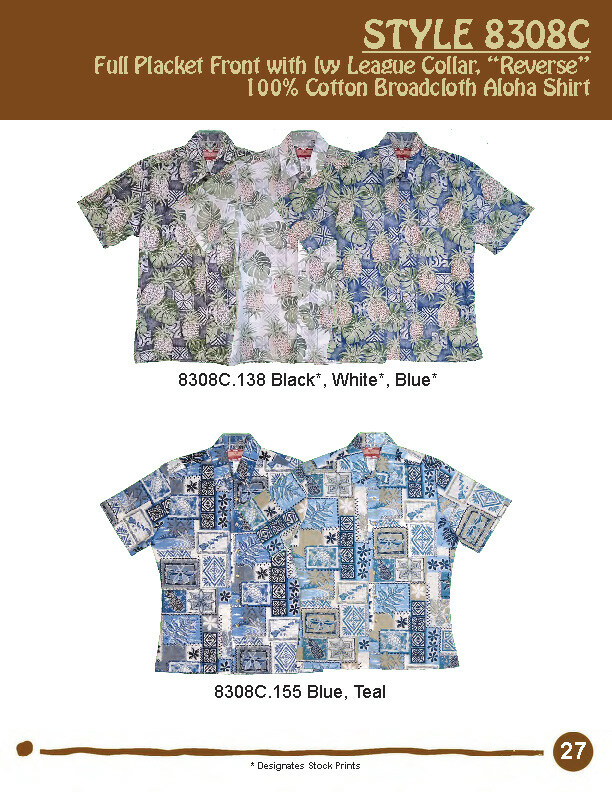 Casual and comfortable fabrics, blending unique patterns with modern and traditional designs. 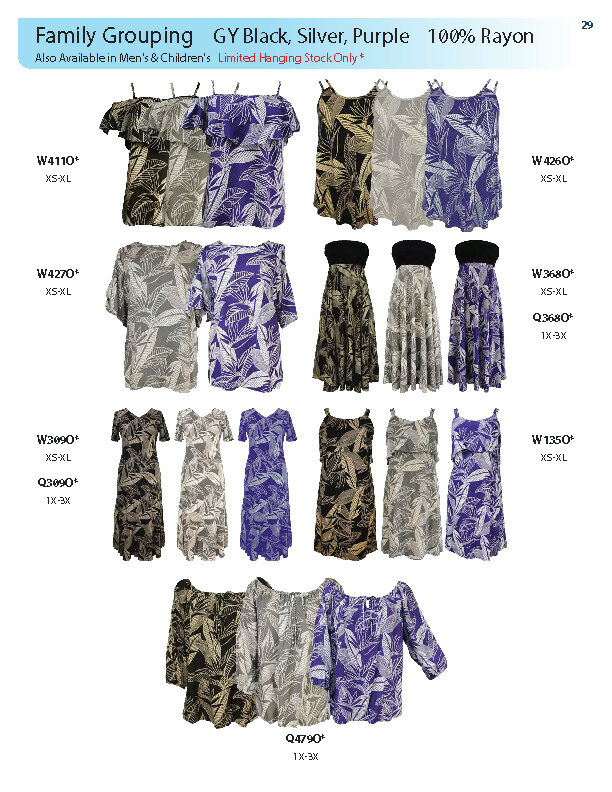 Flowing patterns, artfully created to maximize comfort and style. 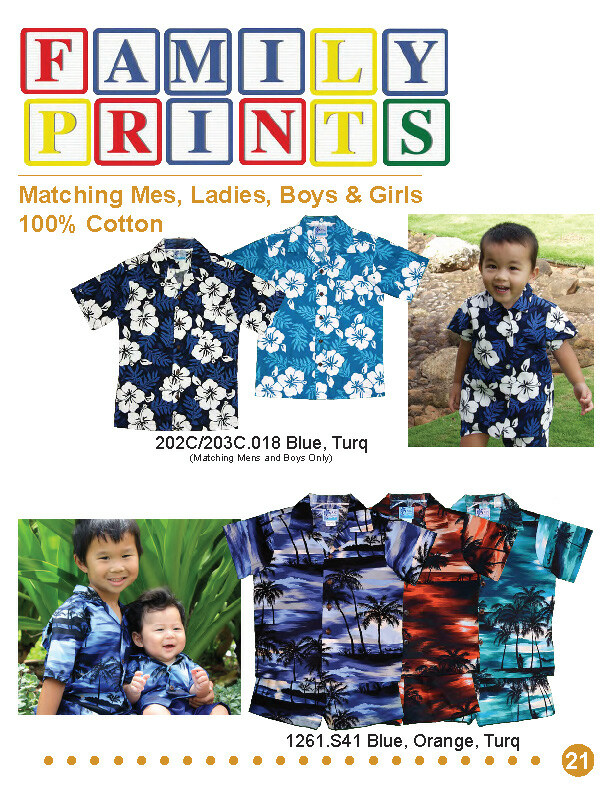 Unique and fun prints. 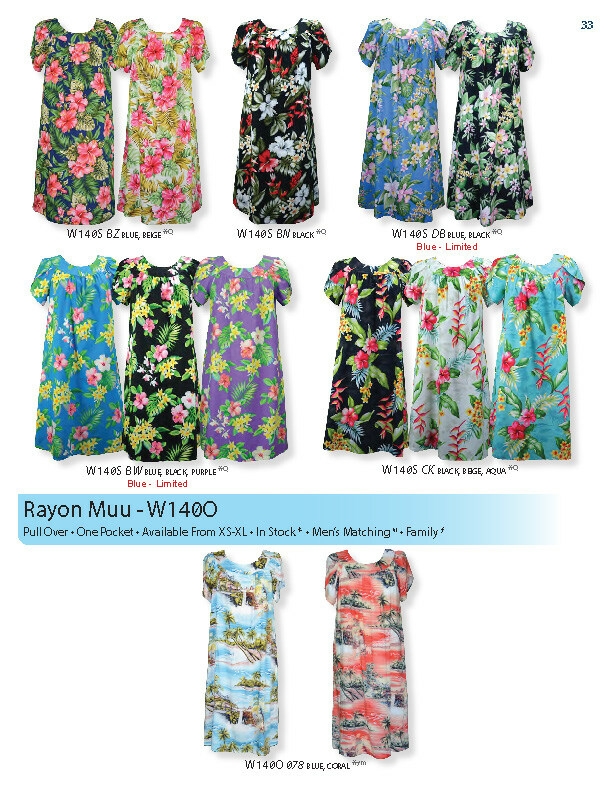 Soft and comfortable weaves are artfully created for maximum comfort and style. 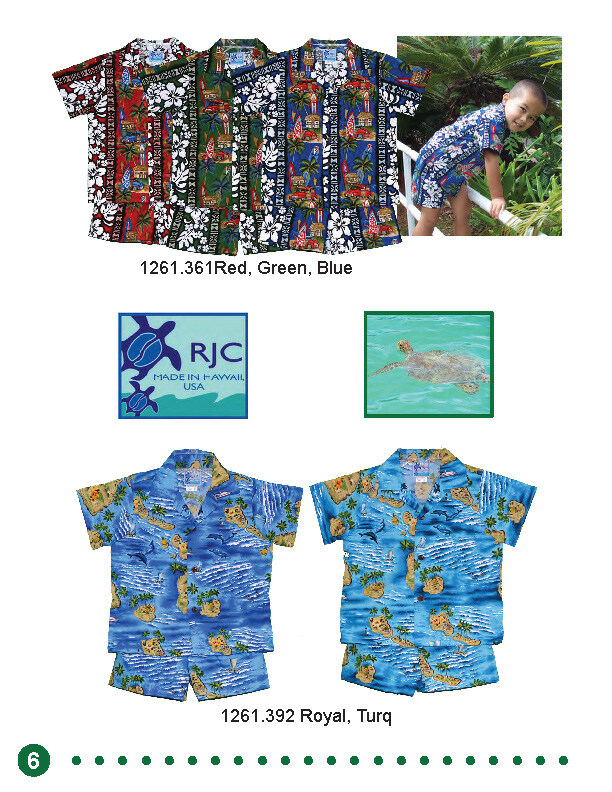 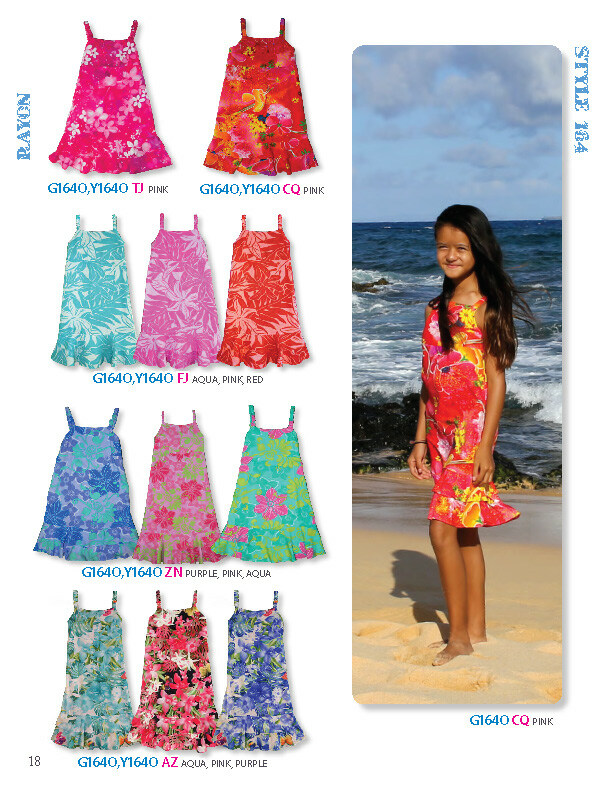 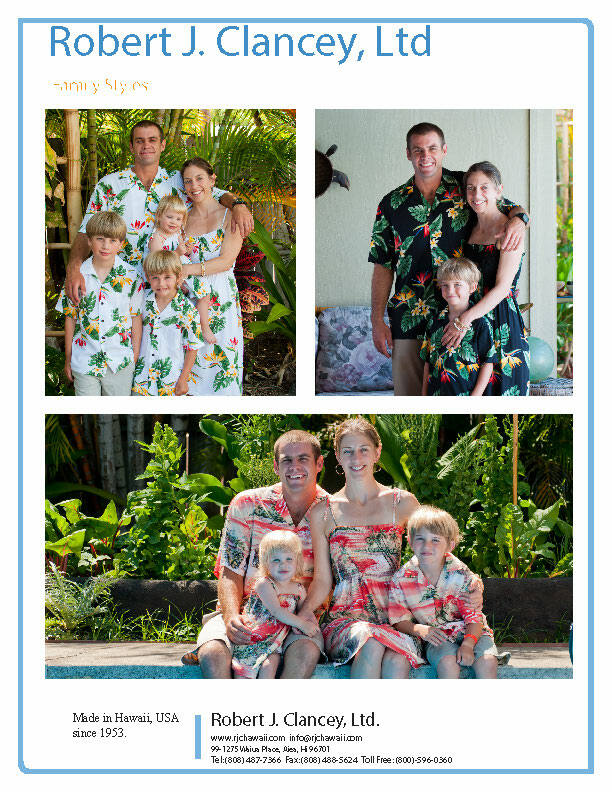 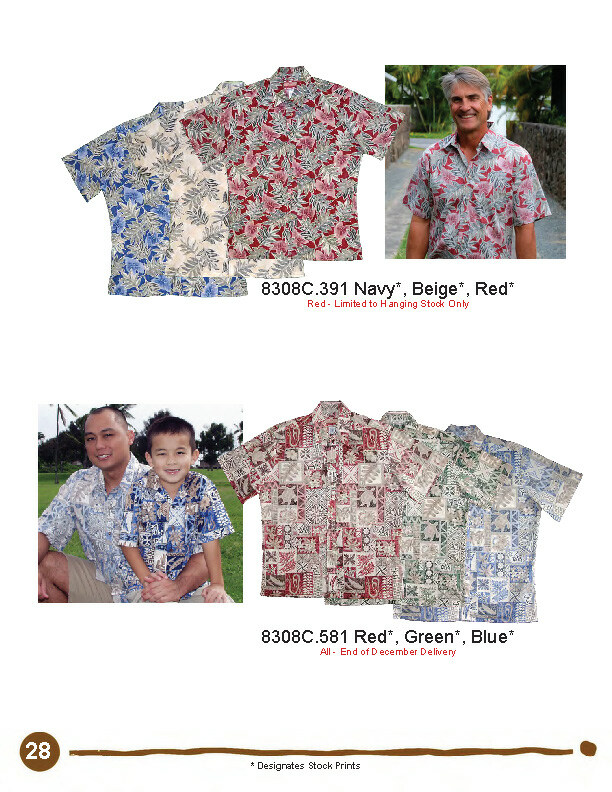 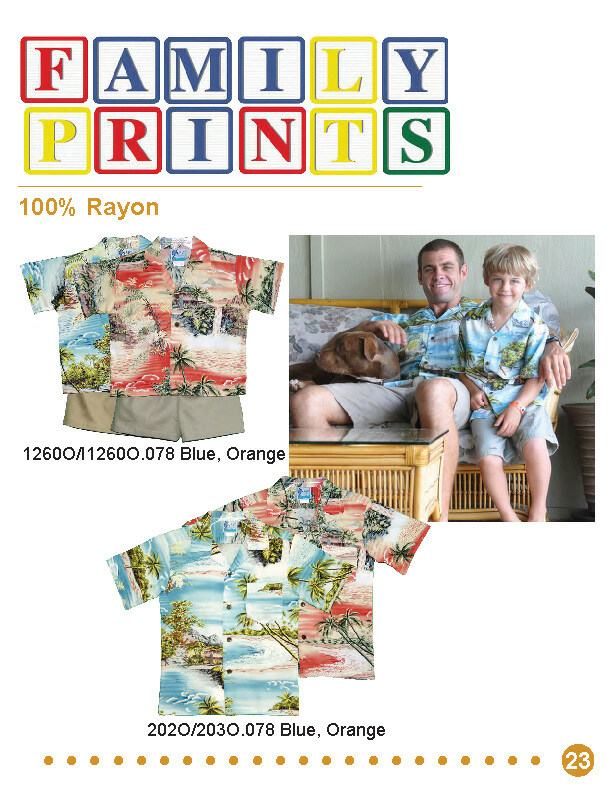 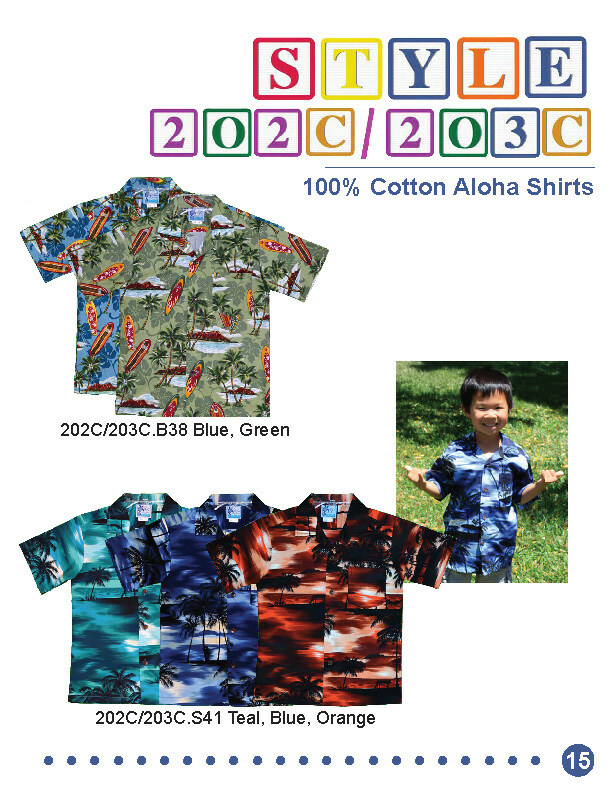 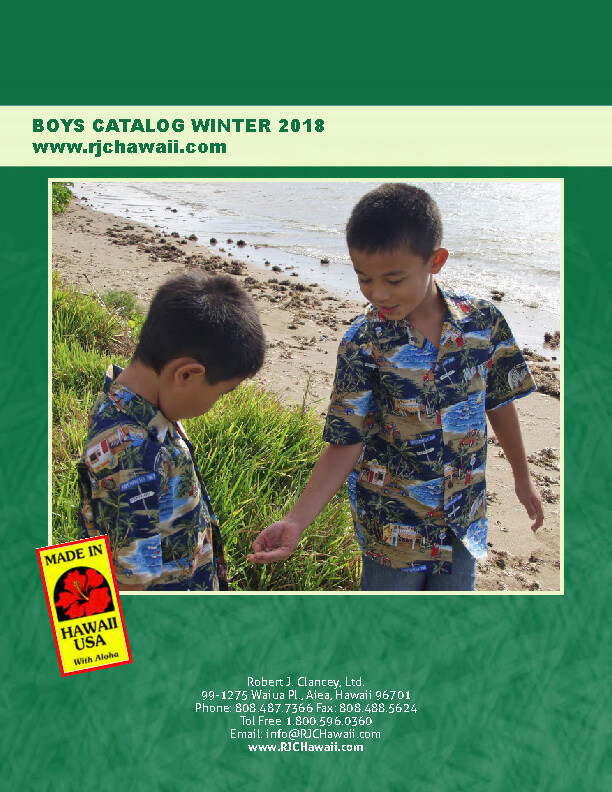 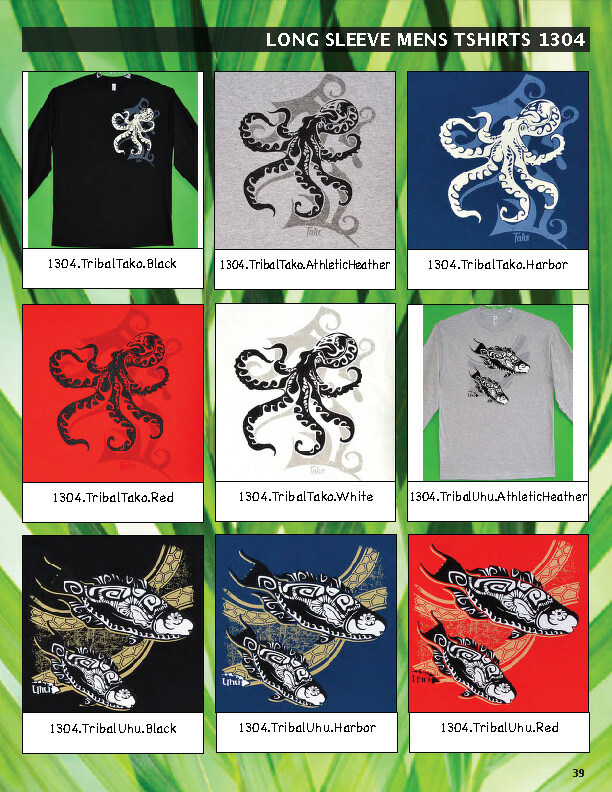 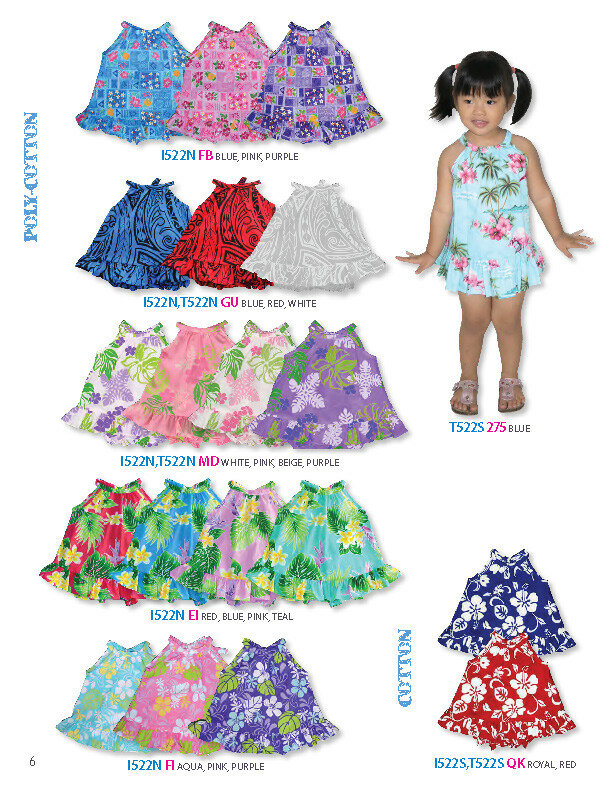 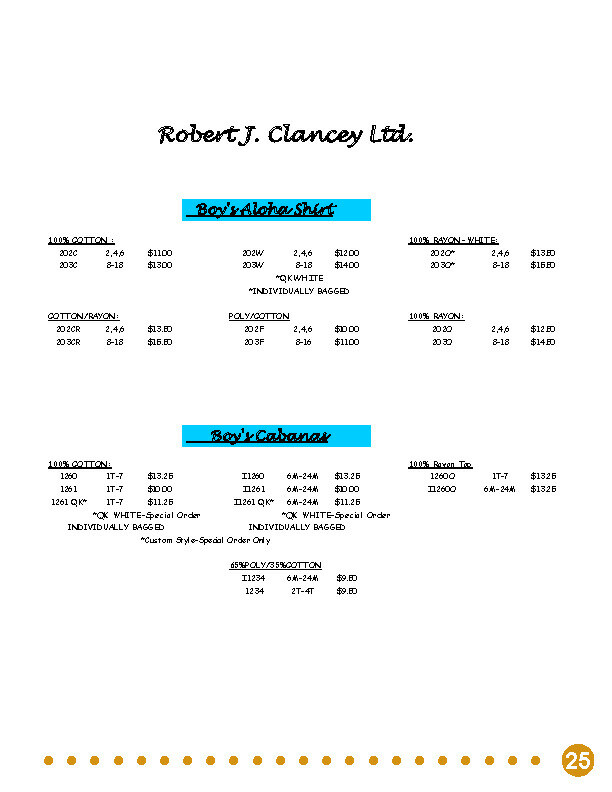 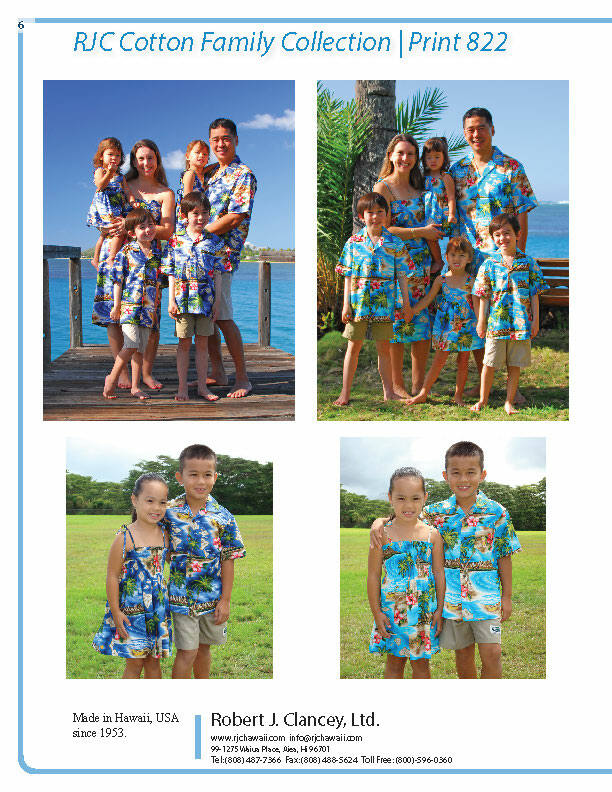 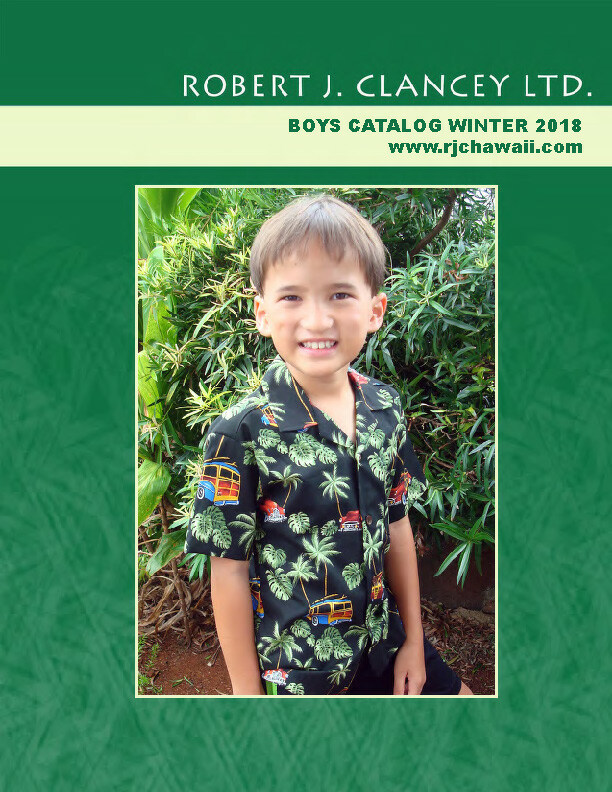 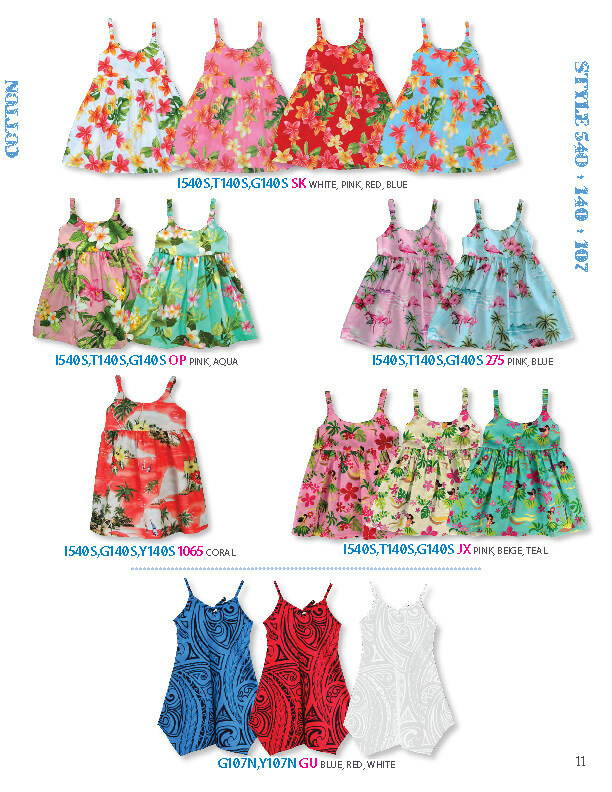 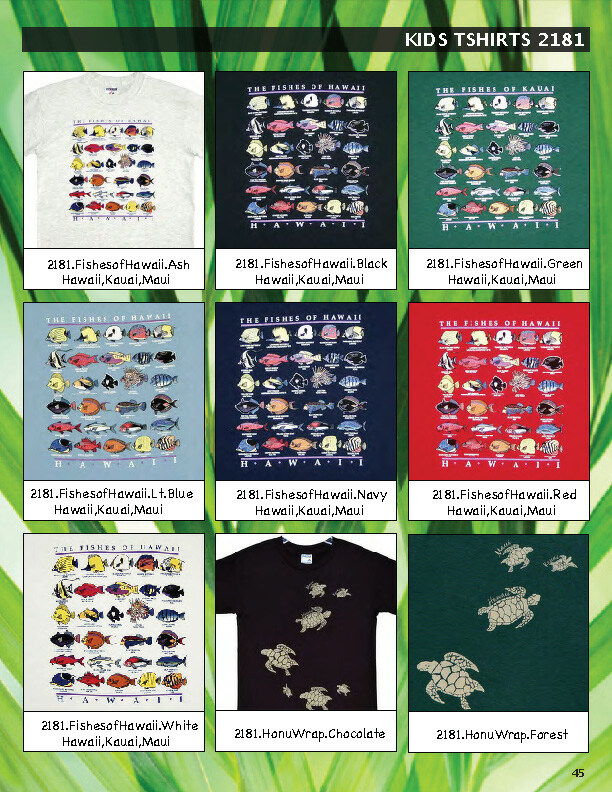 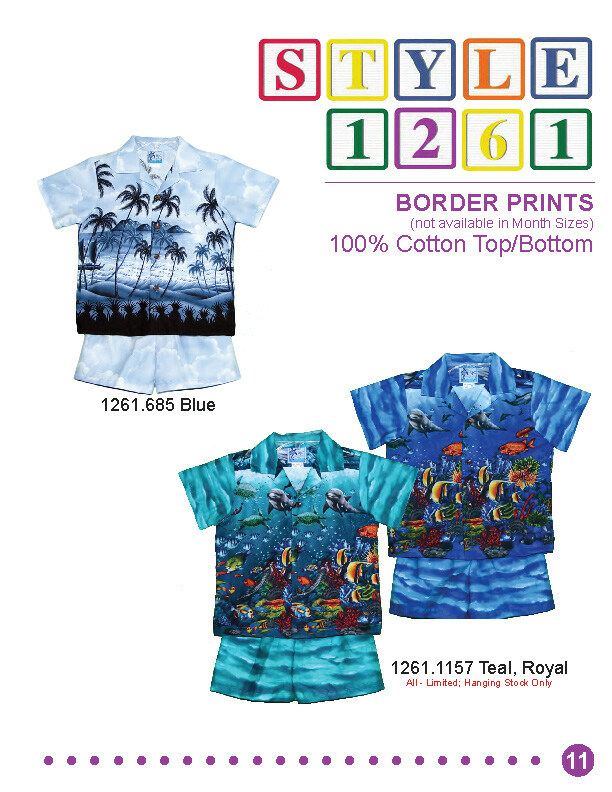 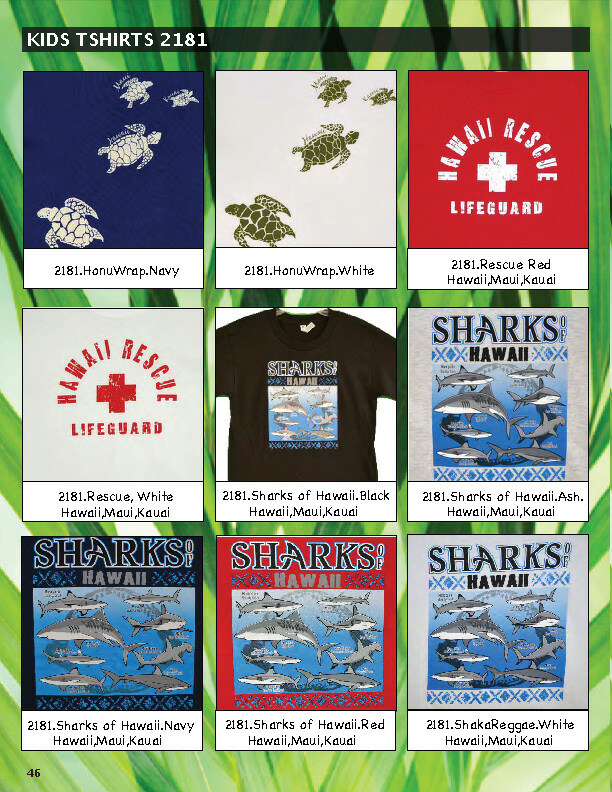 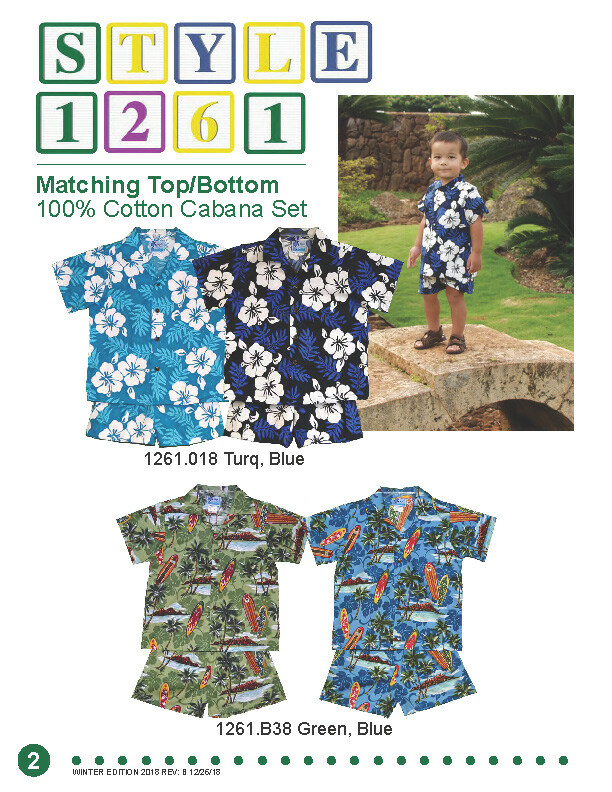 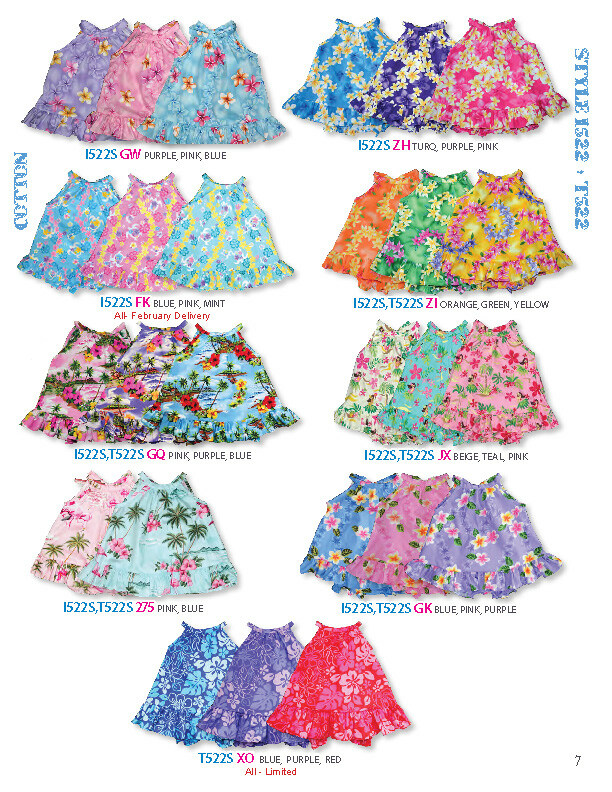 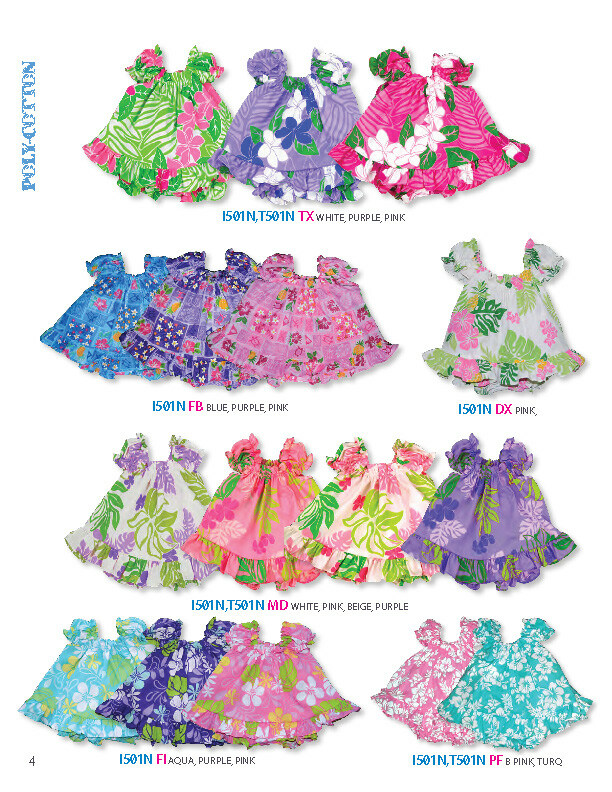 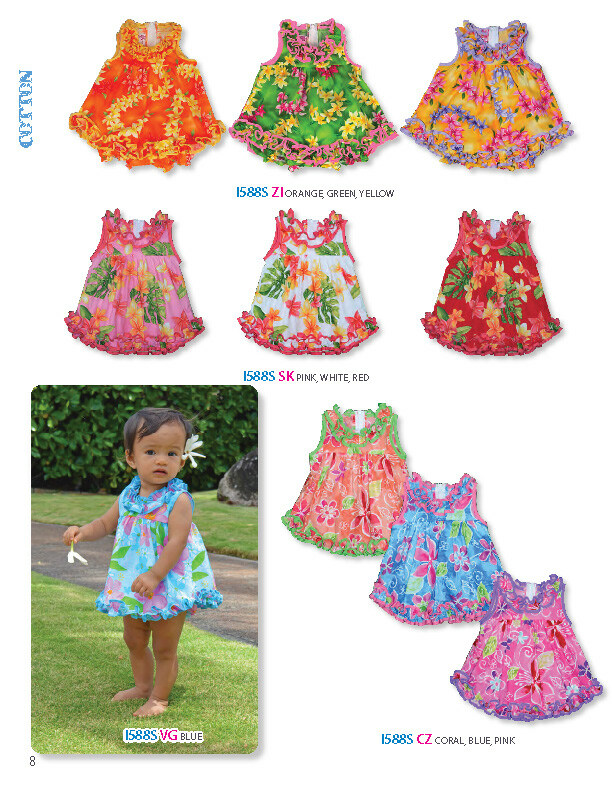 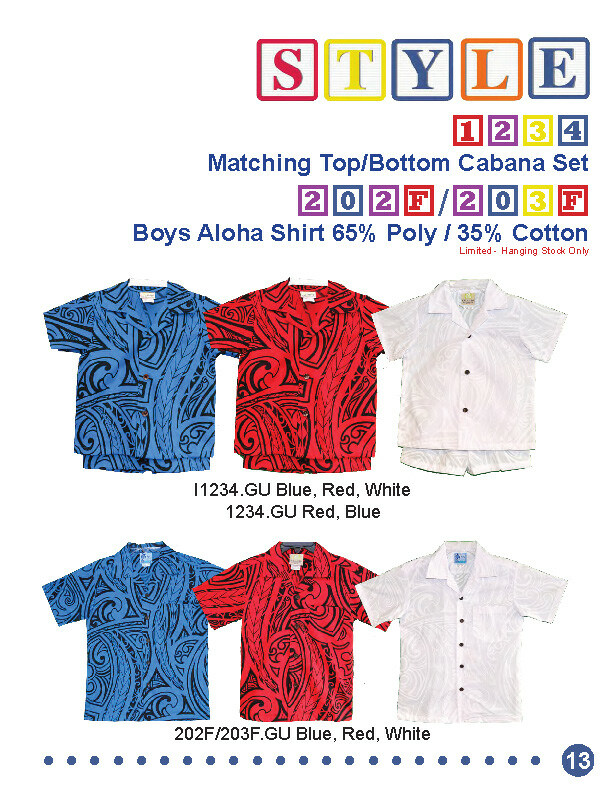 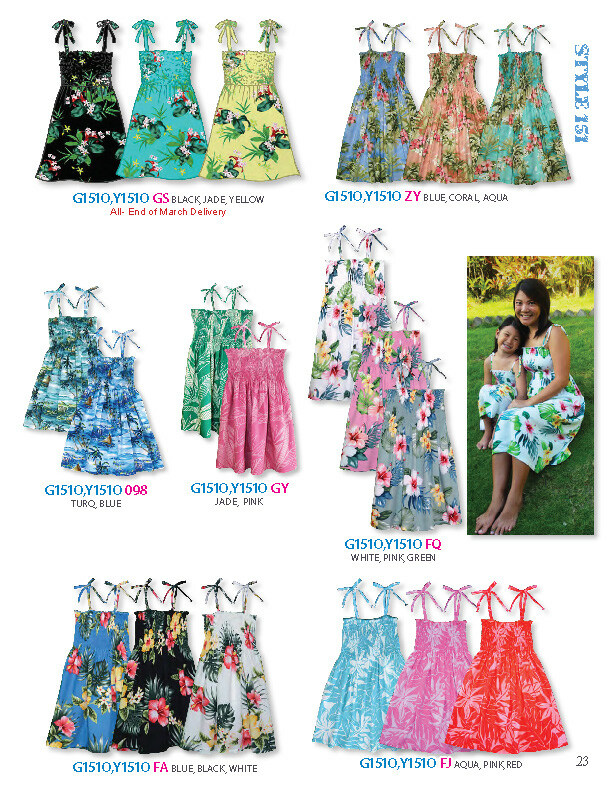 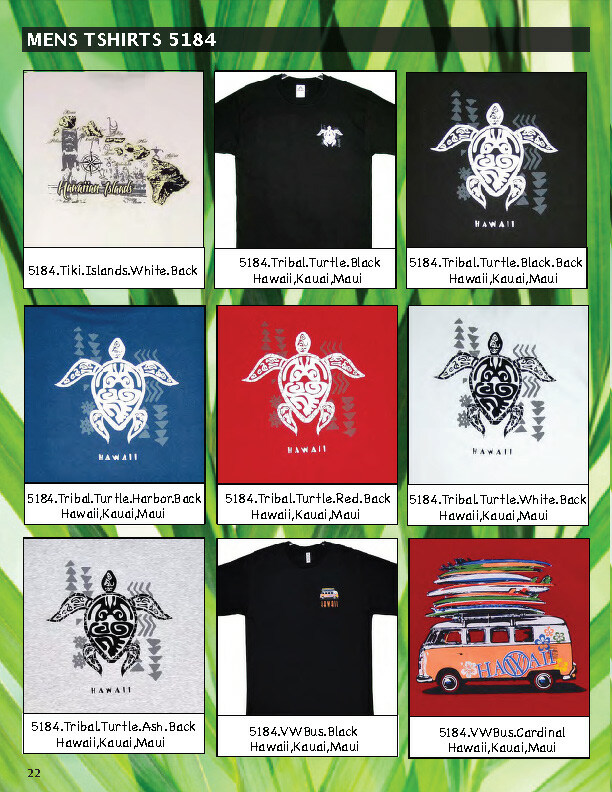 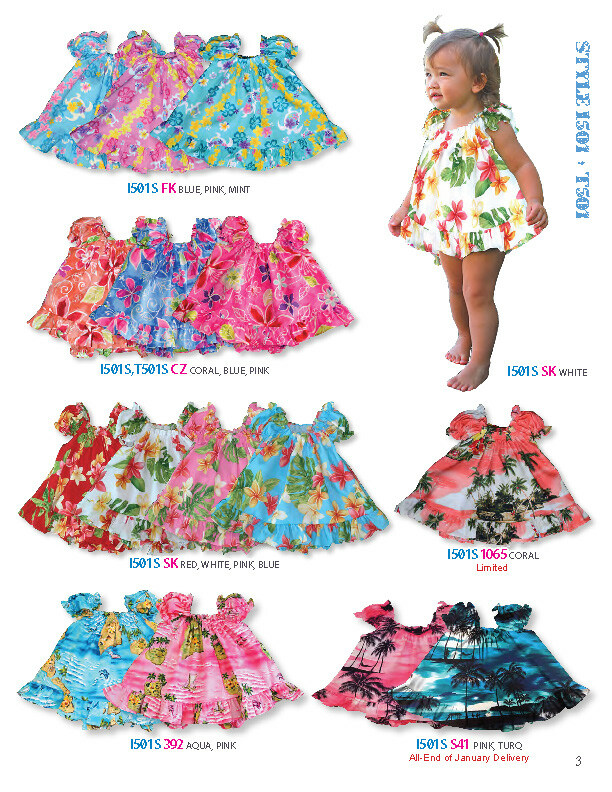 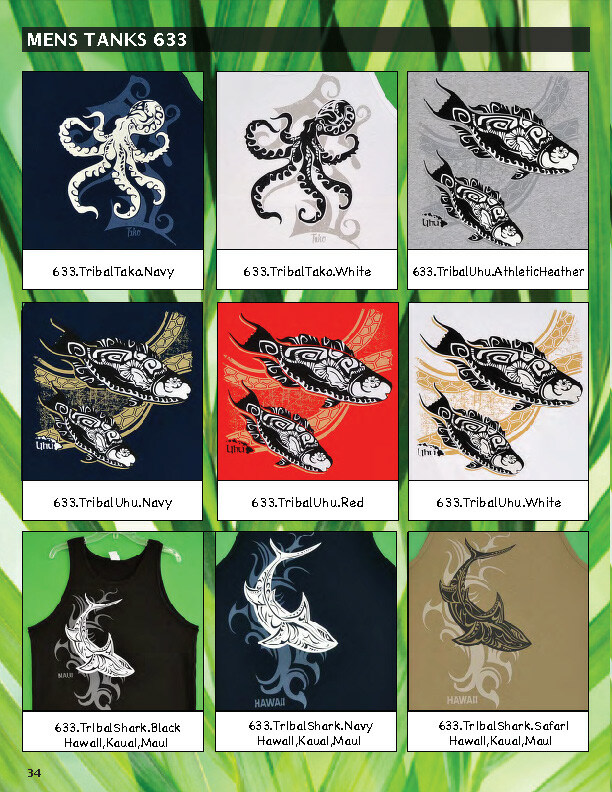 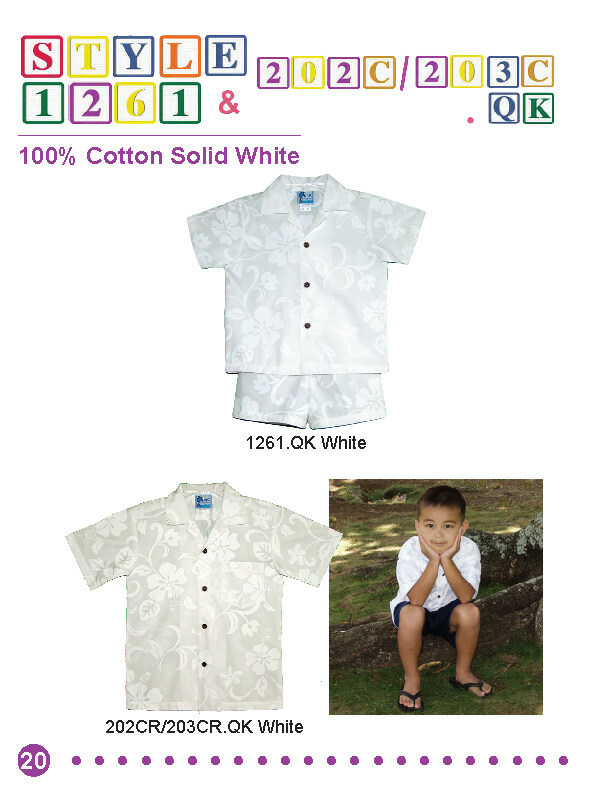 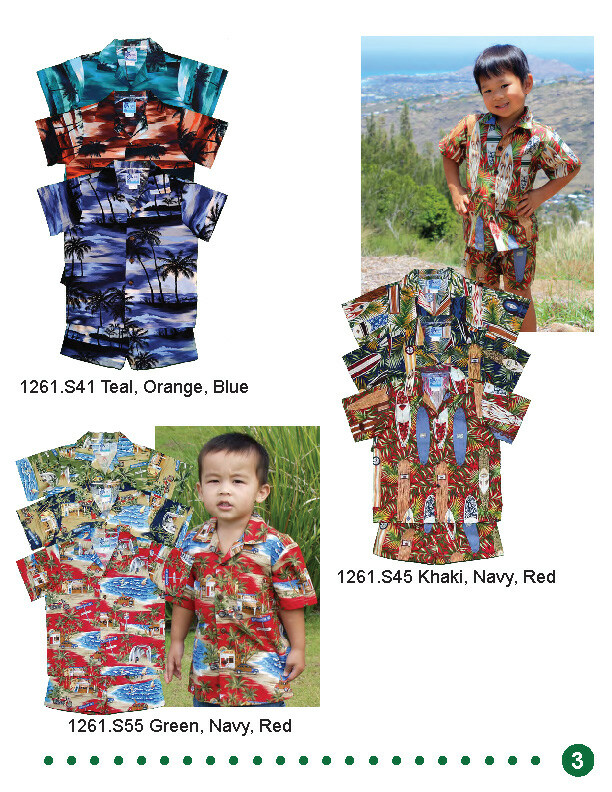 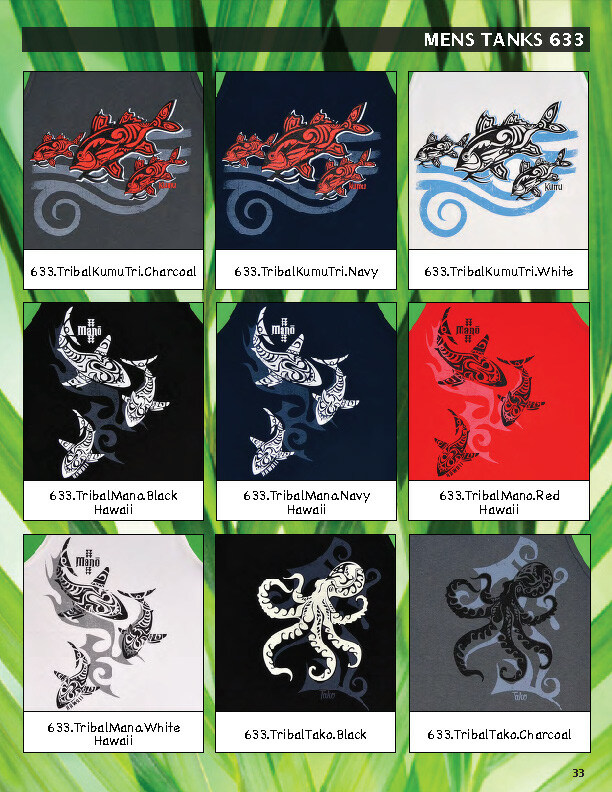 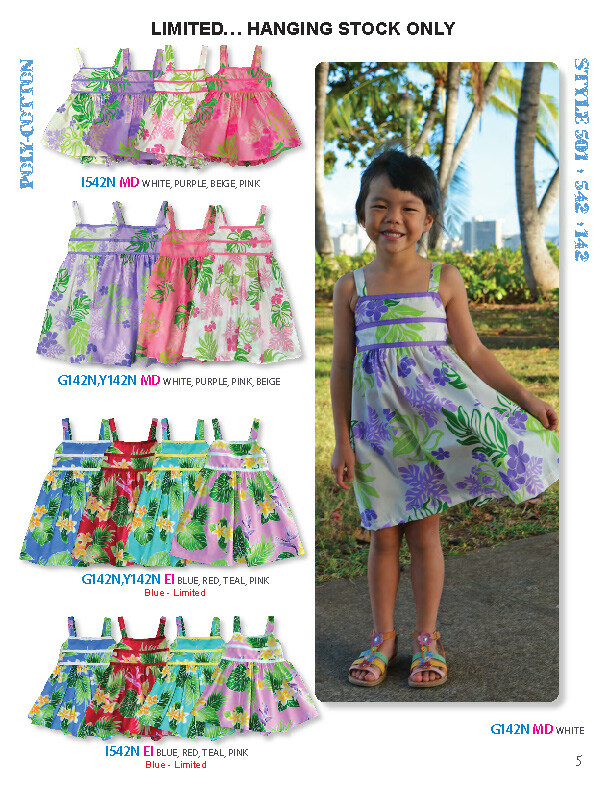 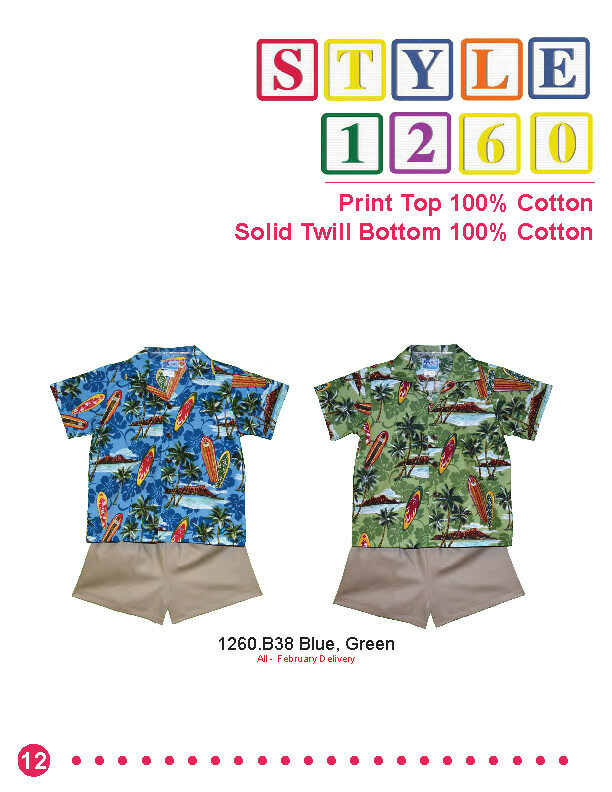 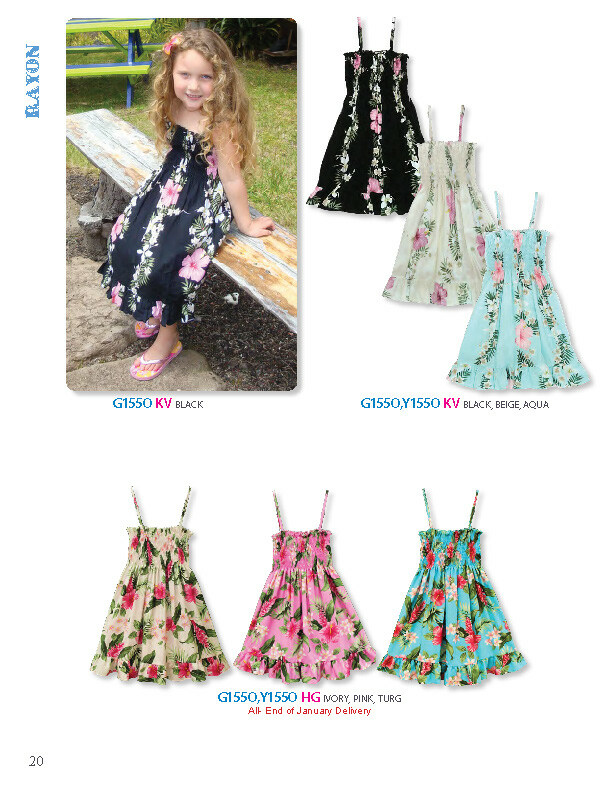 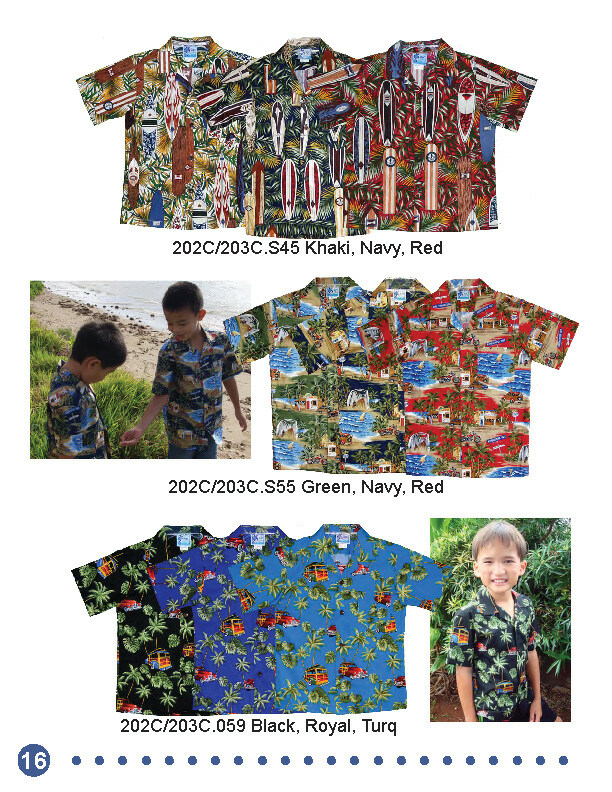 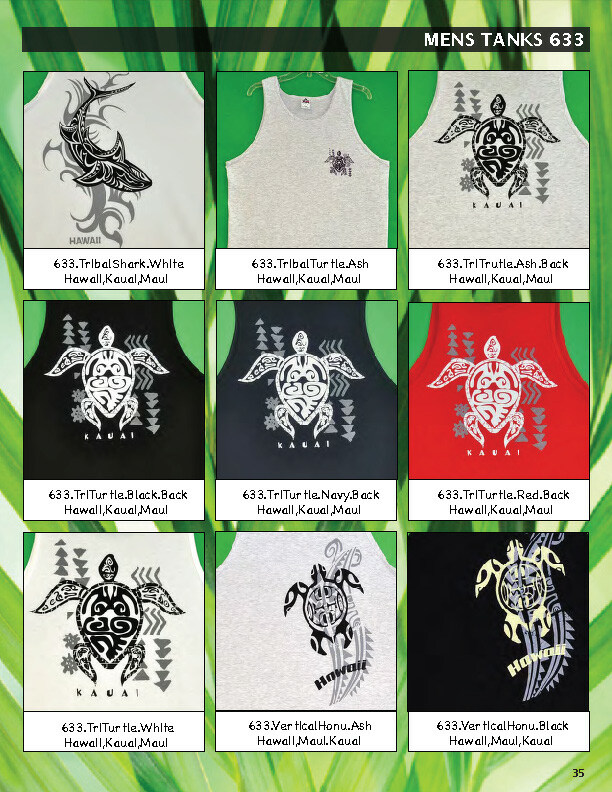 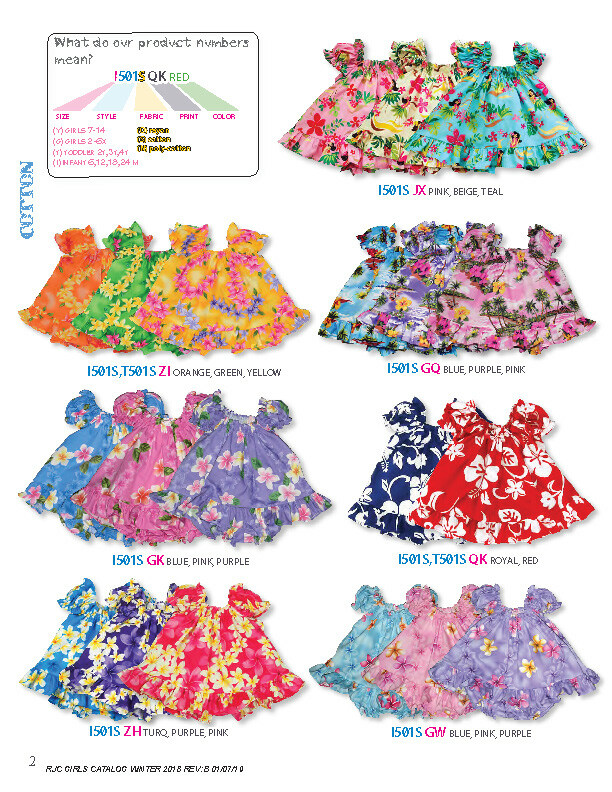 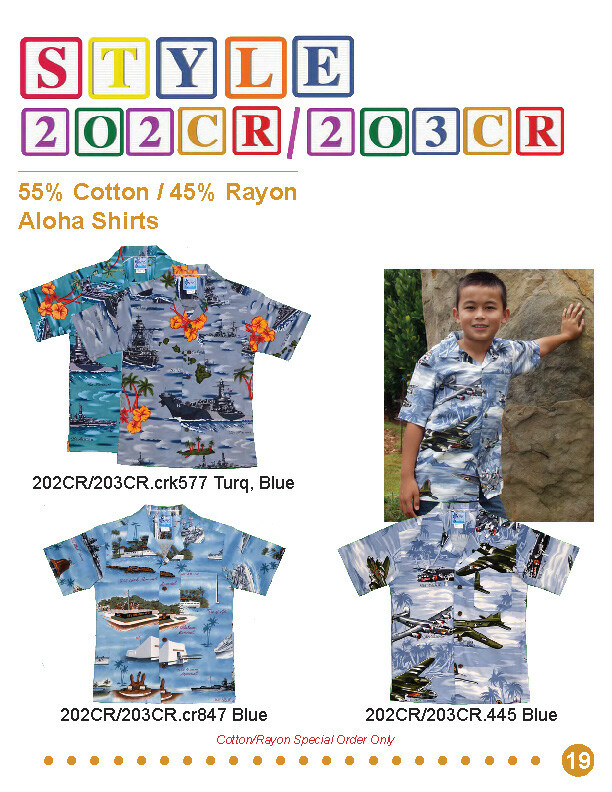 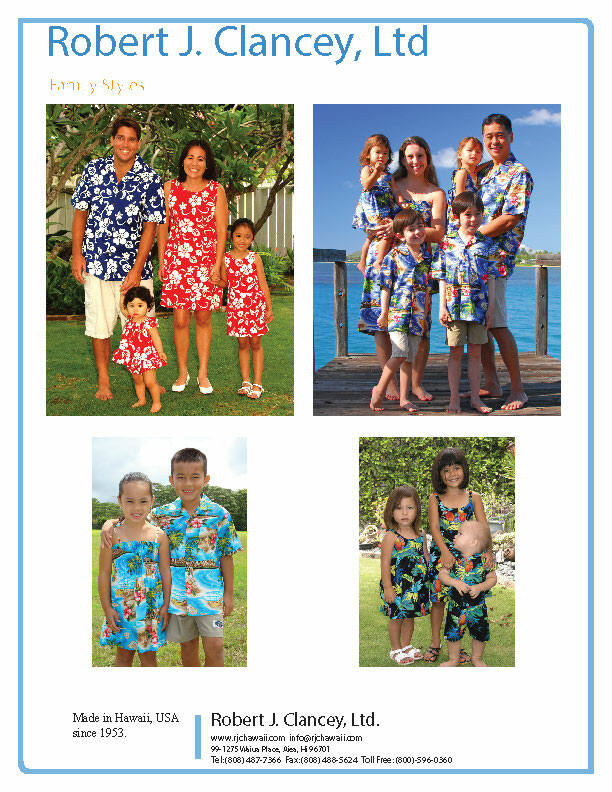 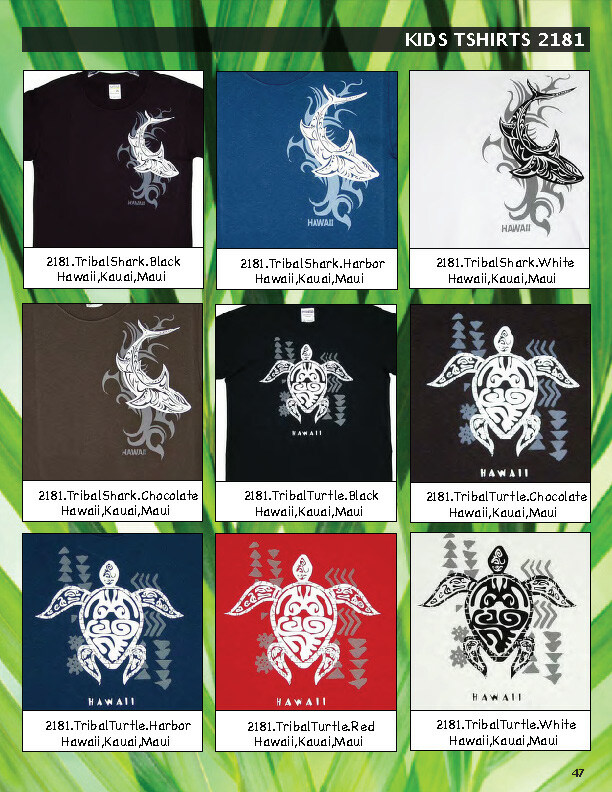 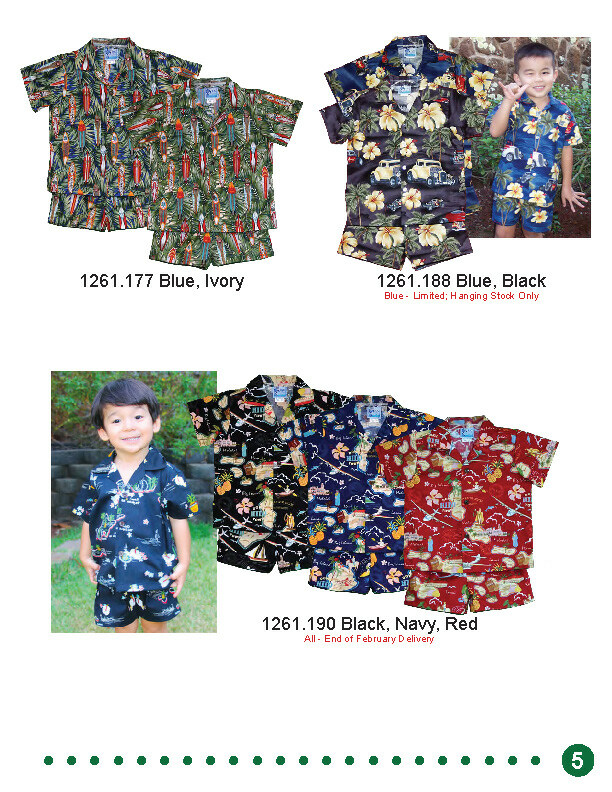 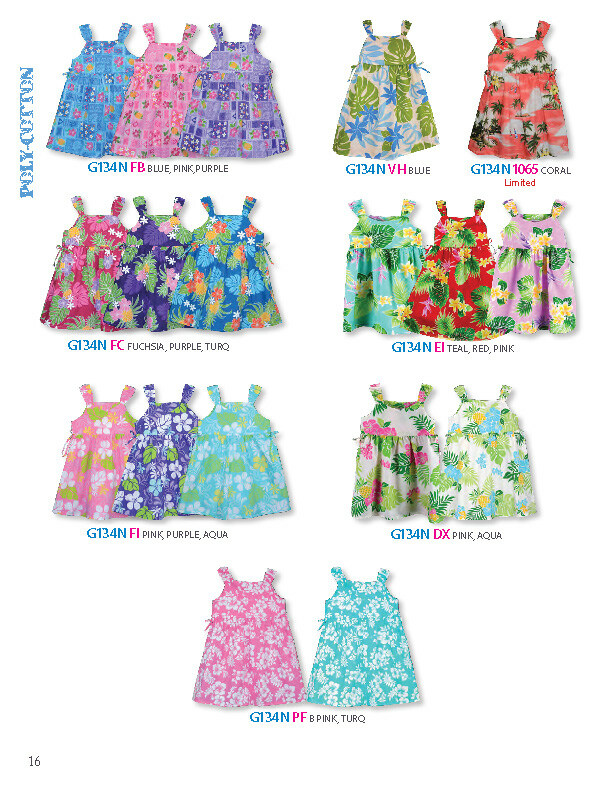 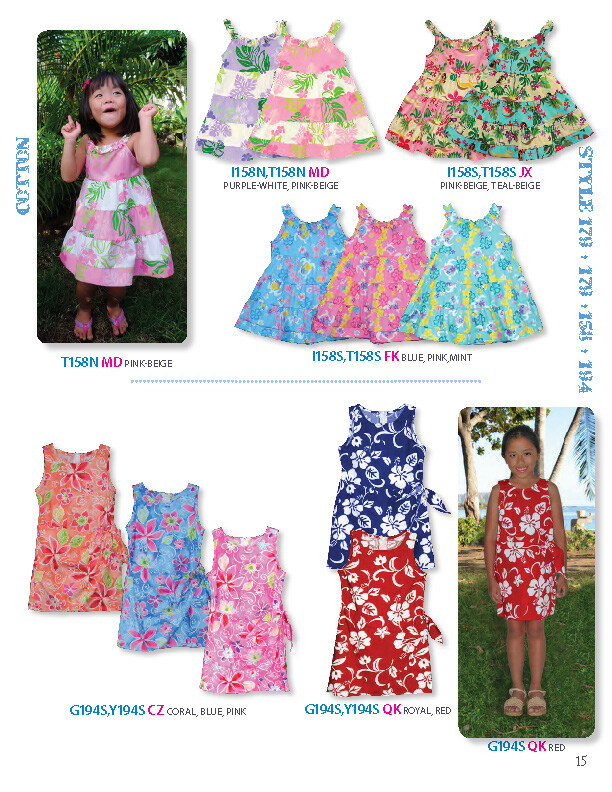 Patterns carefully selected providing stylish designs for your keiki. 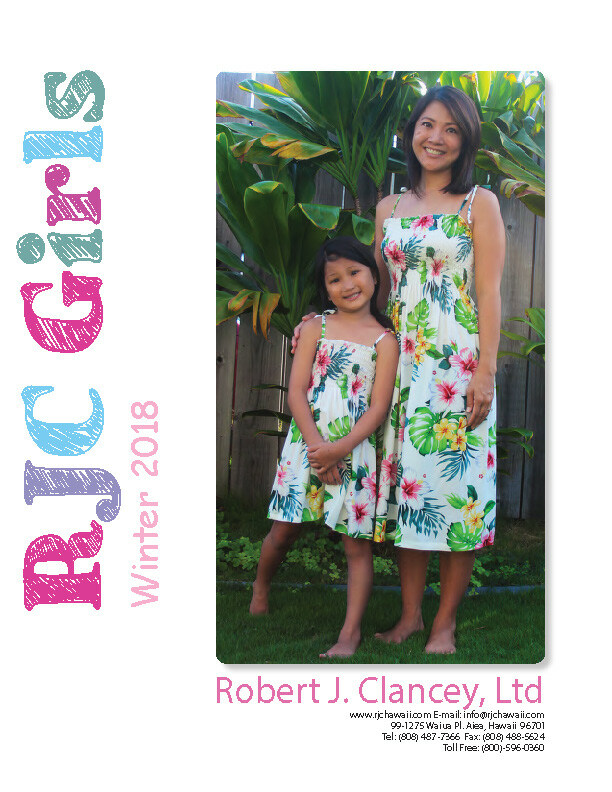 Unique and artfully designed. 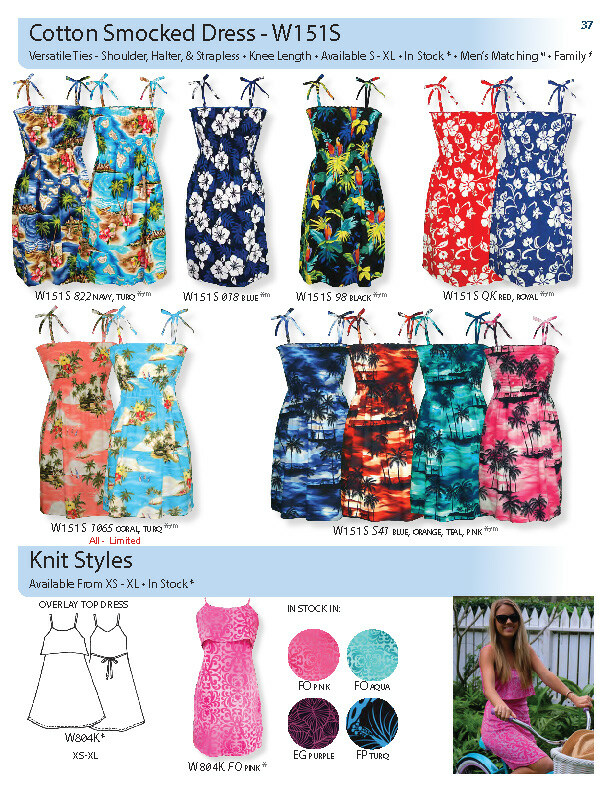 Creative and stylish patterns compliment any occasion. 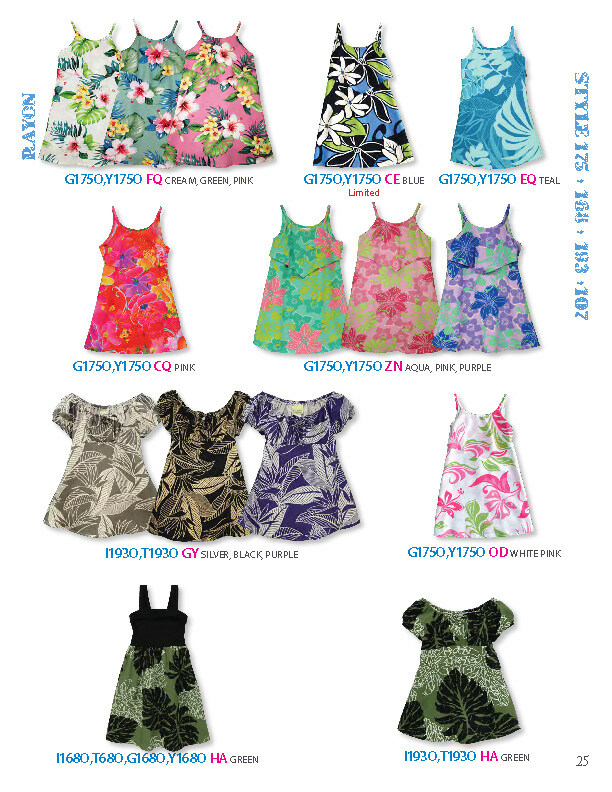 Designed with comfort and style. 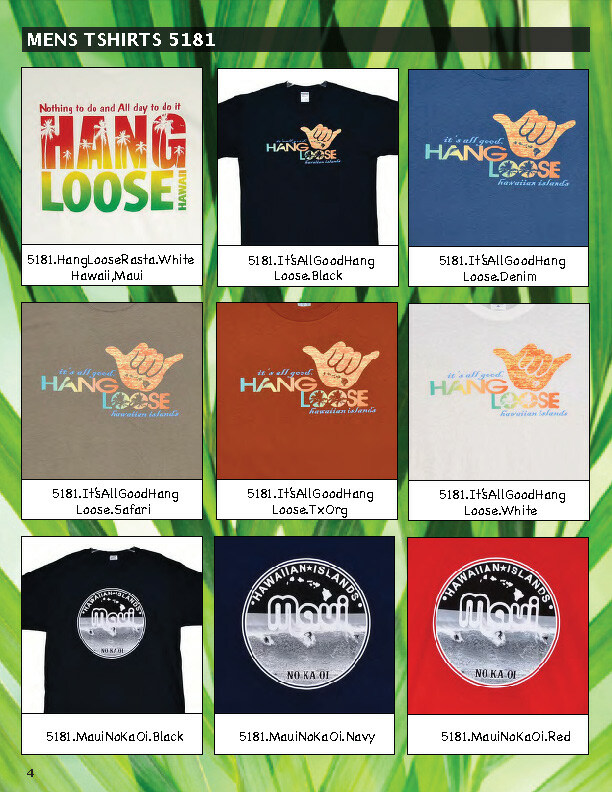 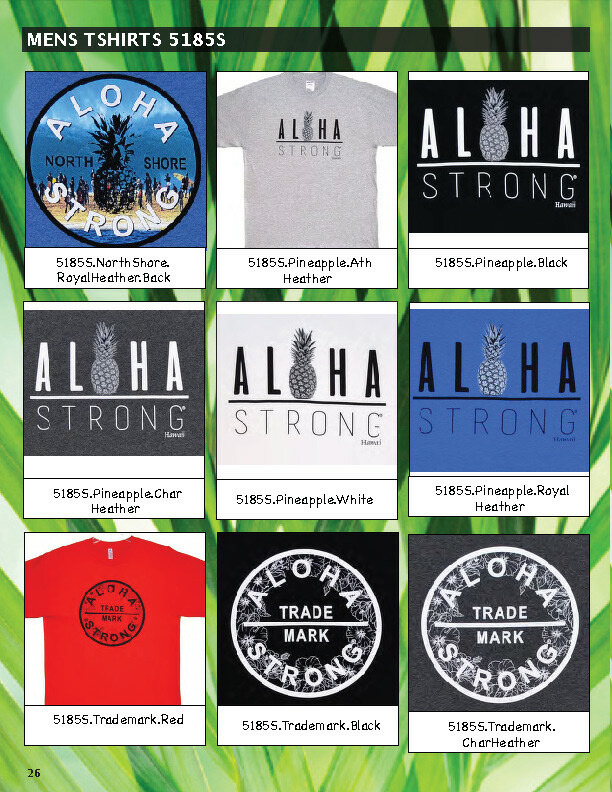 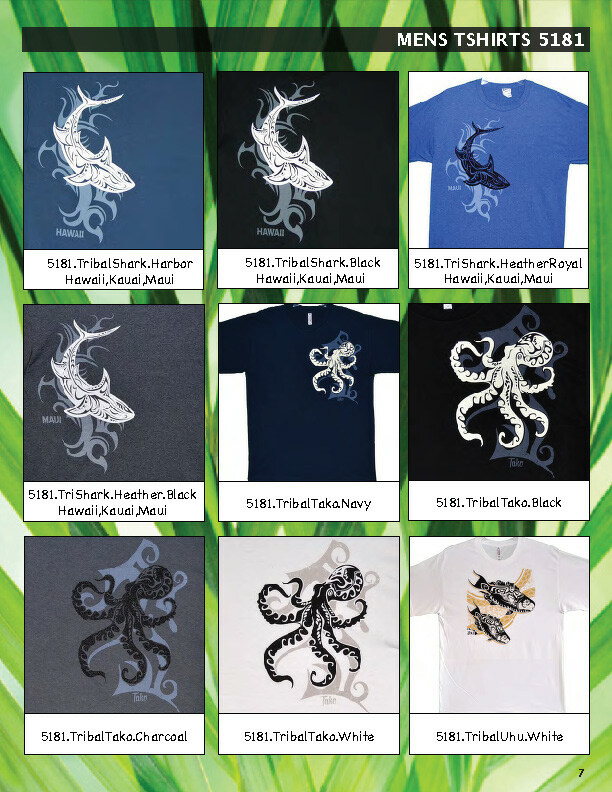 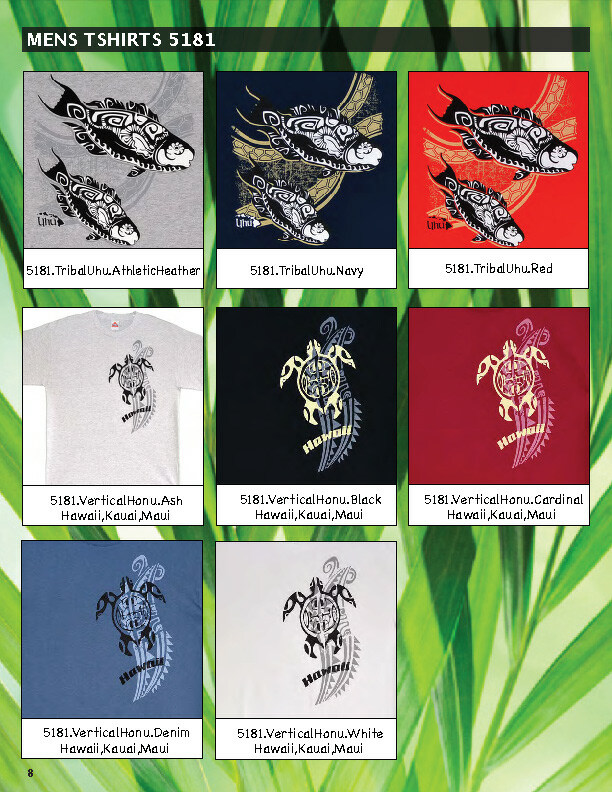 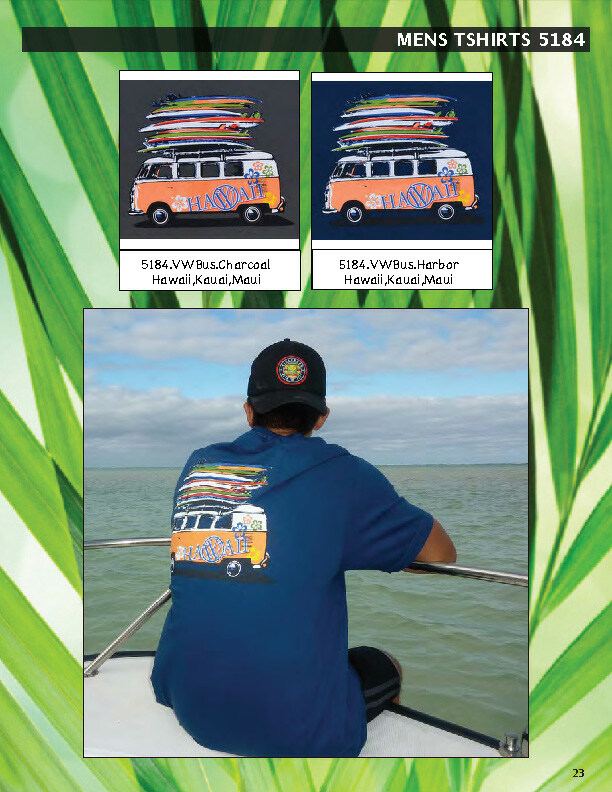 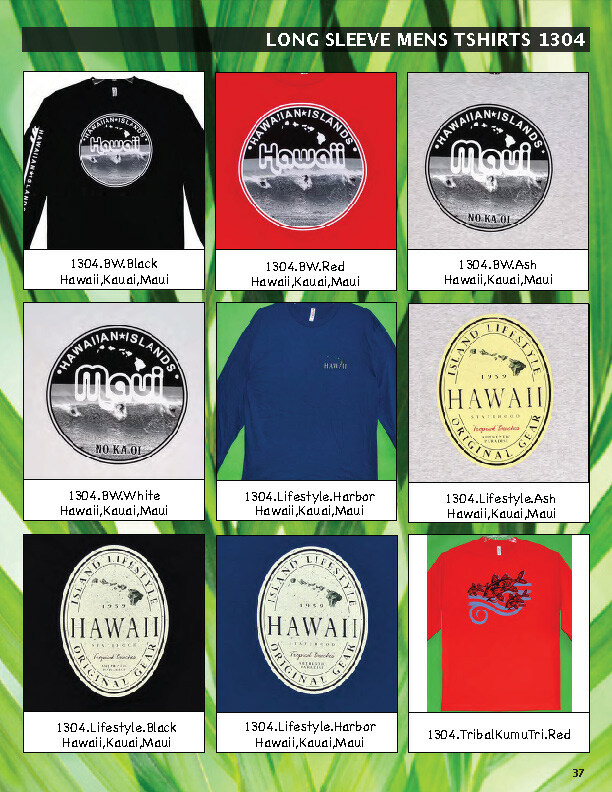 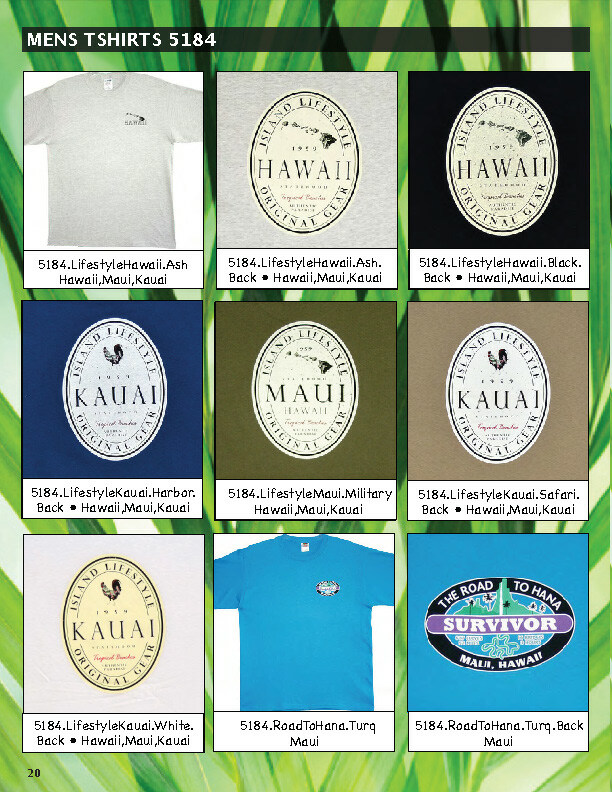 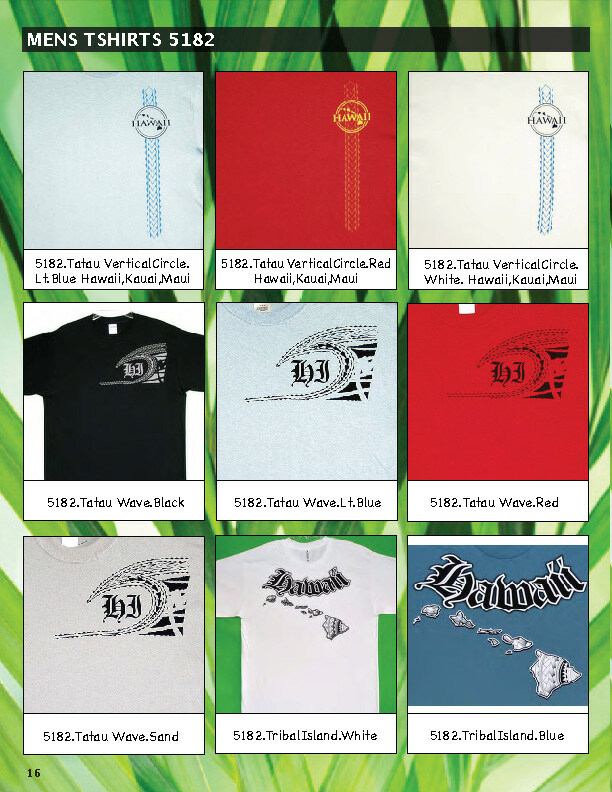 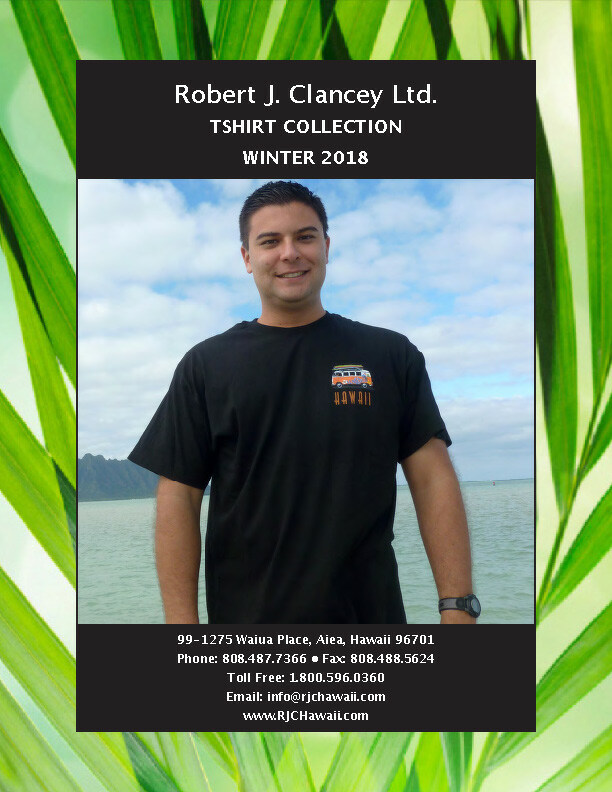 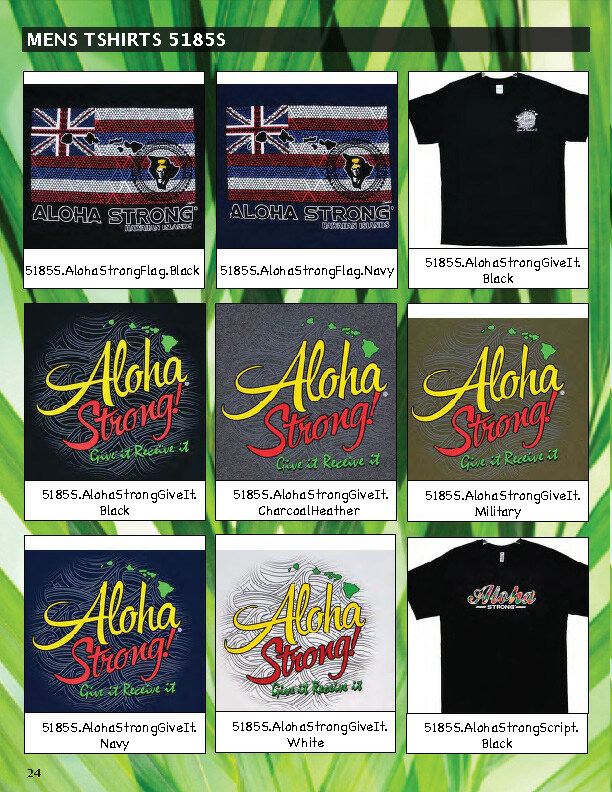 Our carefully crafted apparel is uniquely designed for your island lifestyle. 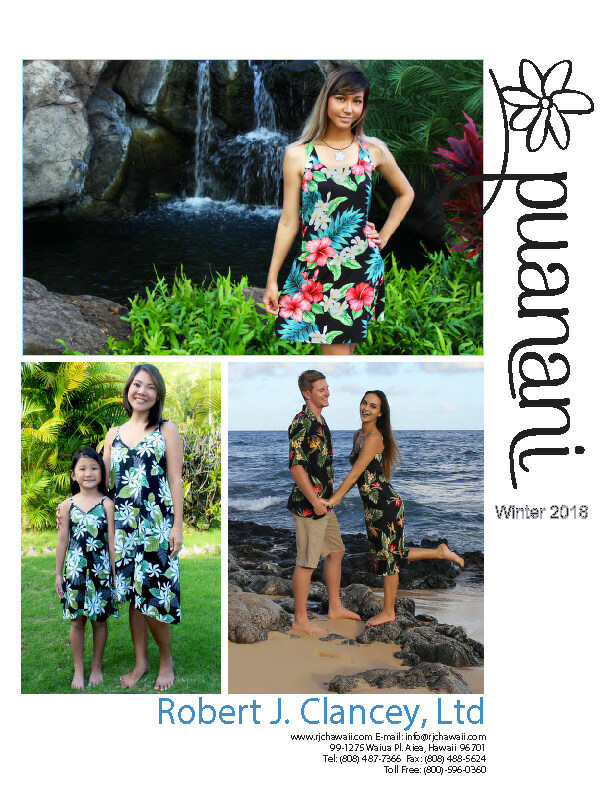 Our family apparel is unique, stylish and very comfortable. 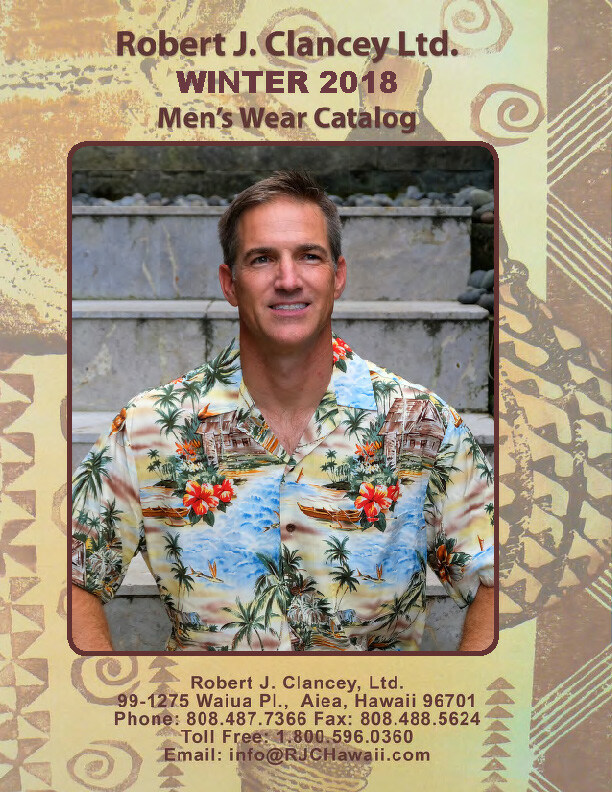 Woven prints and comfortable fabrics for any occasion day or night. 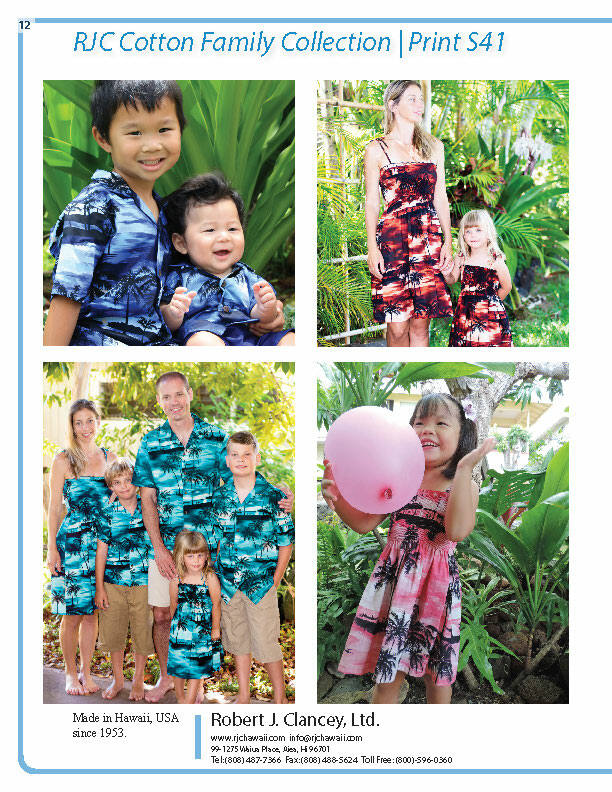 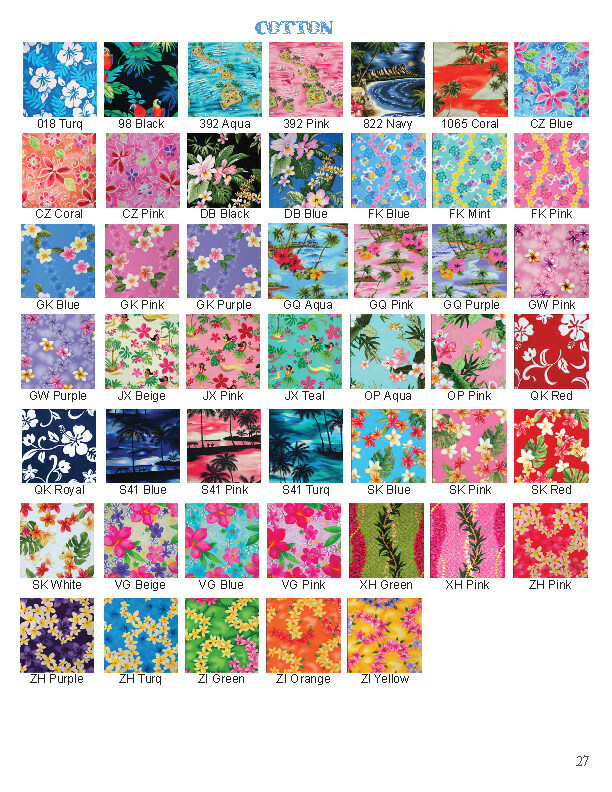 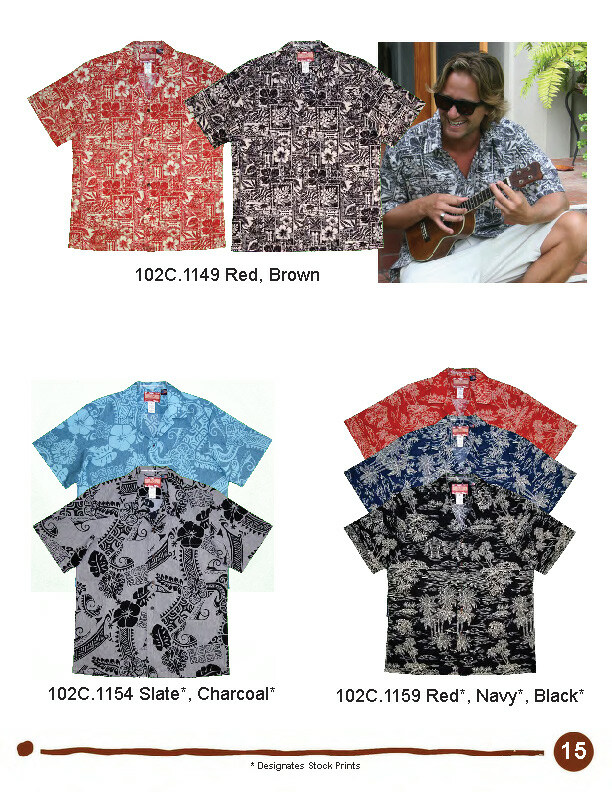 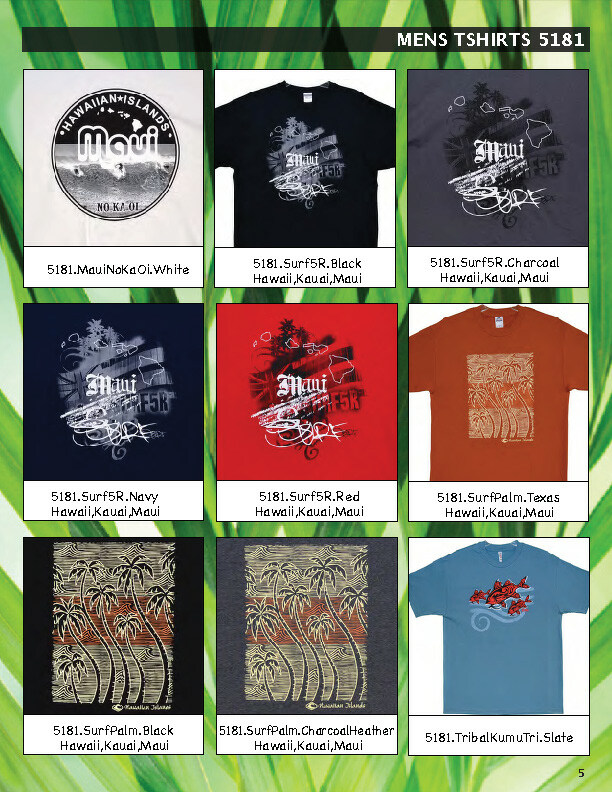 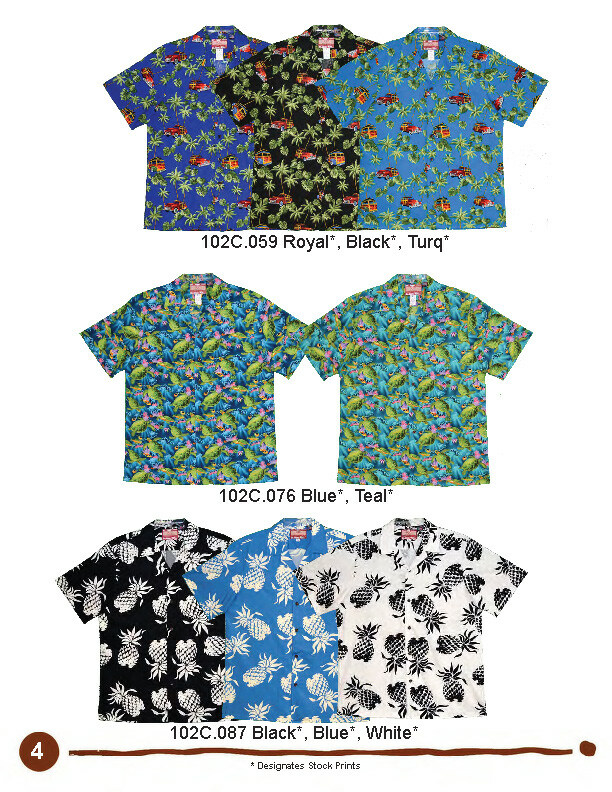 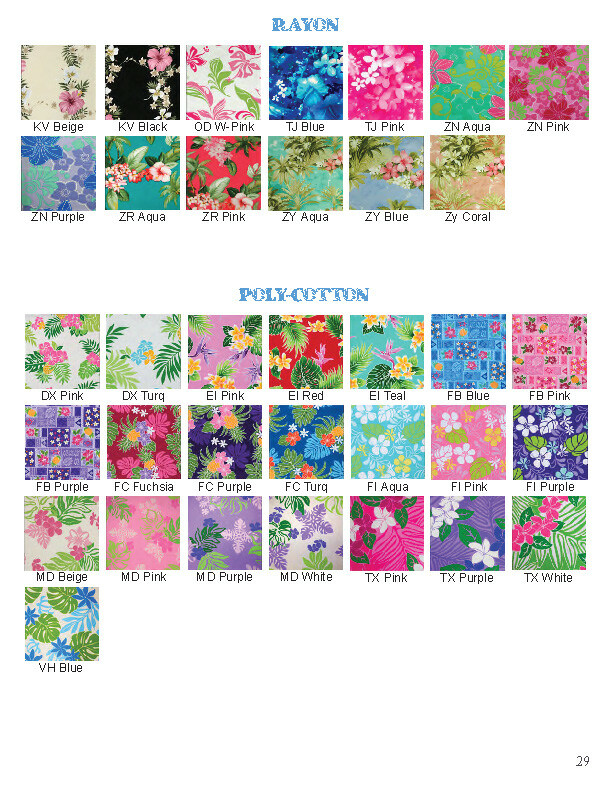 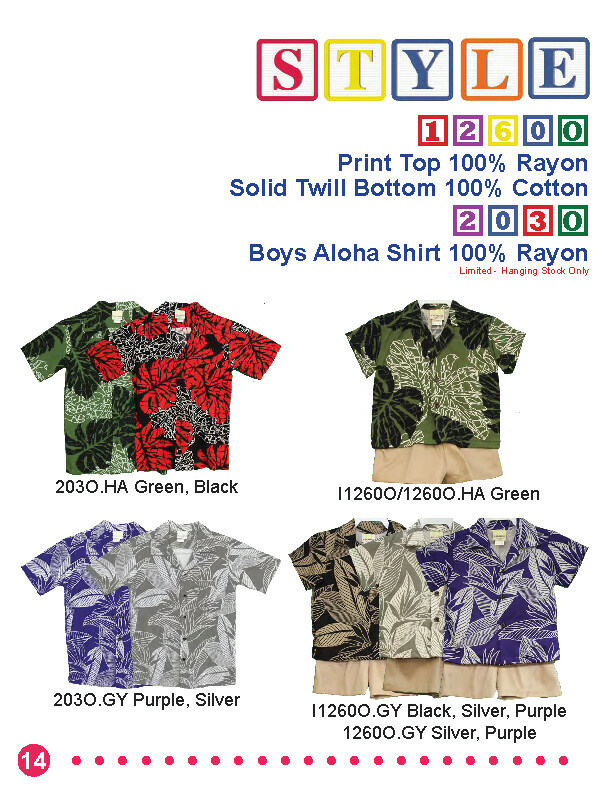 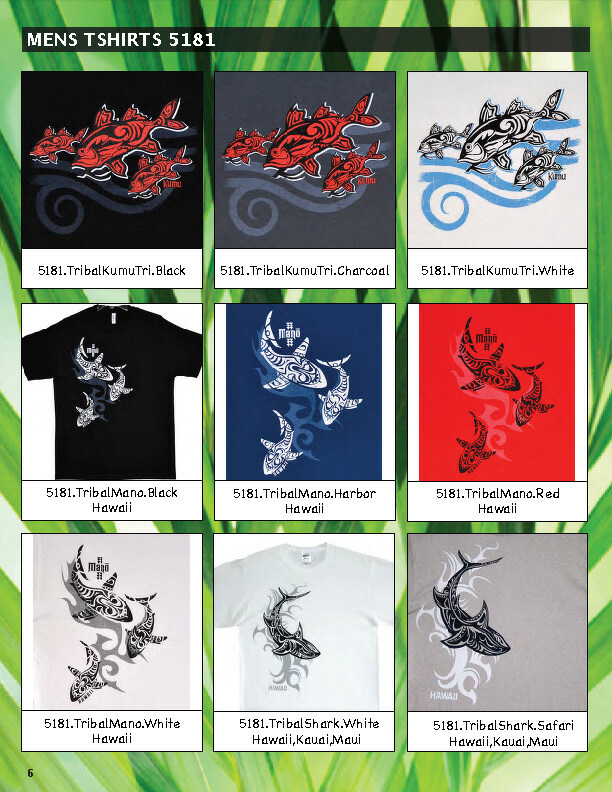 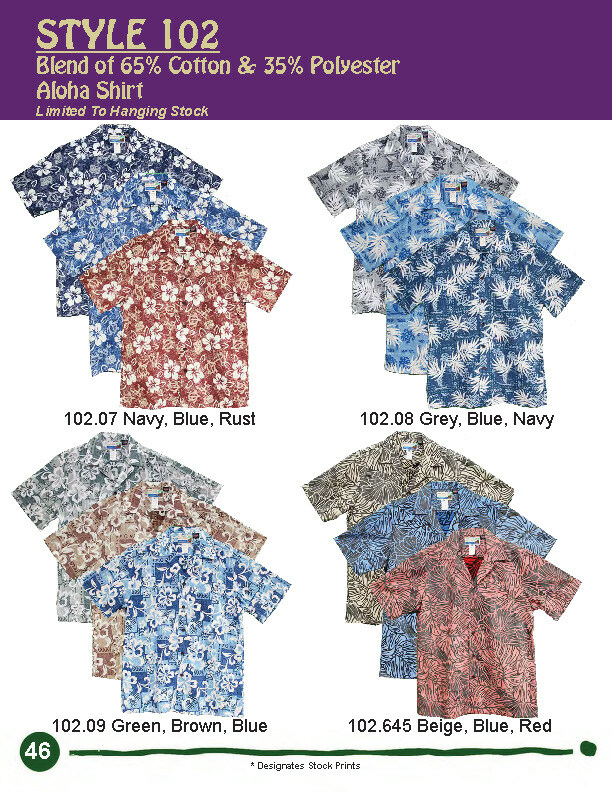 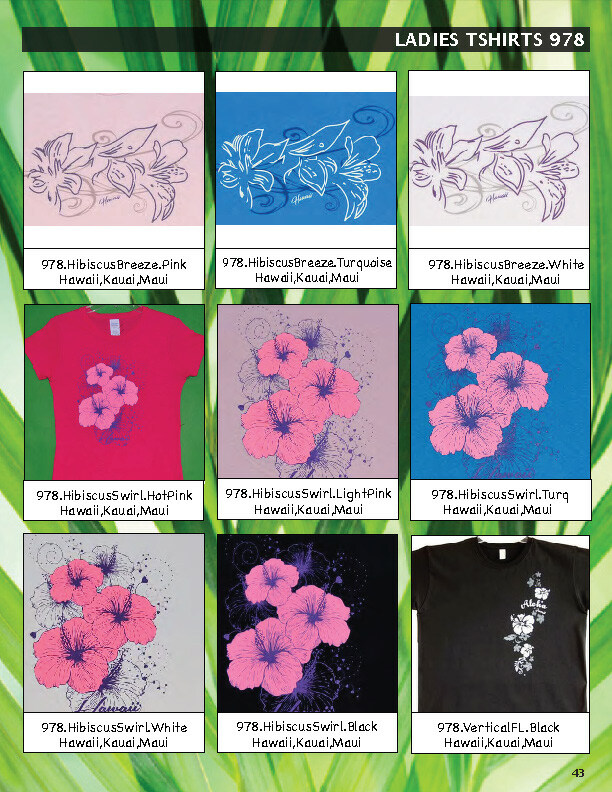 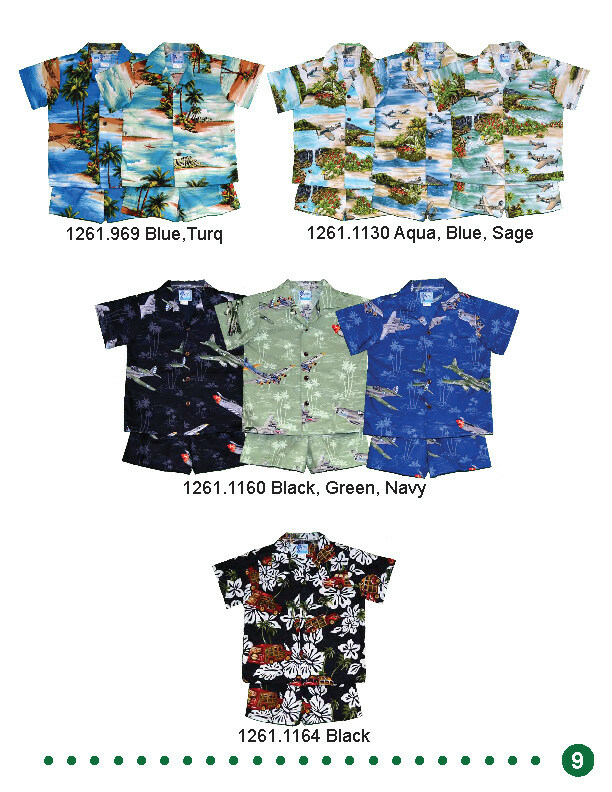 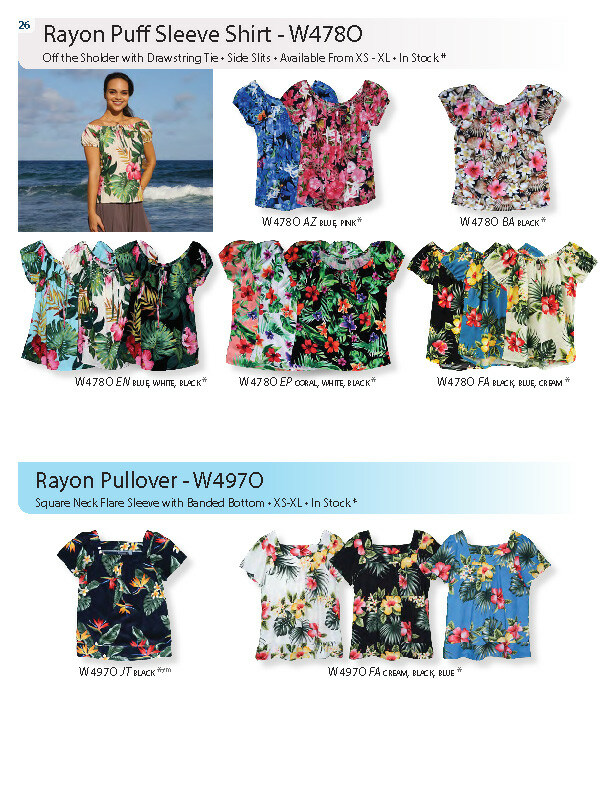 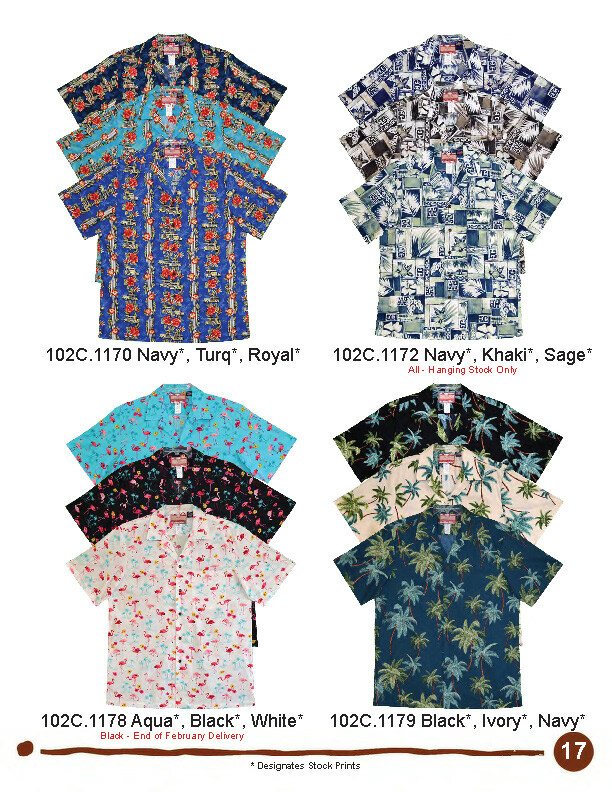 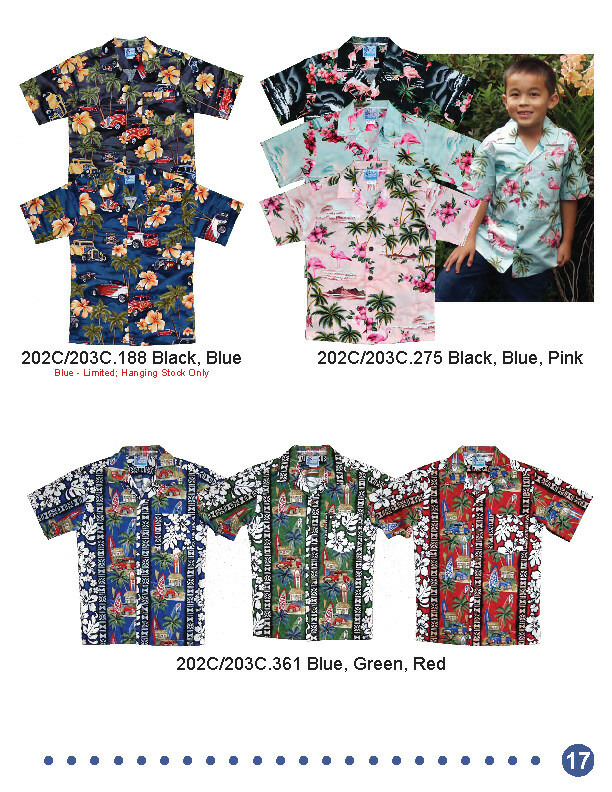 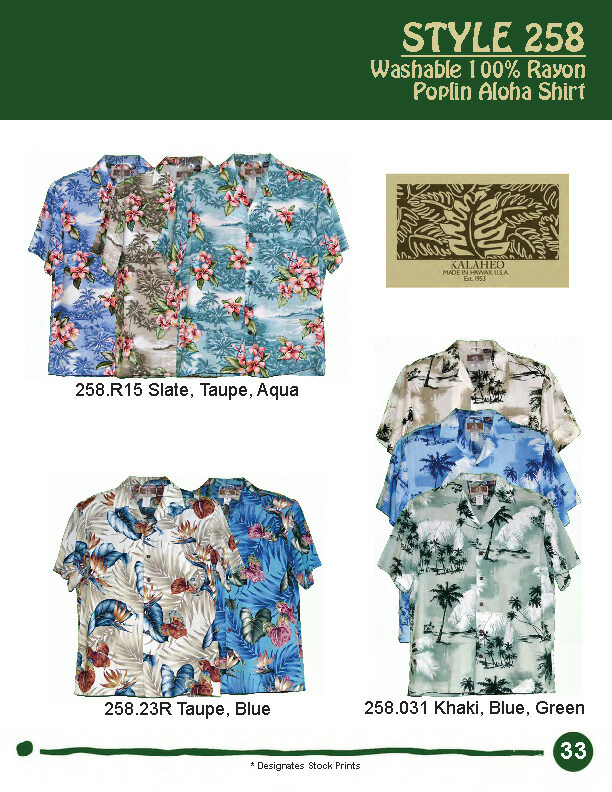 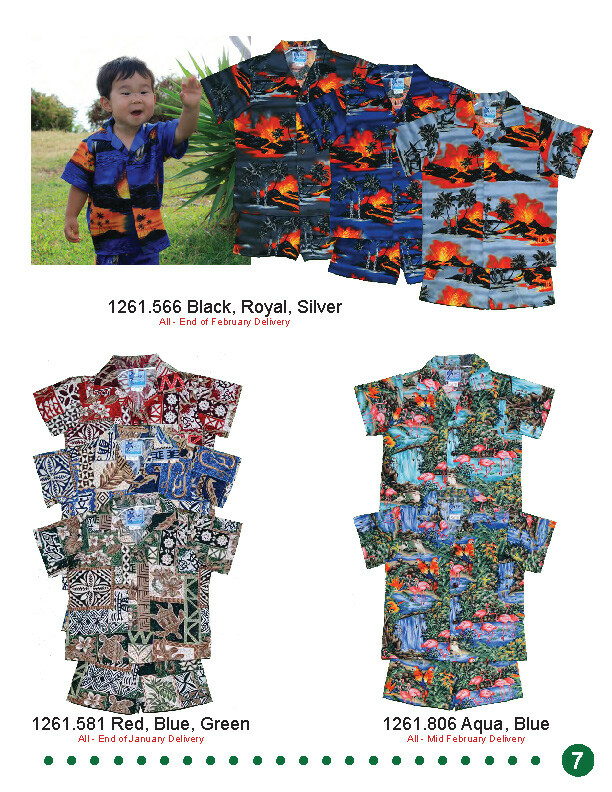 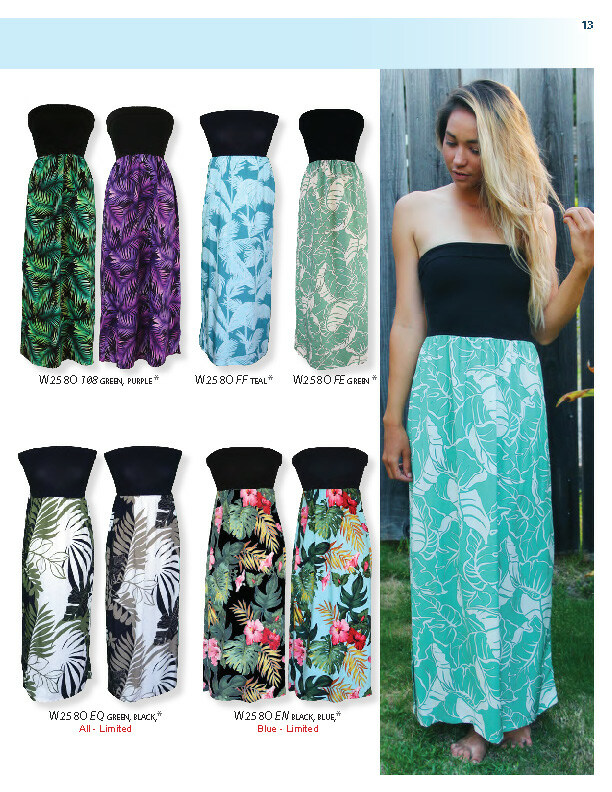 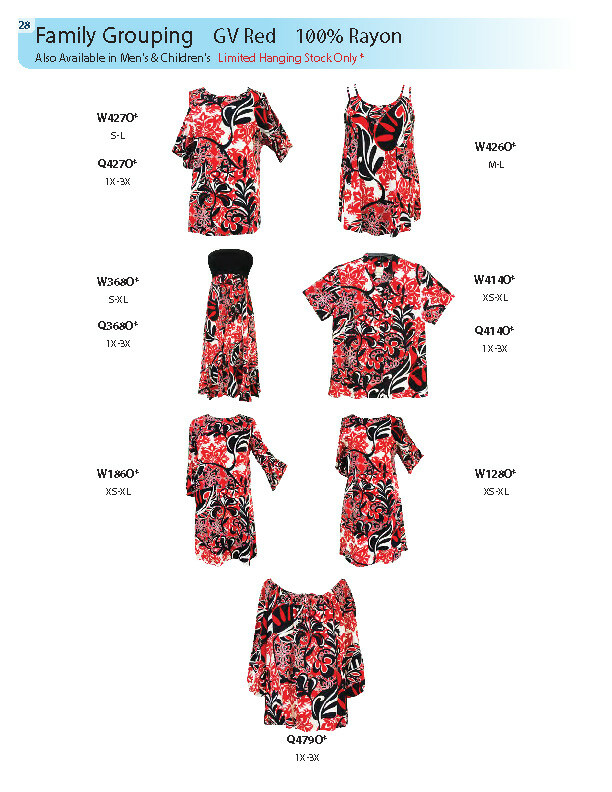 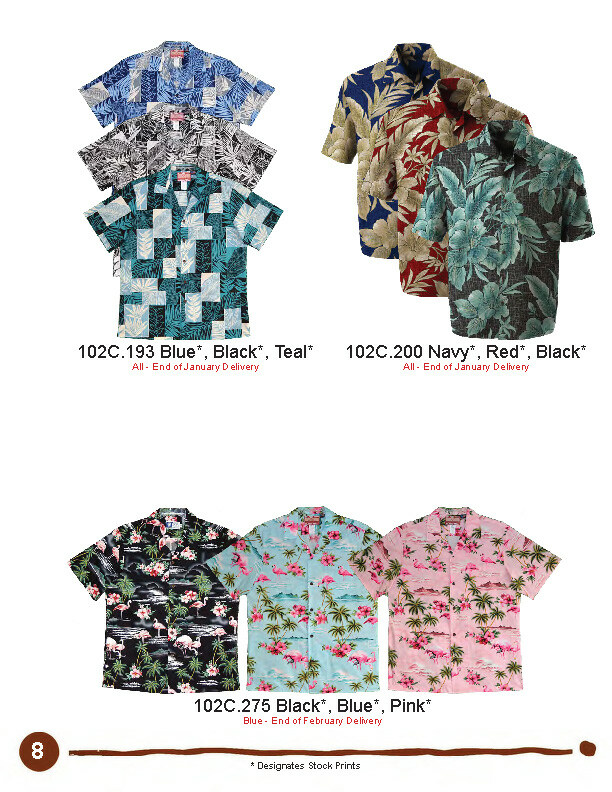 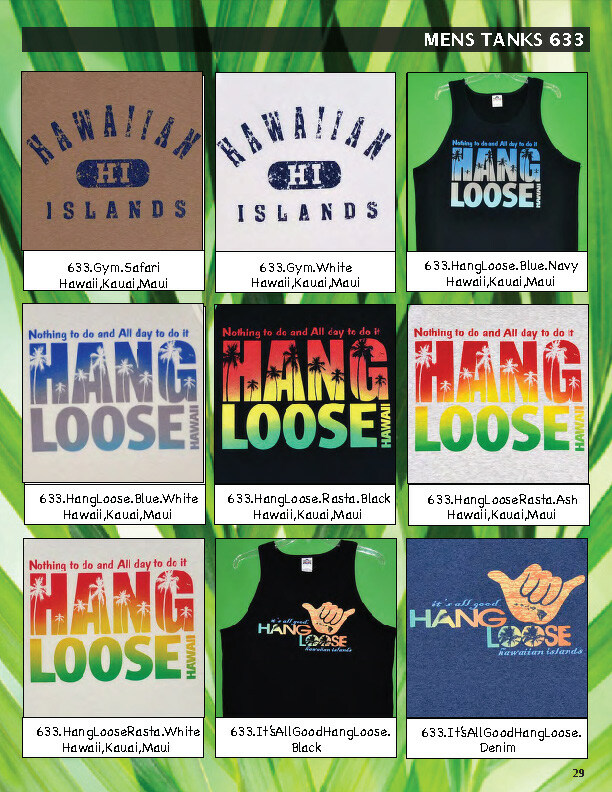 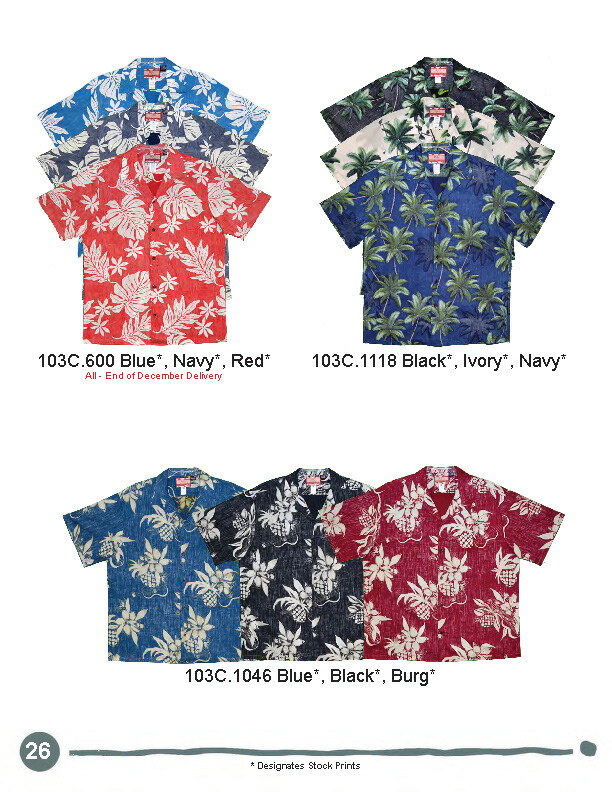 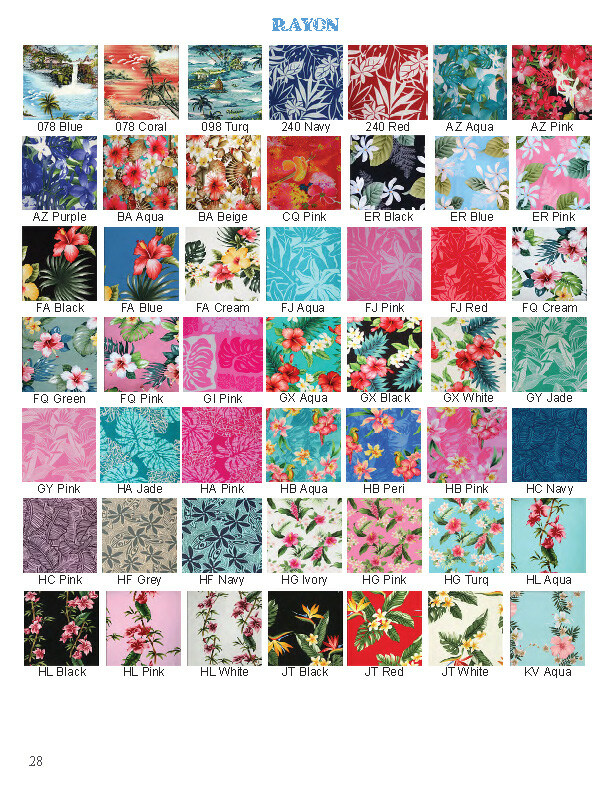 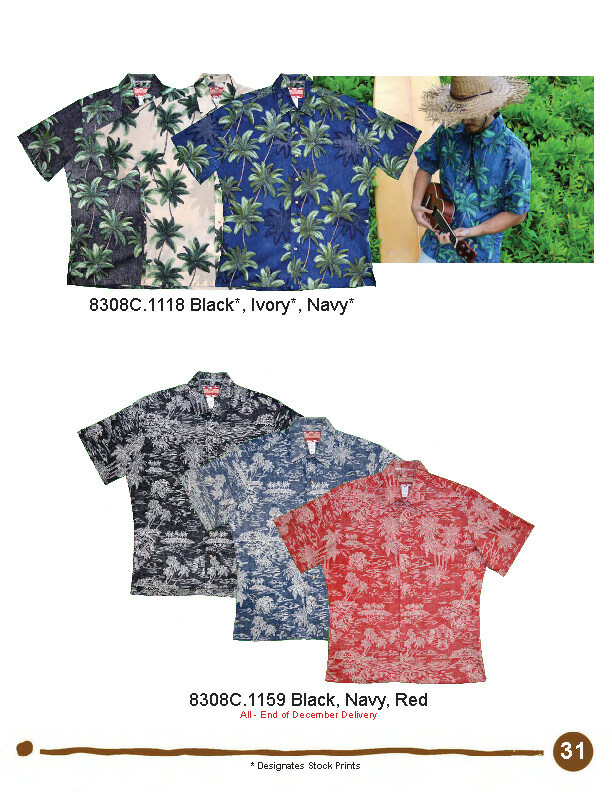 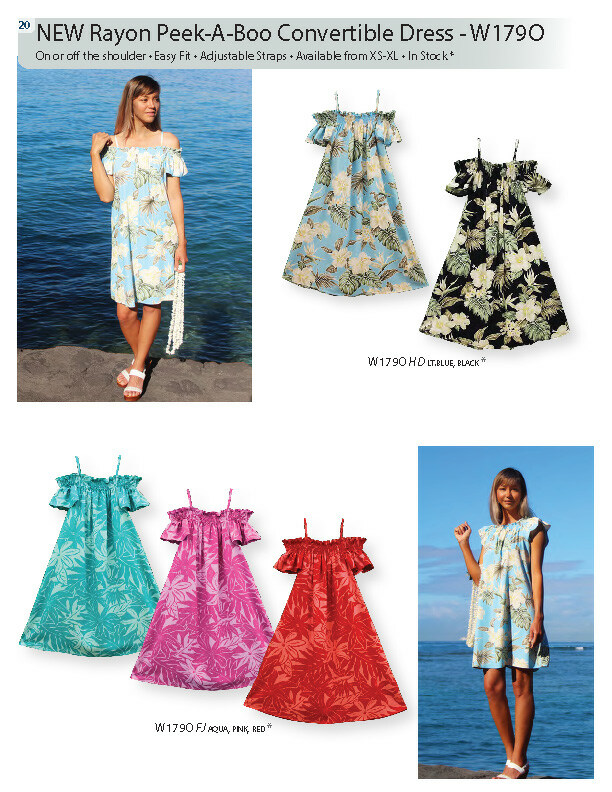 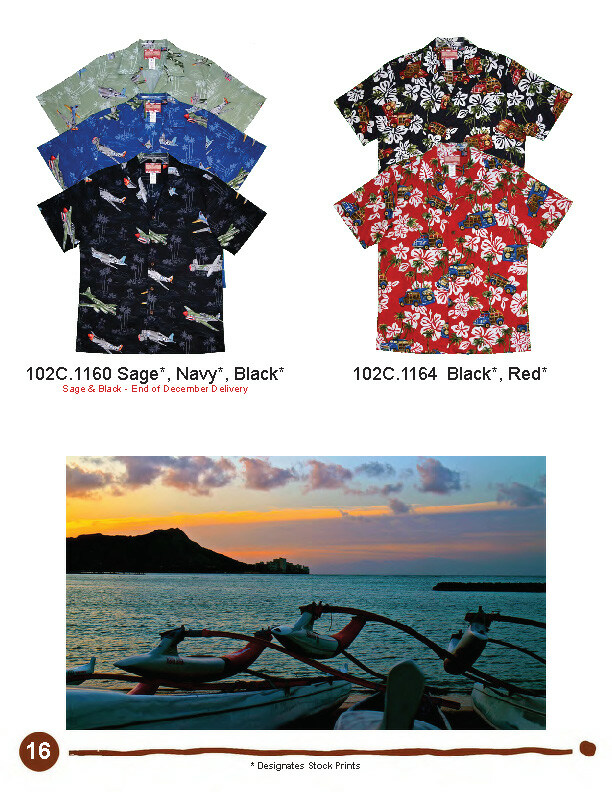 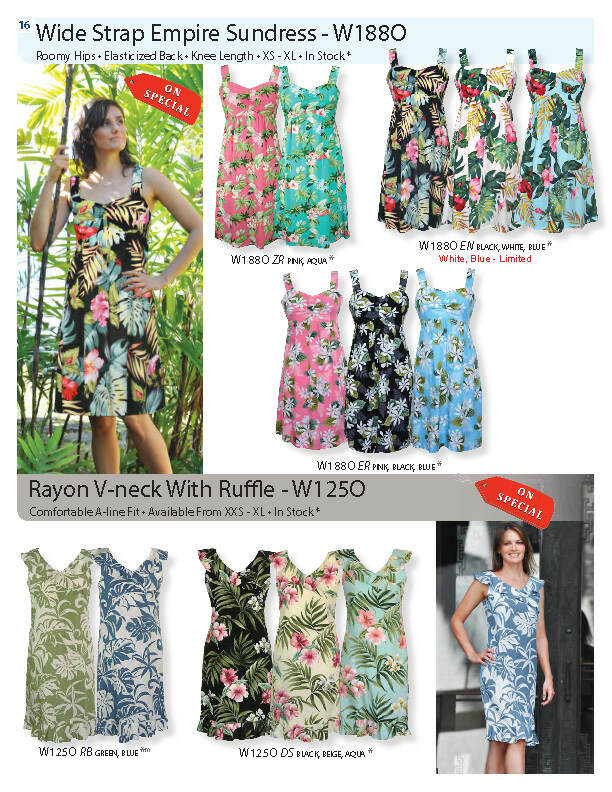 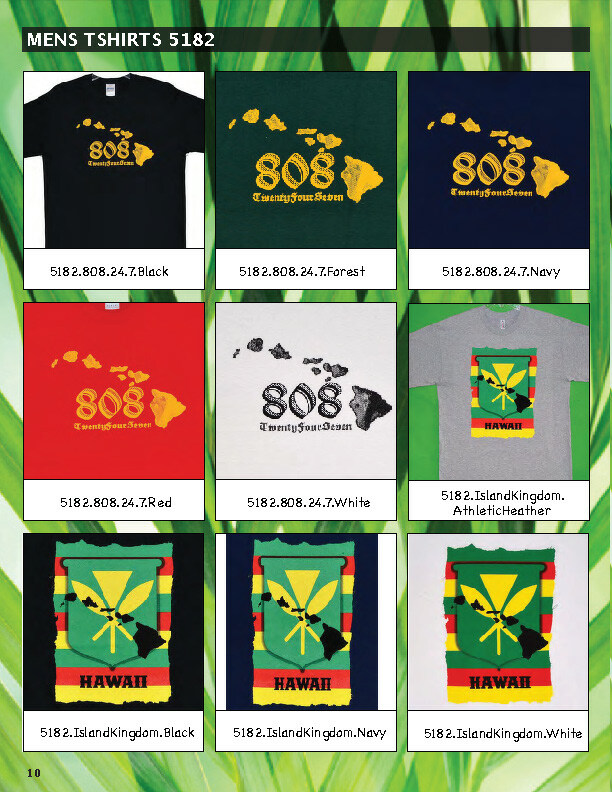 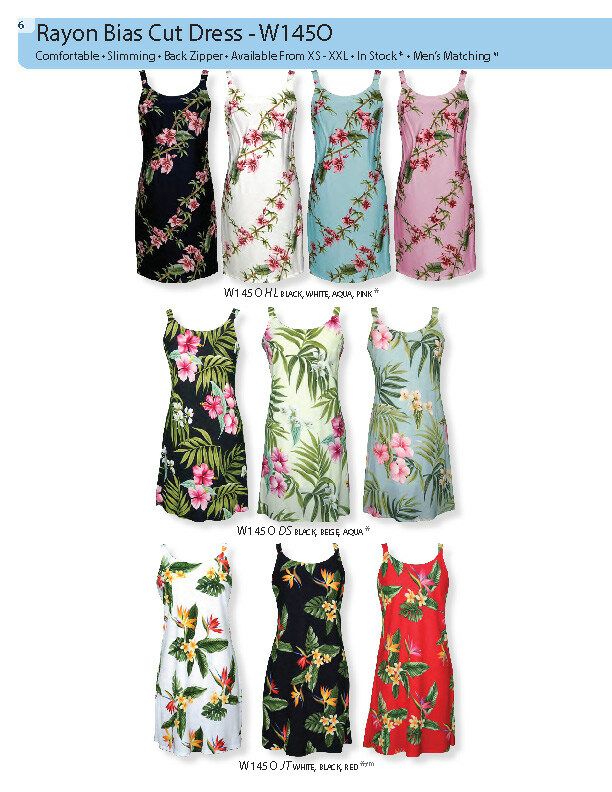 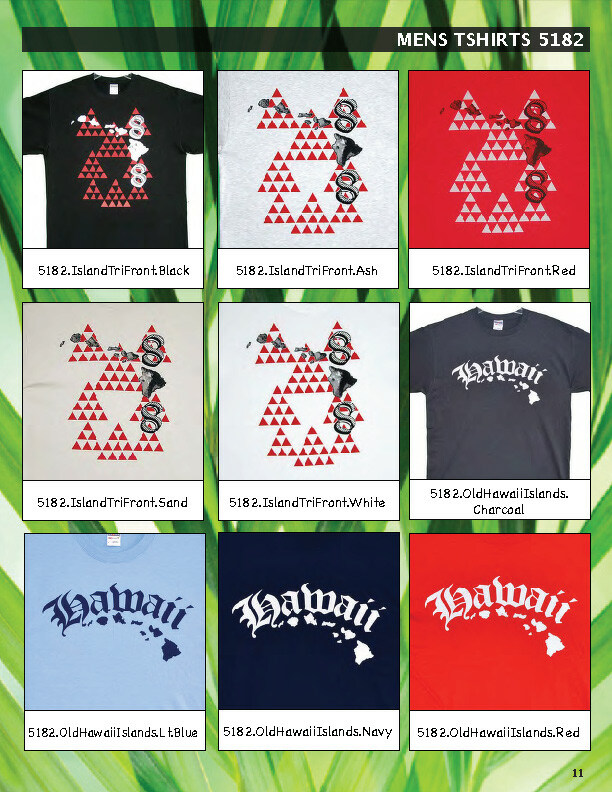 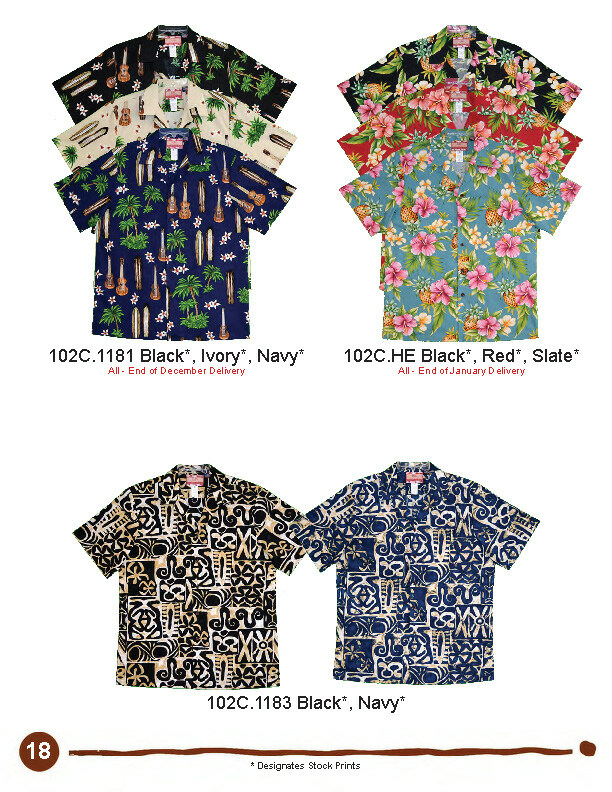 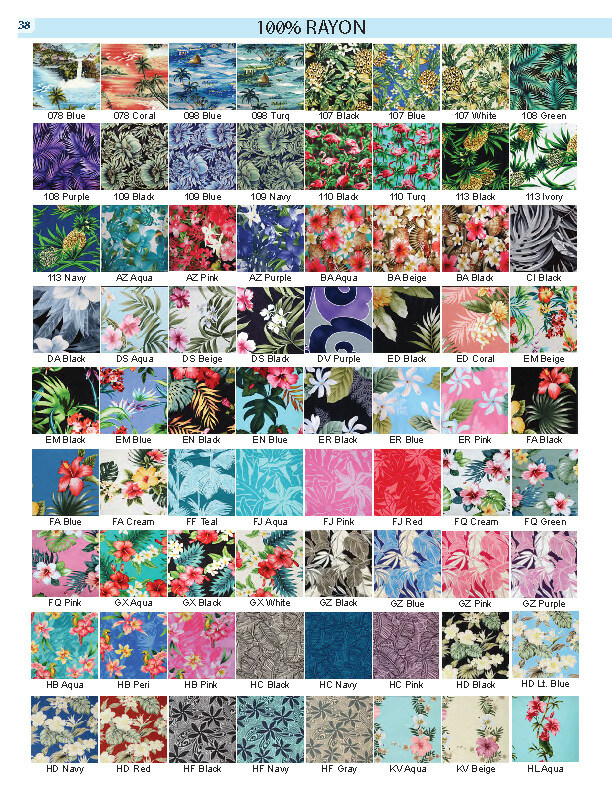 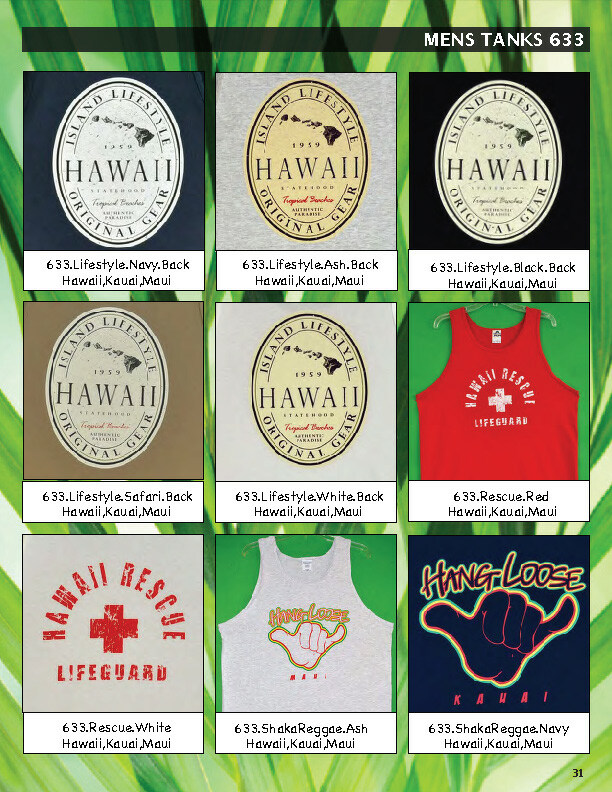 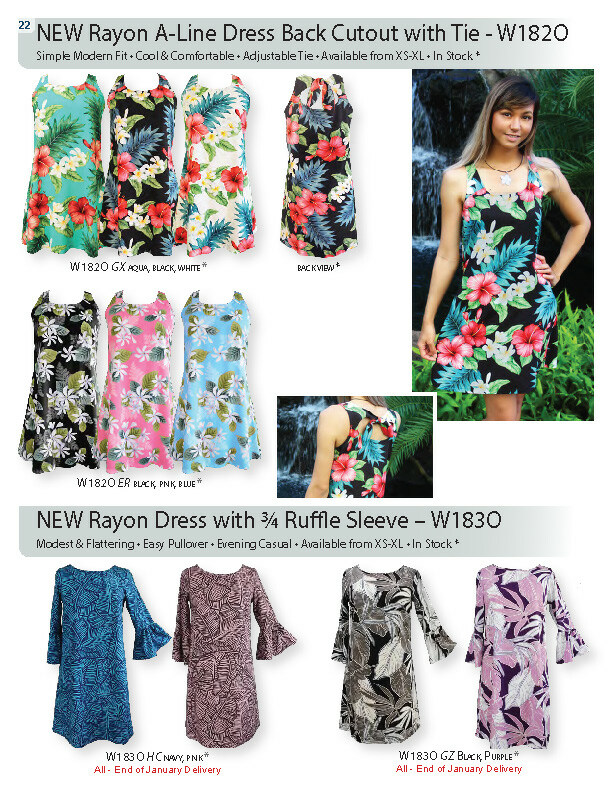 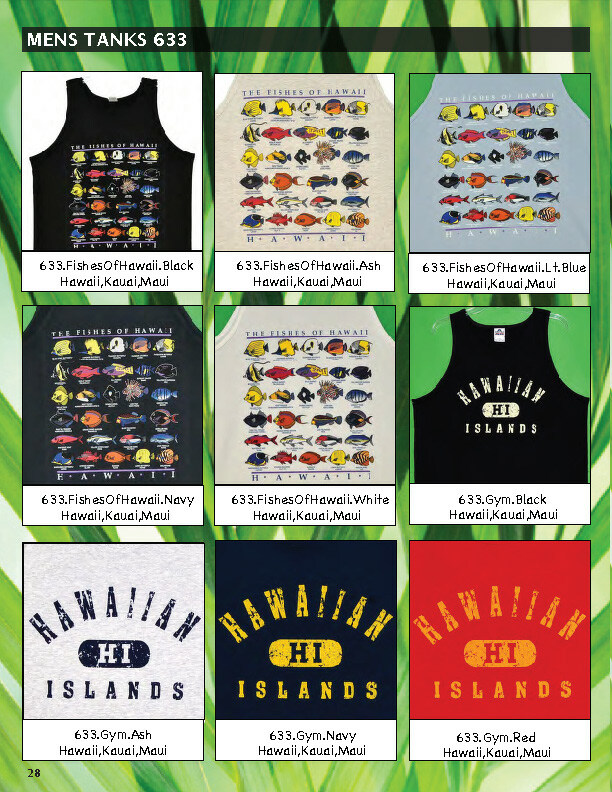 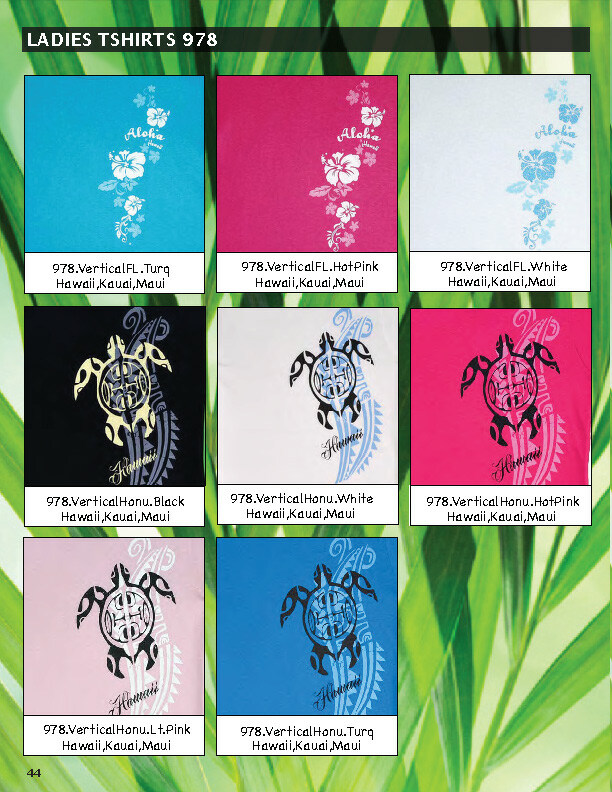 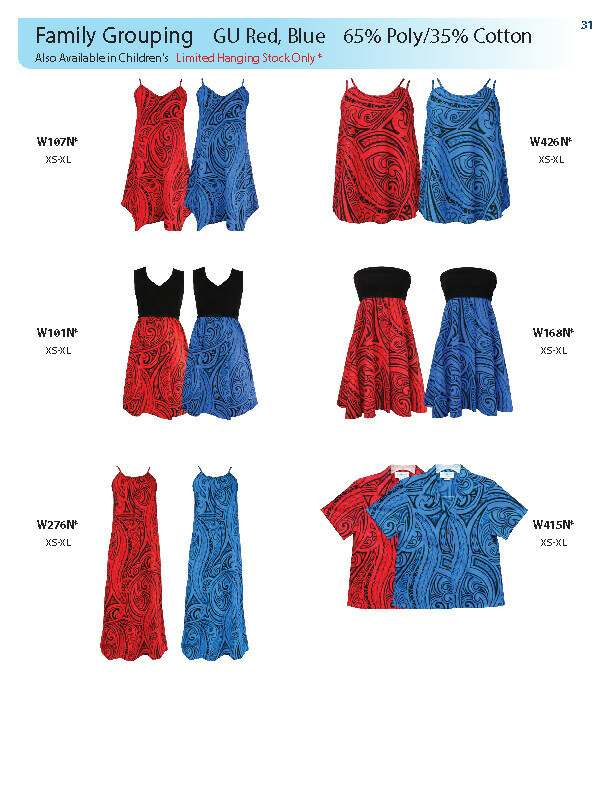 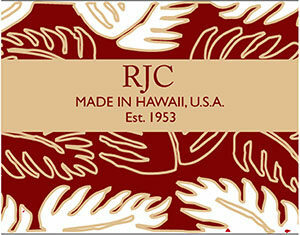 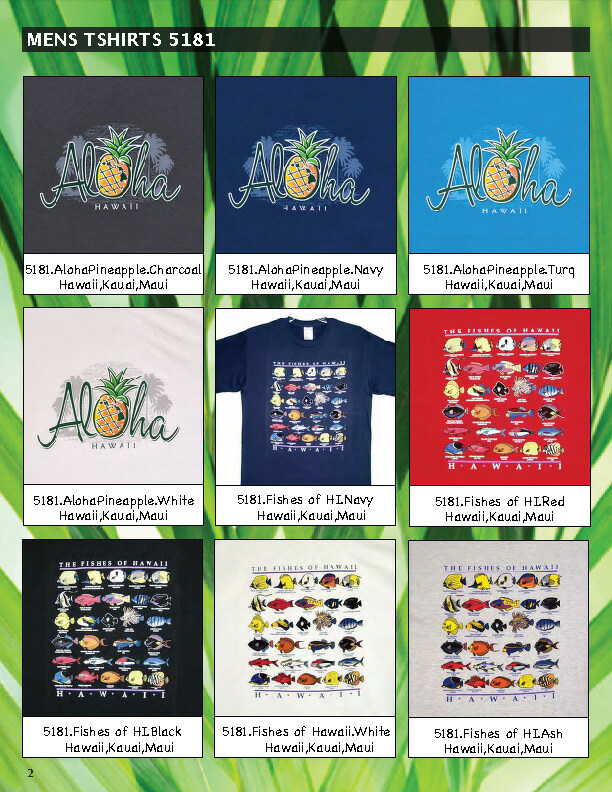 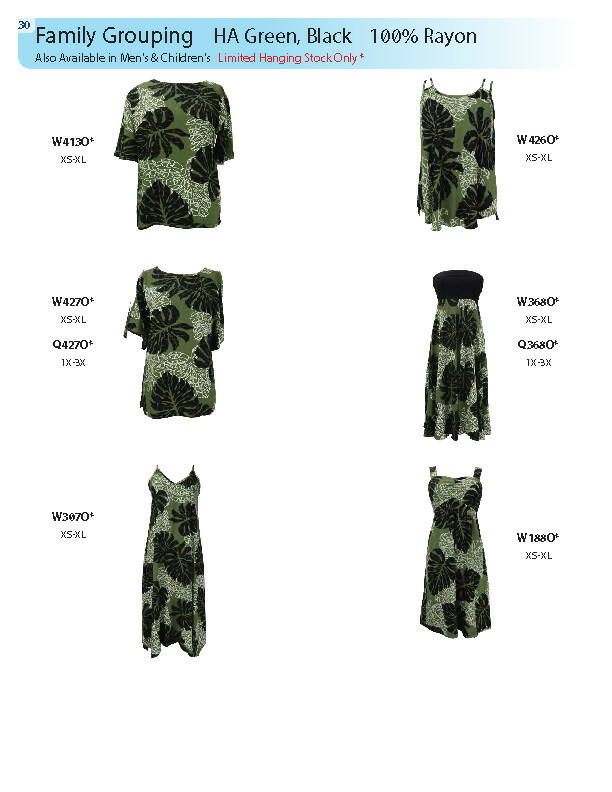 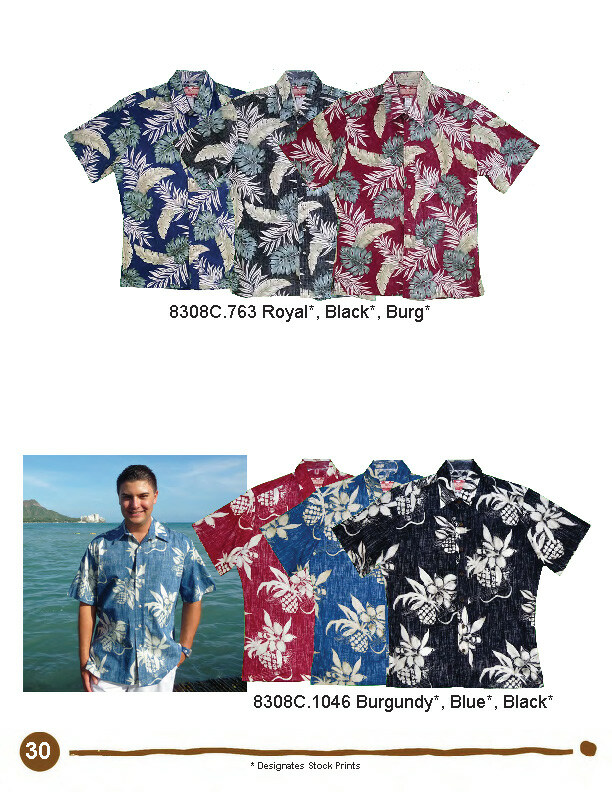 Modern, stylish Hawaiian inspired prints. 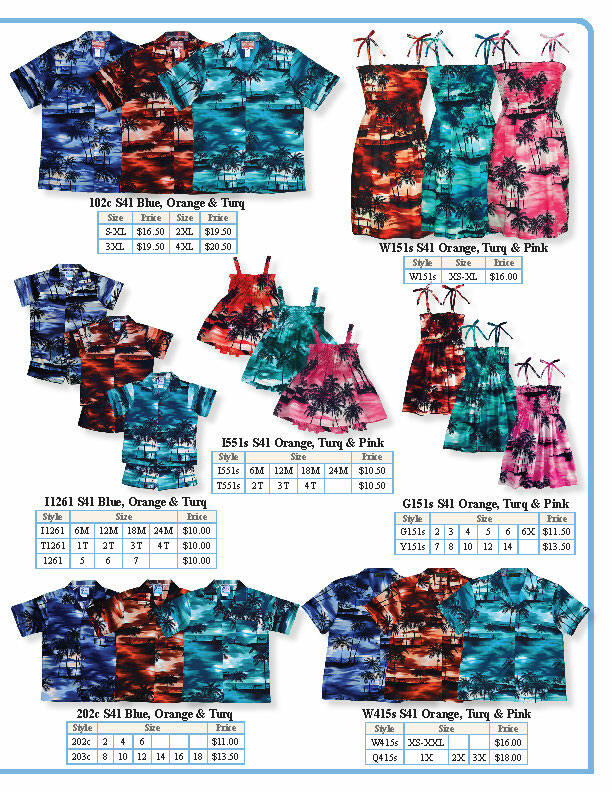 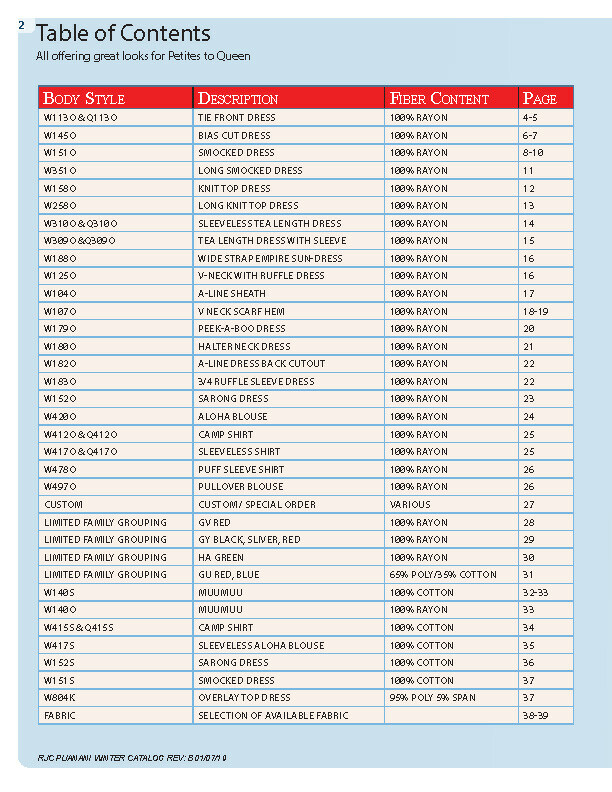 Incredibly comfortable fabrics. 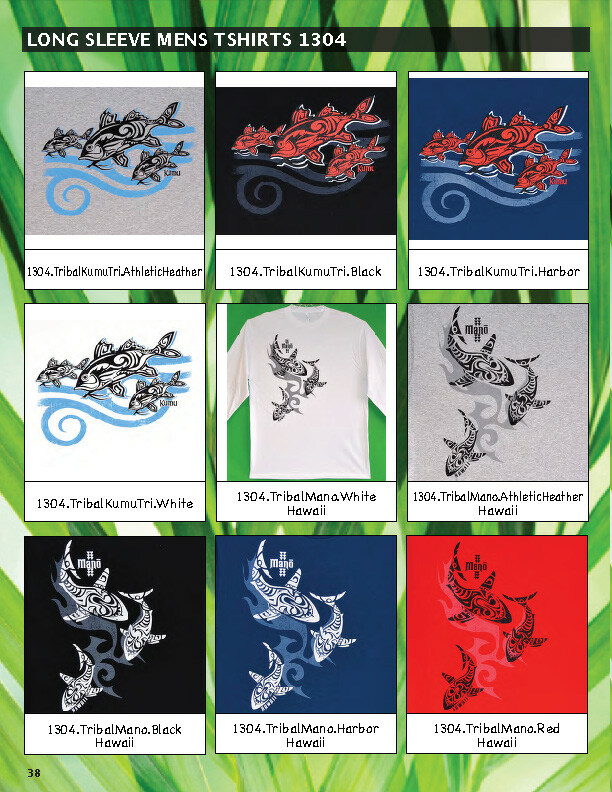 Crew neckline, shirt sleeve, screen printed artwork. 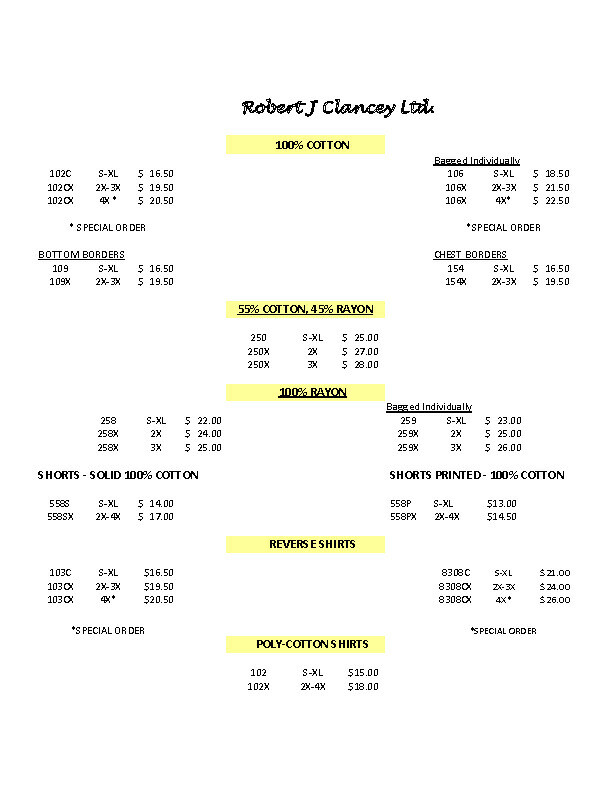 Legendary quality combined with our natural fabrics provide comfort all day long. 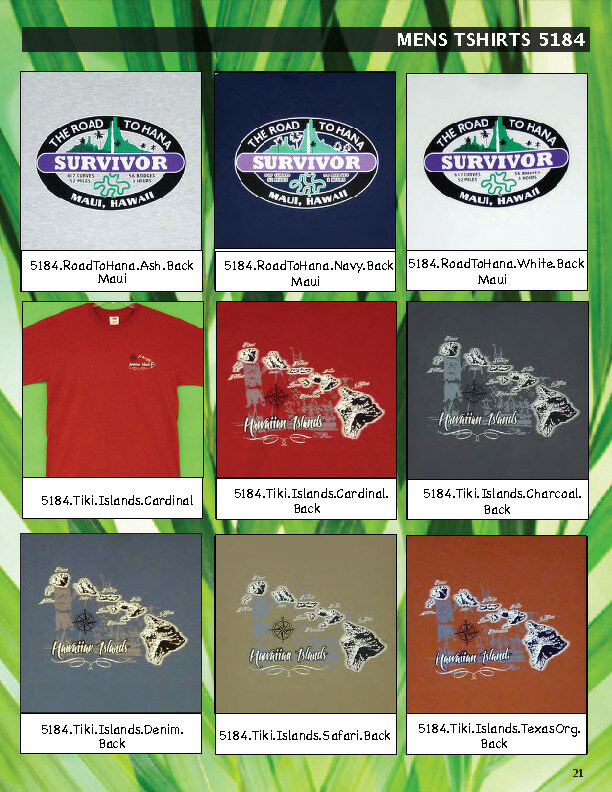 Don’t forget your “Furry Friends”! 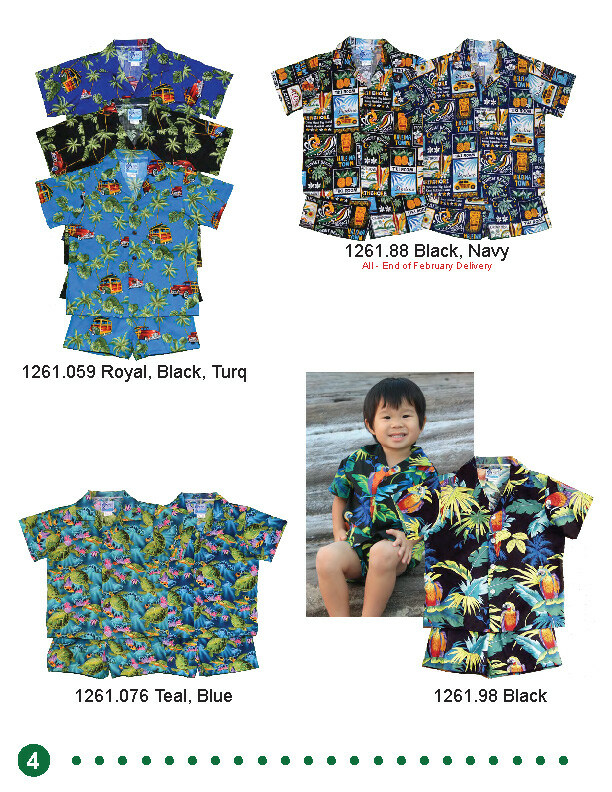 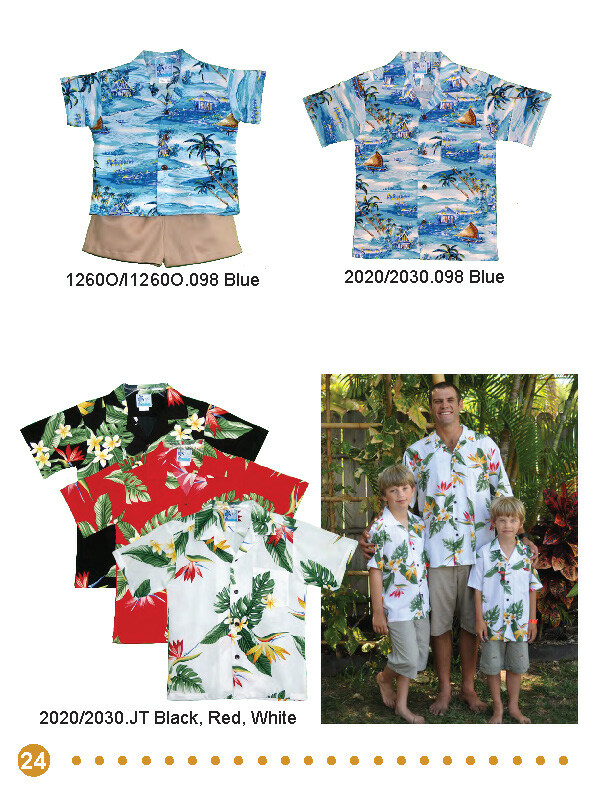 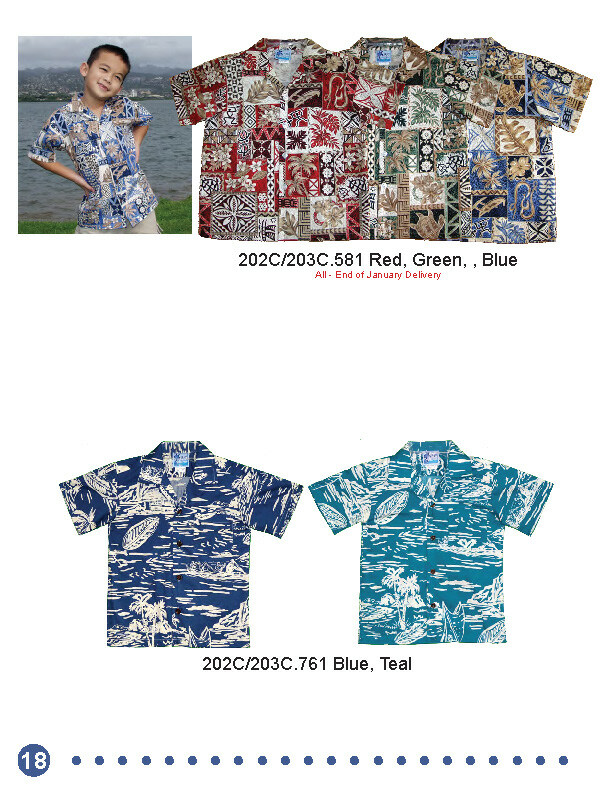 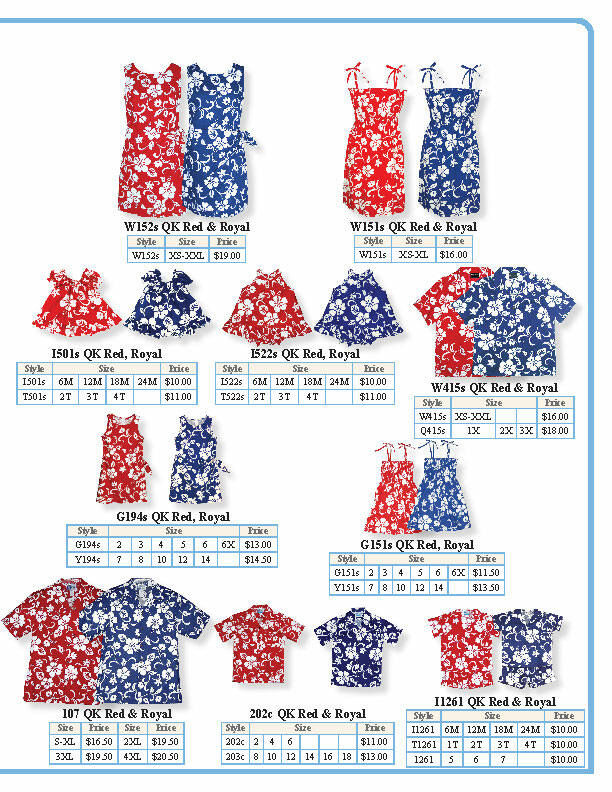 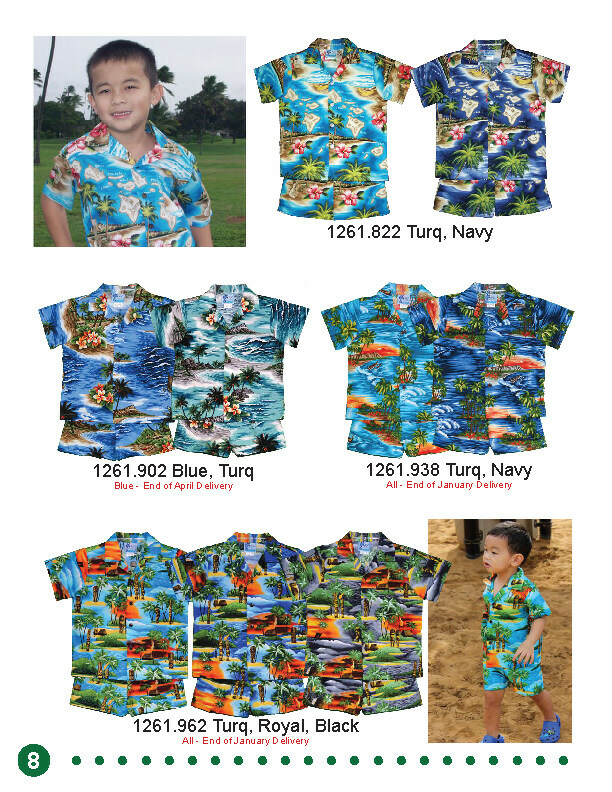 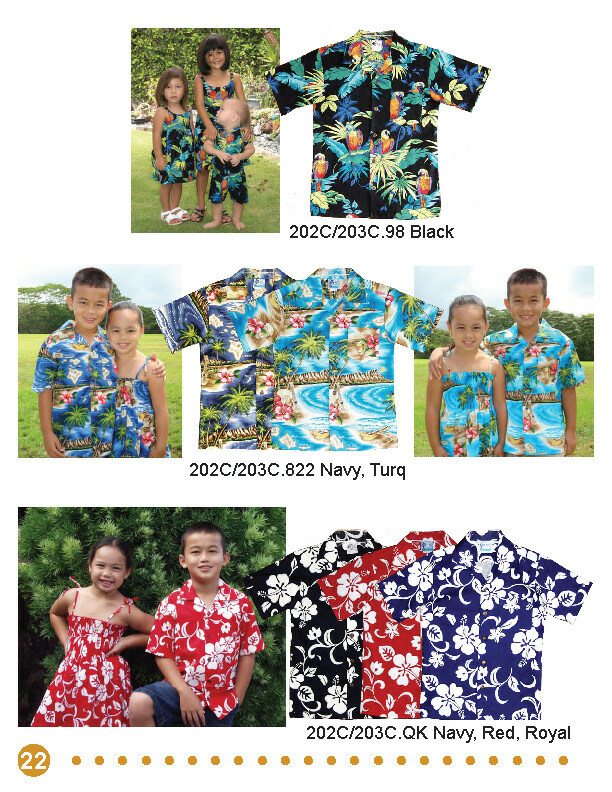 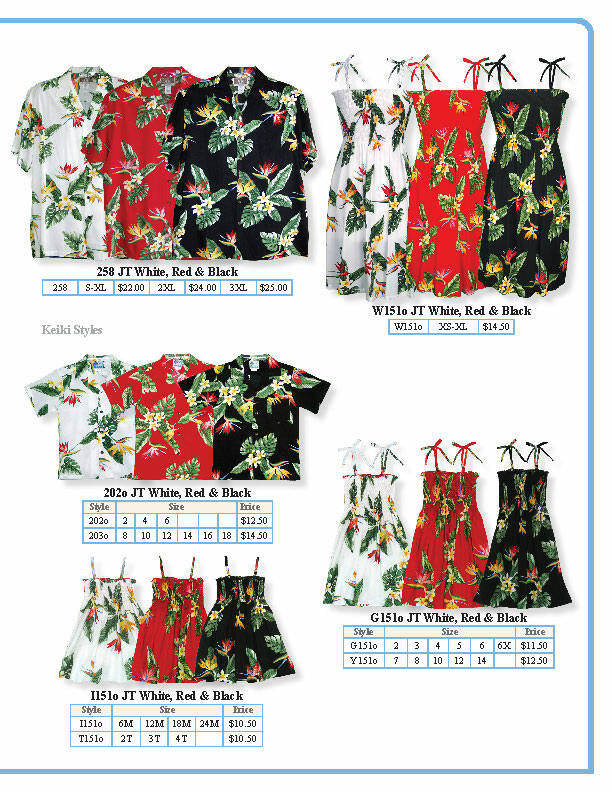 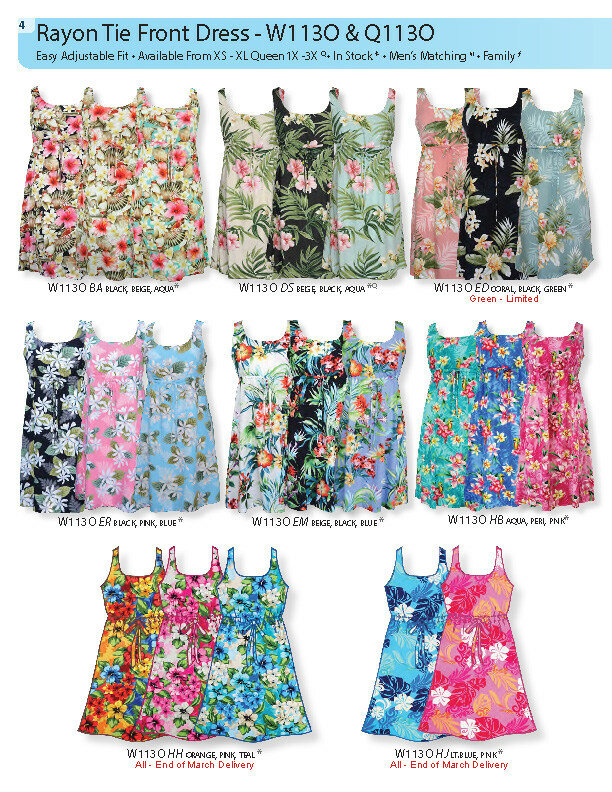 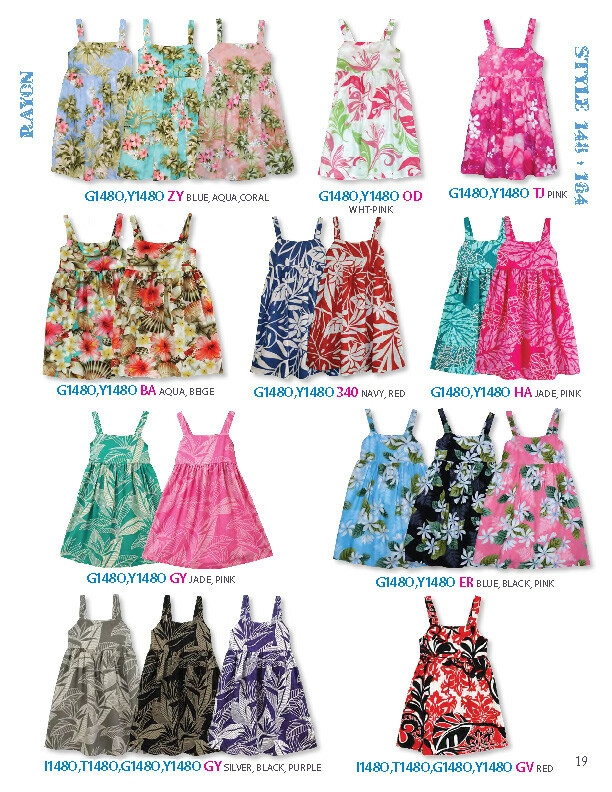 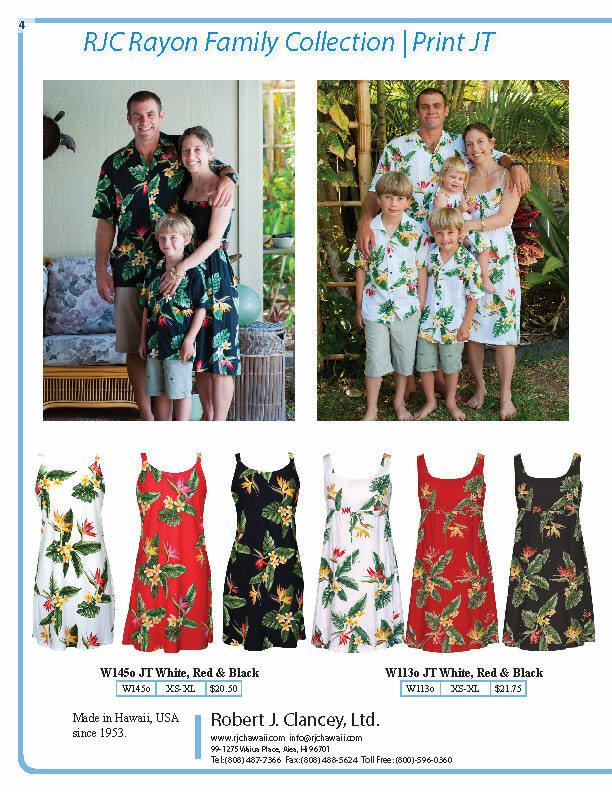 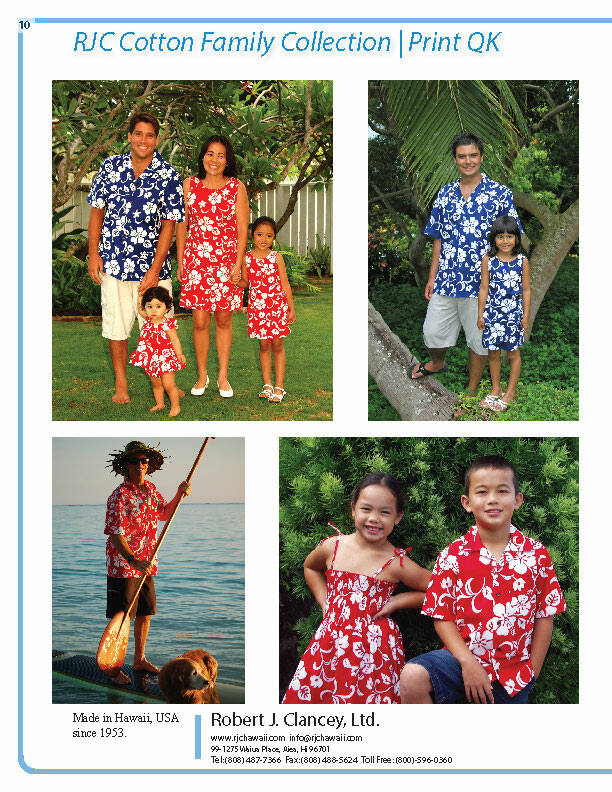 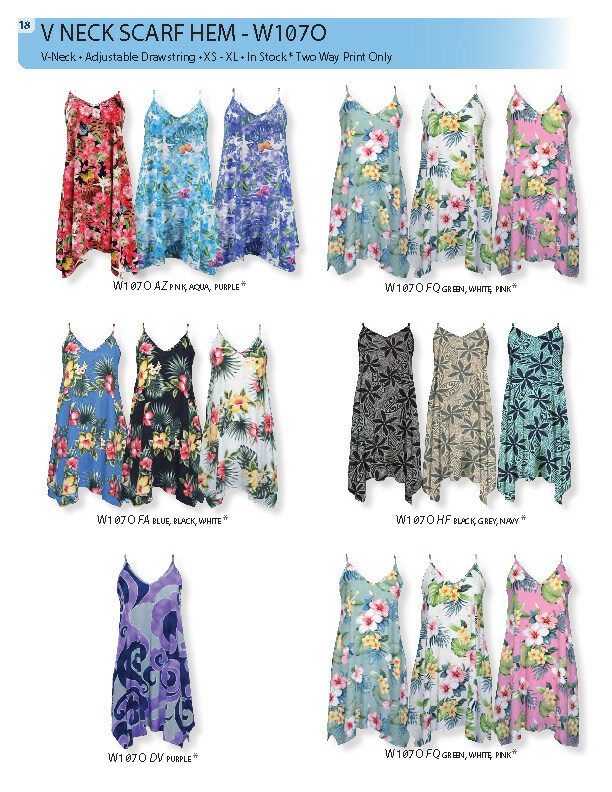 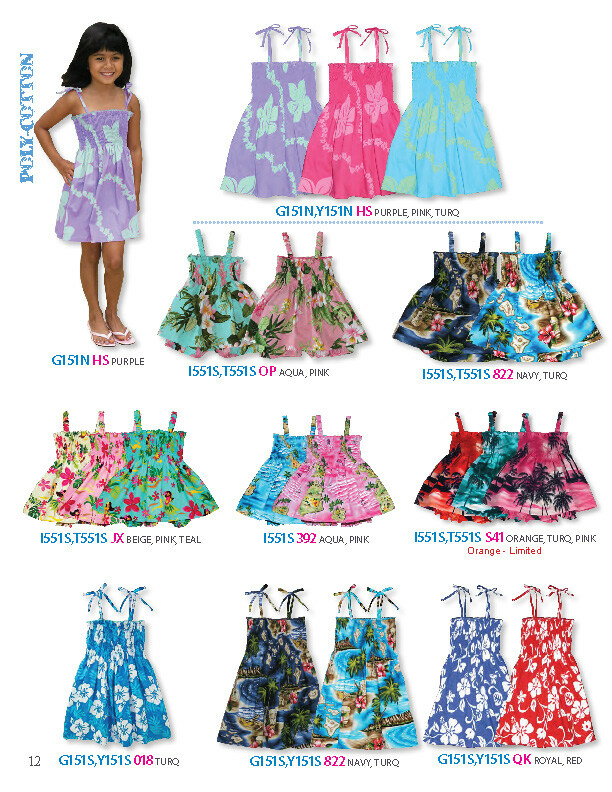 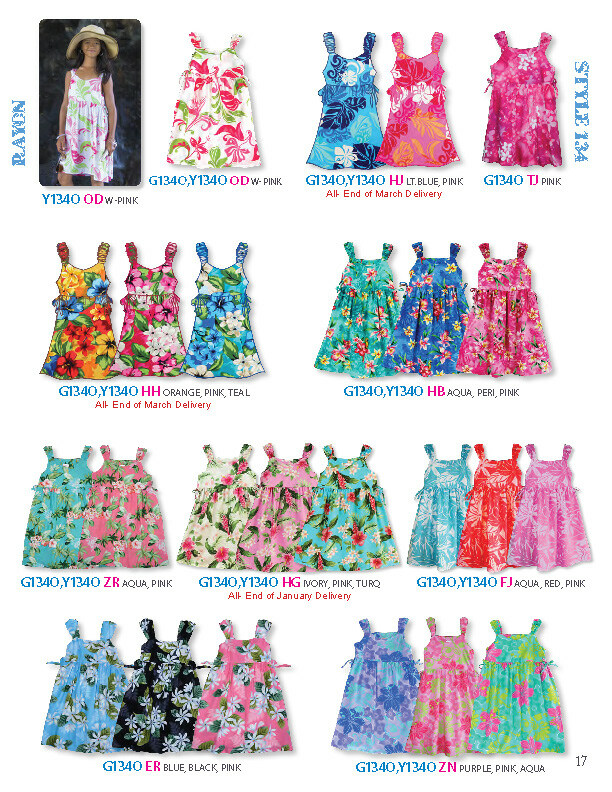 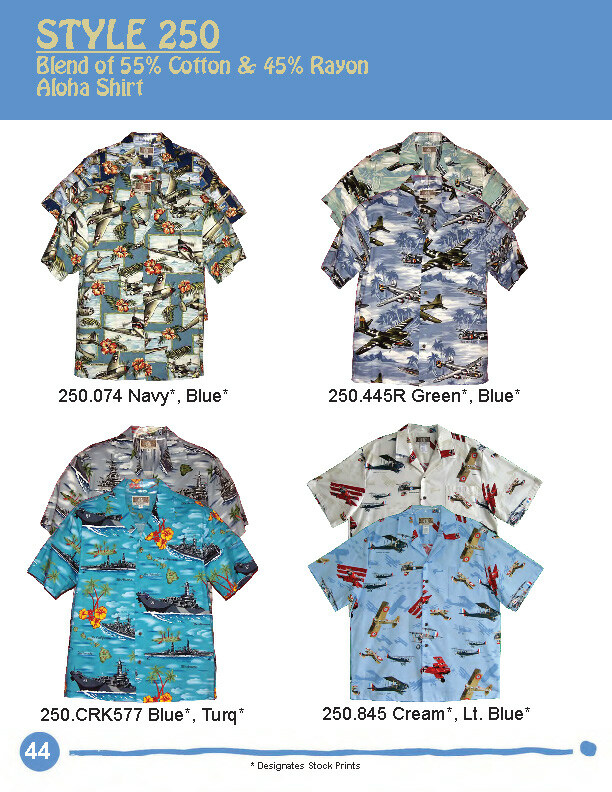 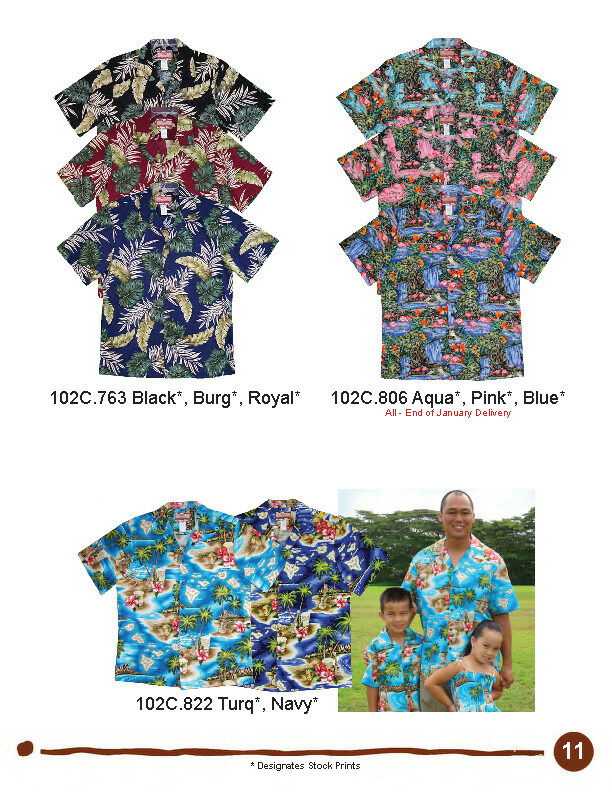 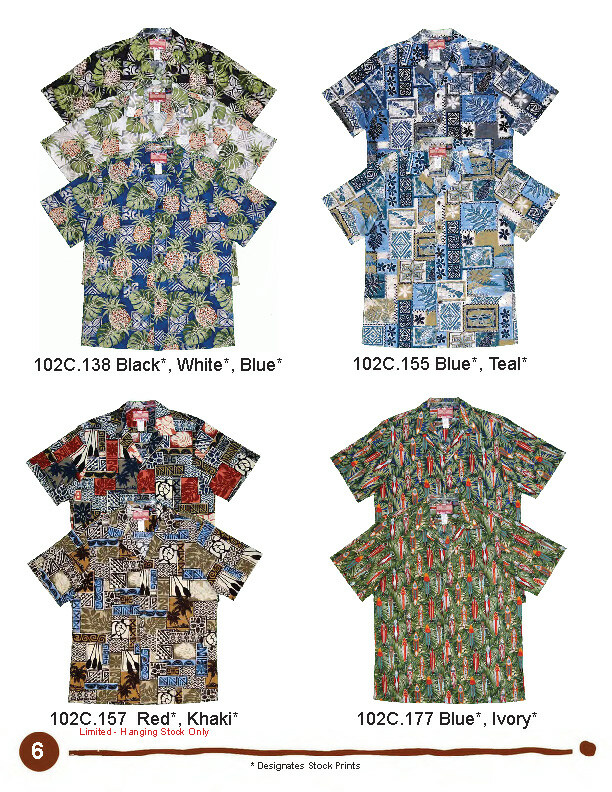 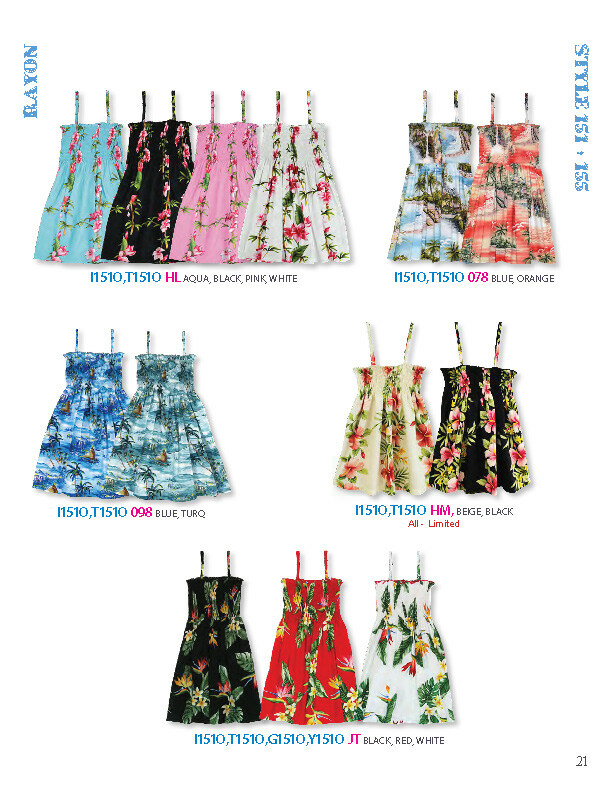 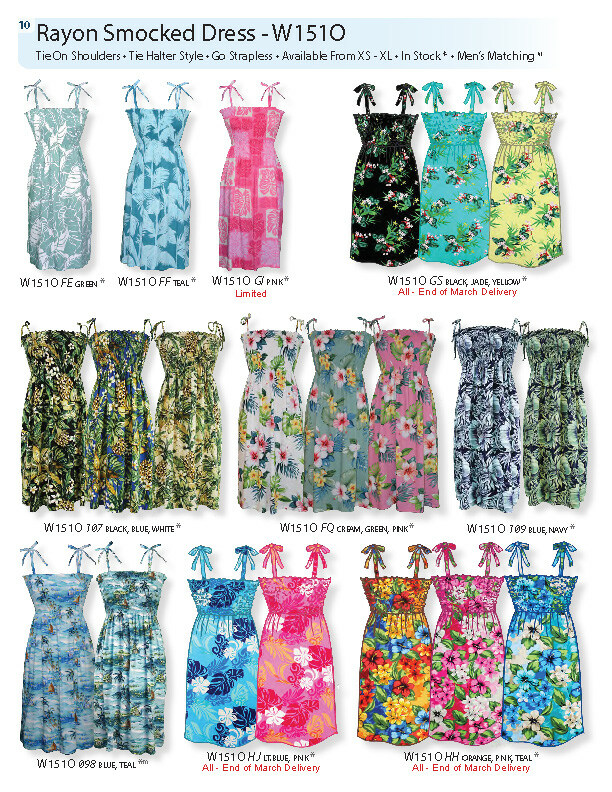 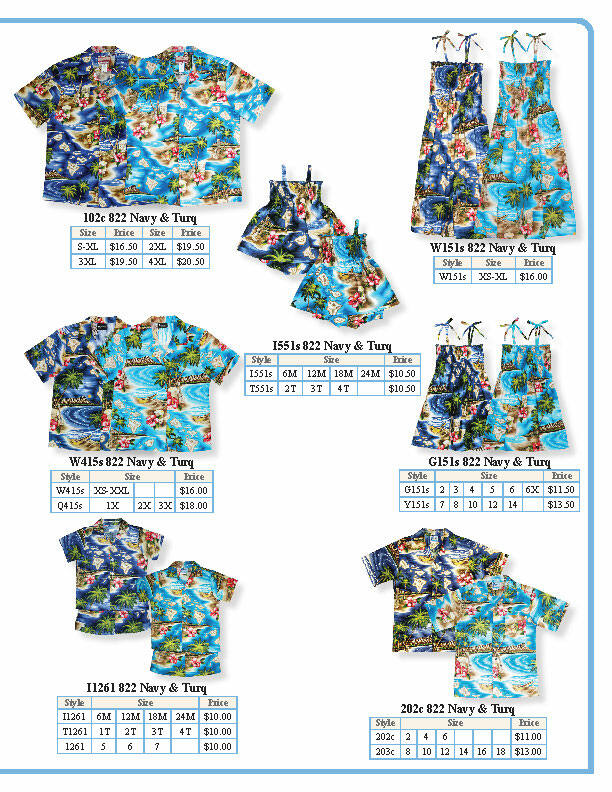 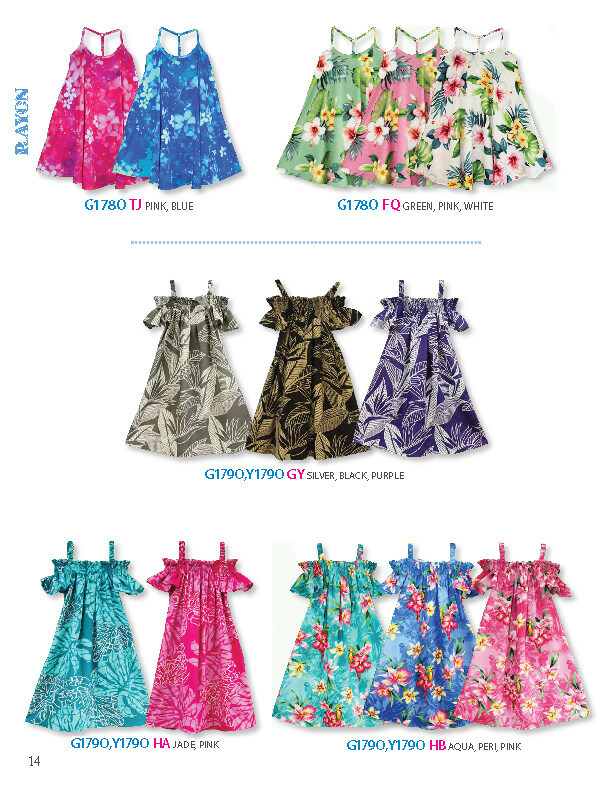 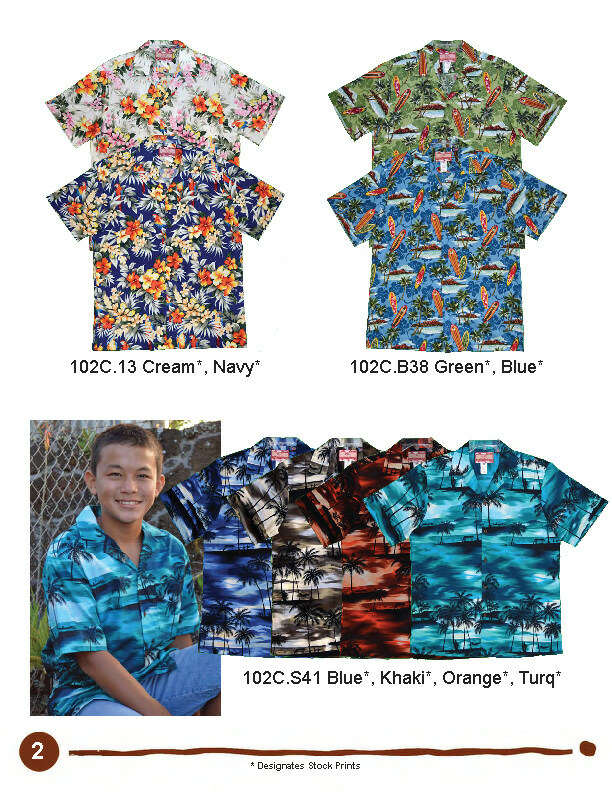 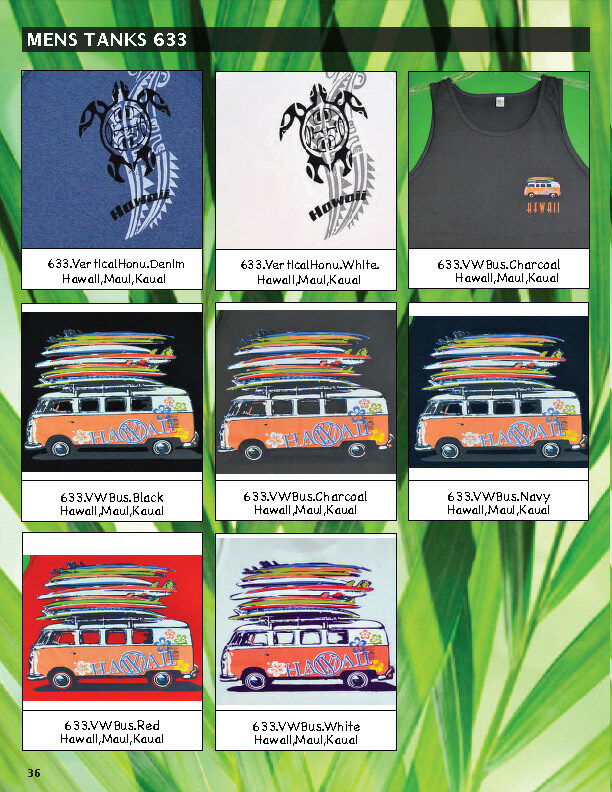 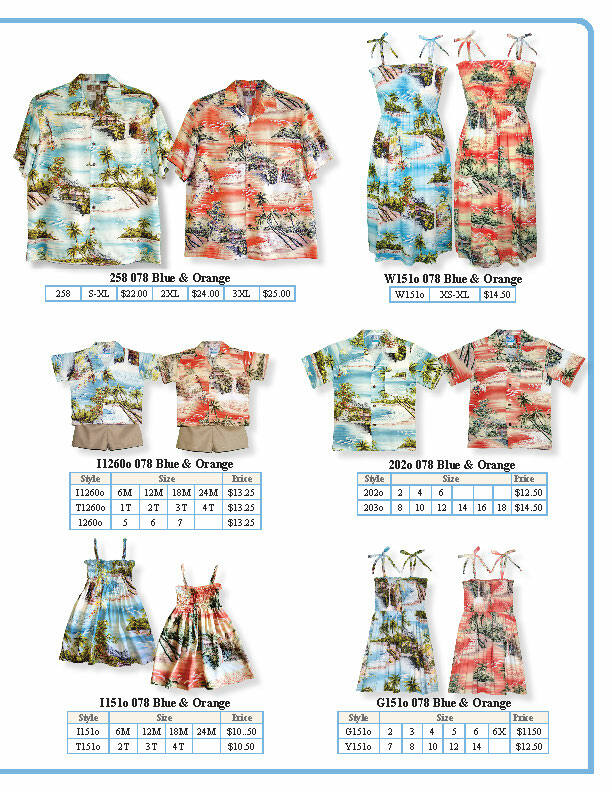 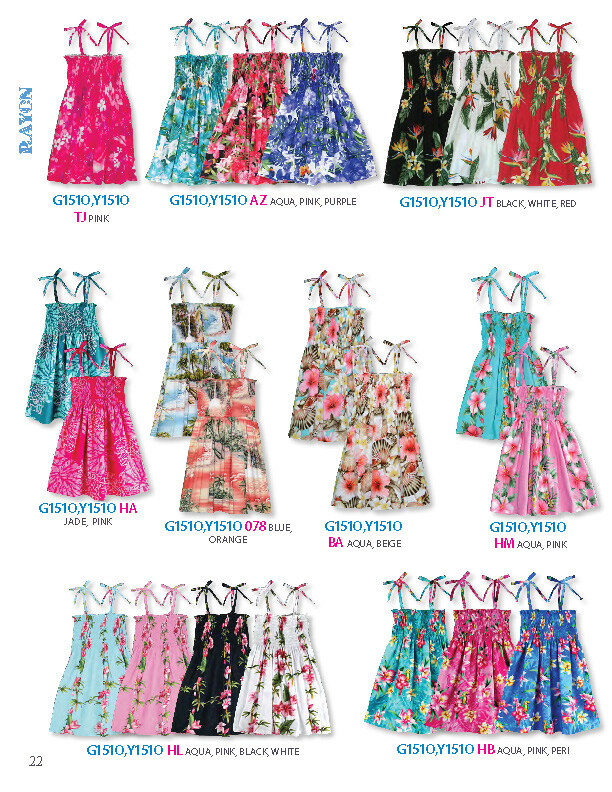 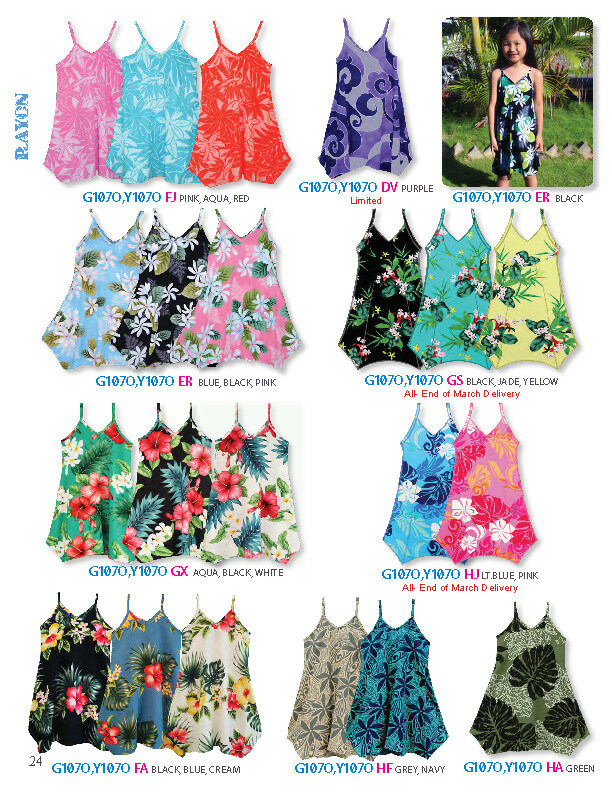 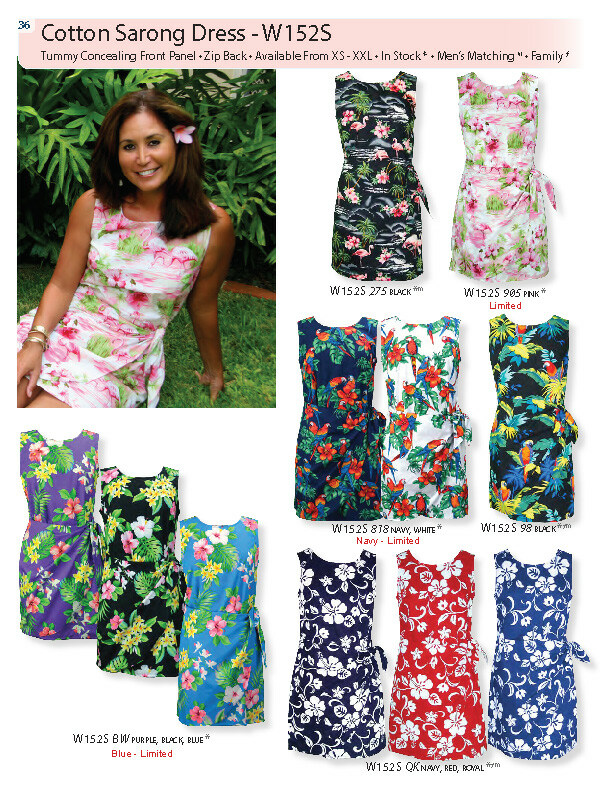 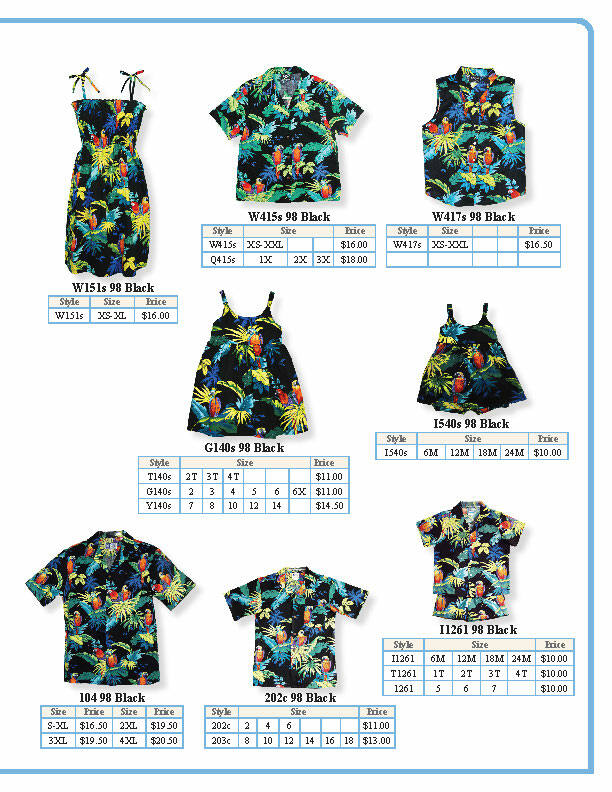 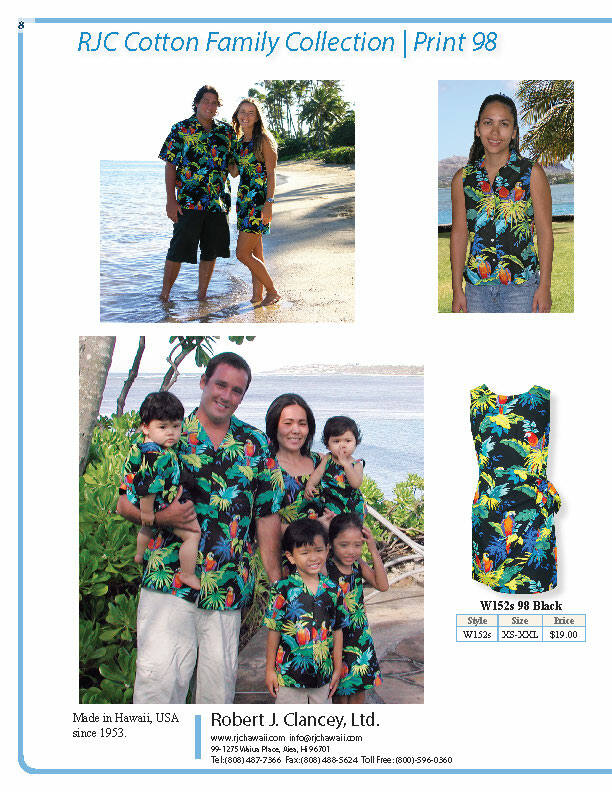 Dress your dog in style with our Dog Aloha Shirts and Sundresses. 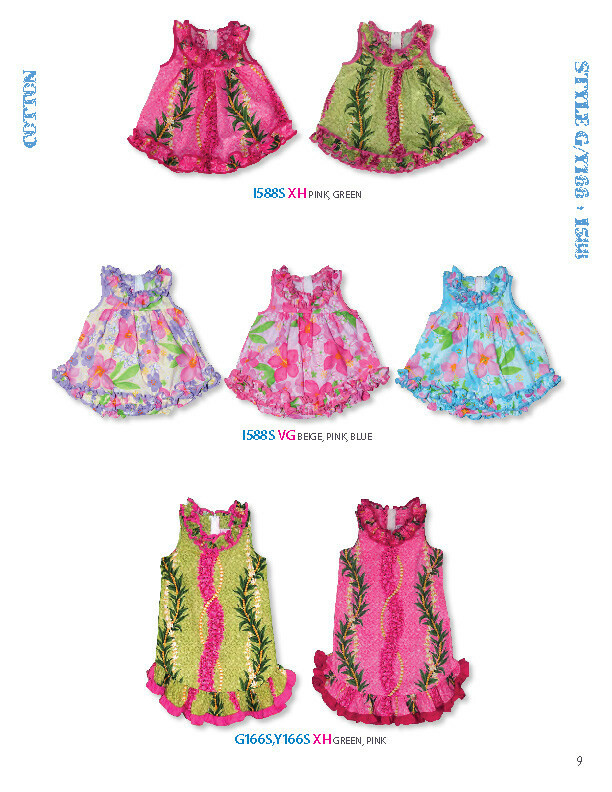 Available in sizes to fit dogs from 5 to 100 lbs.